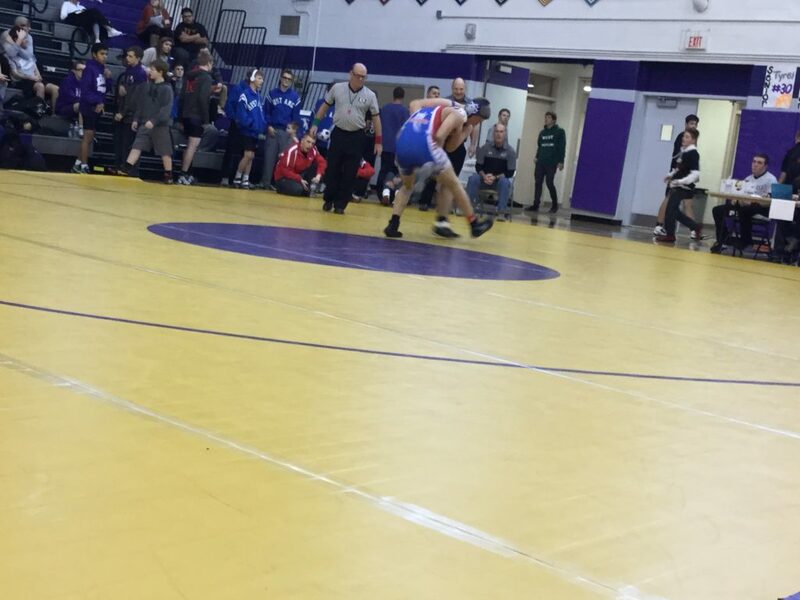 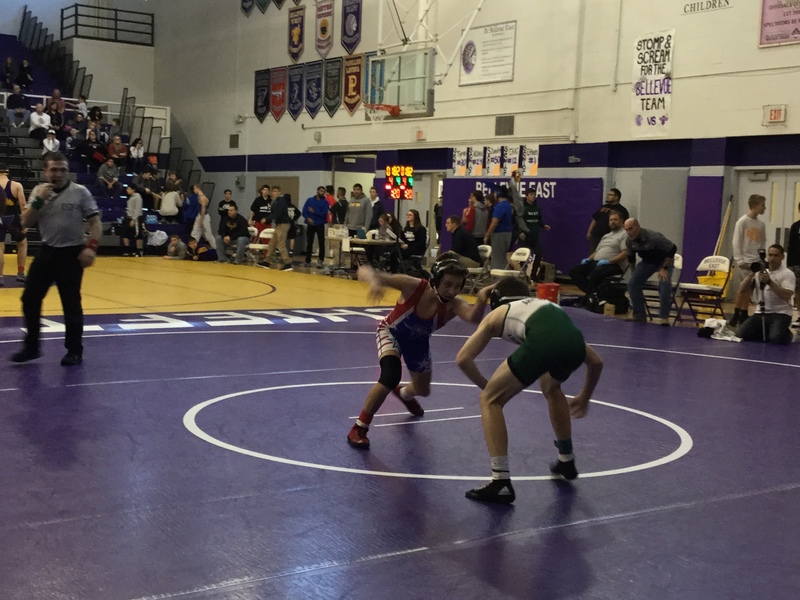 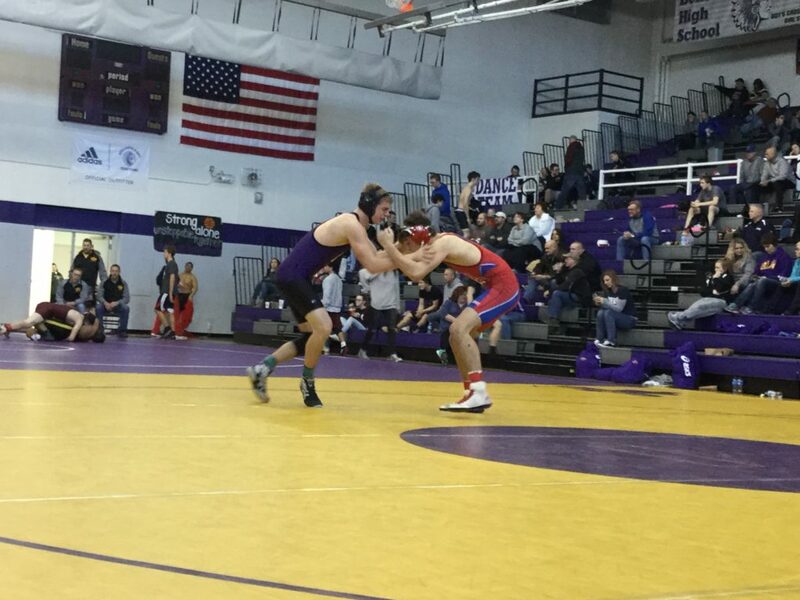 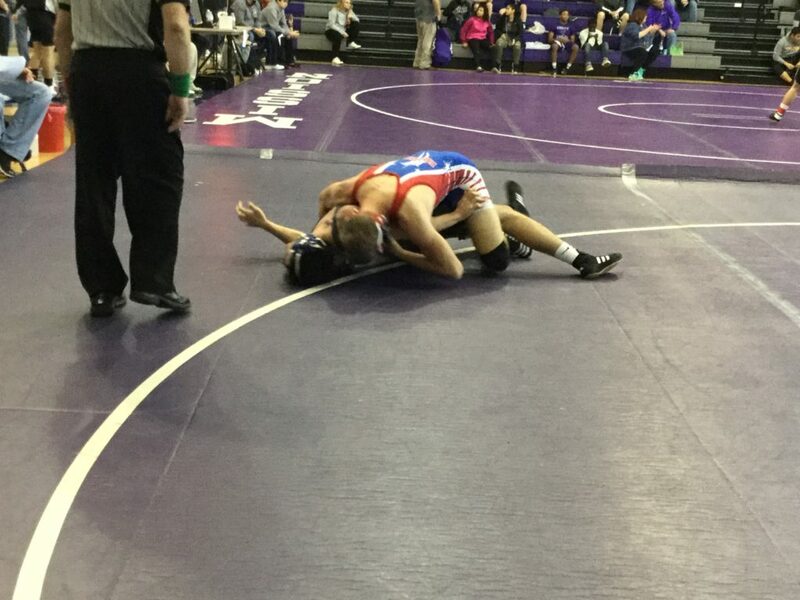 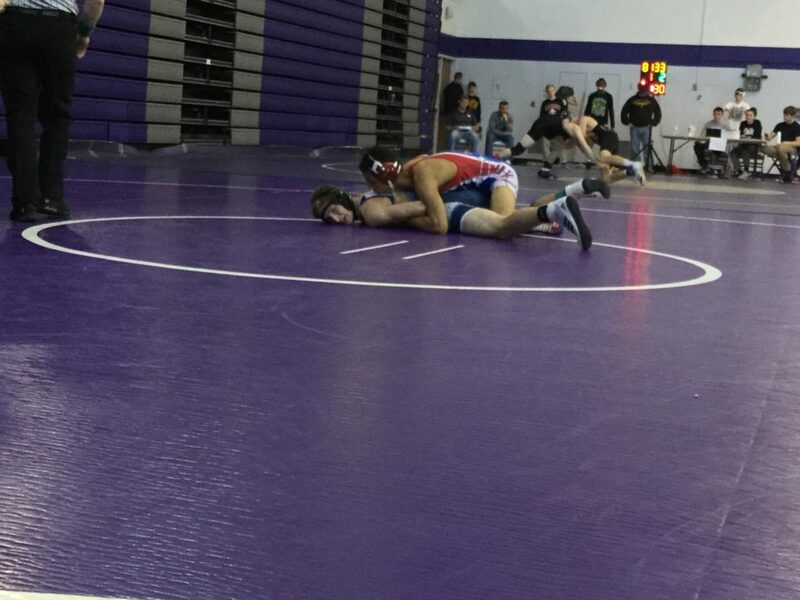 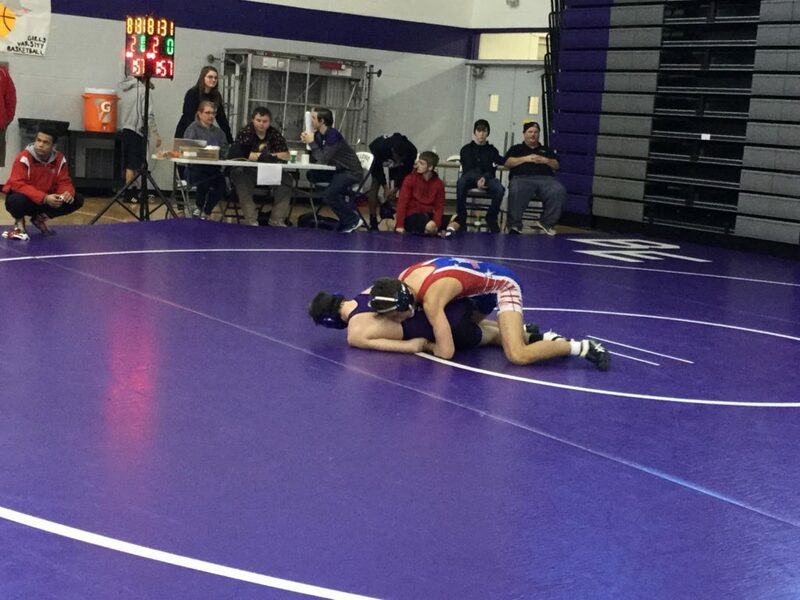 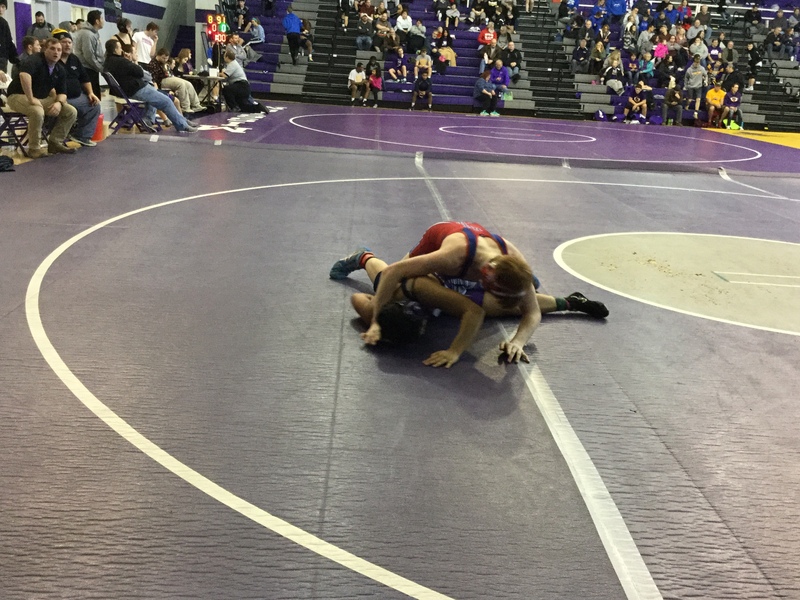 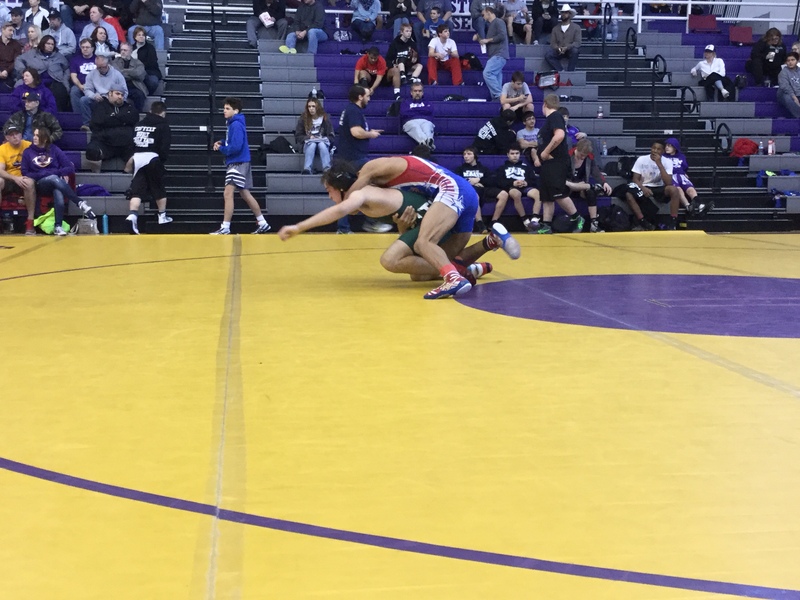 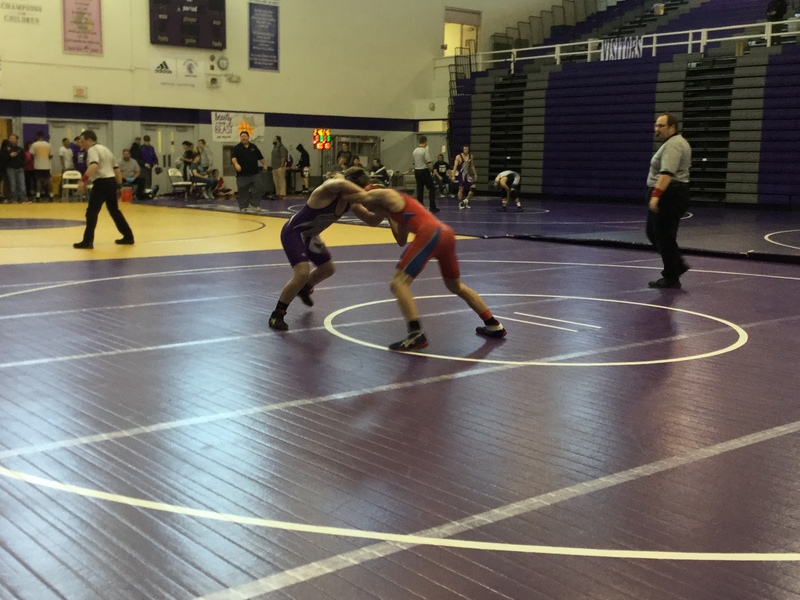 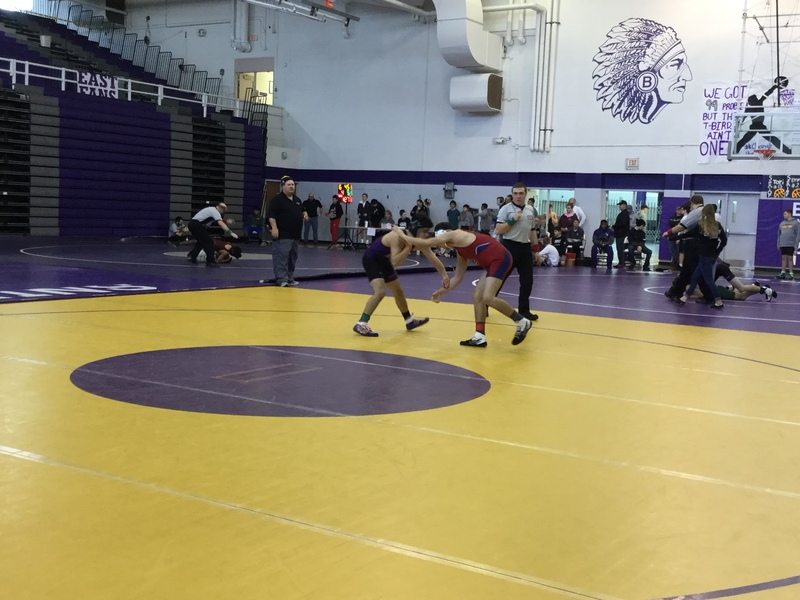 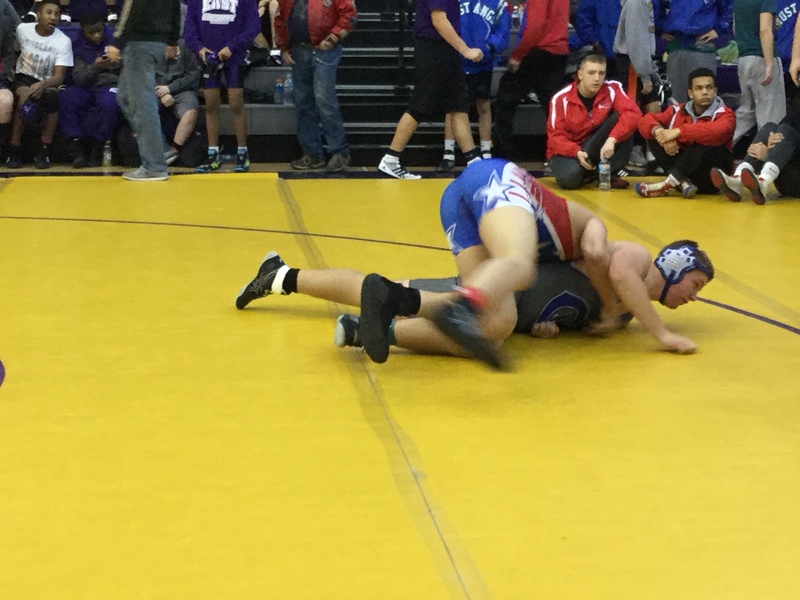 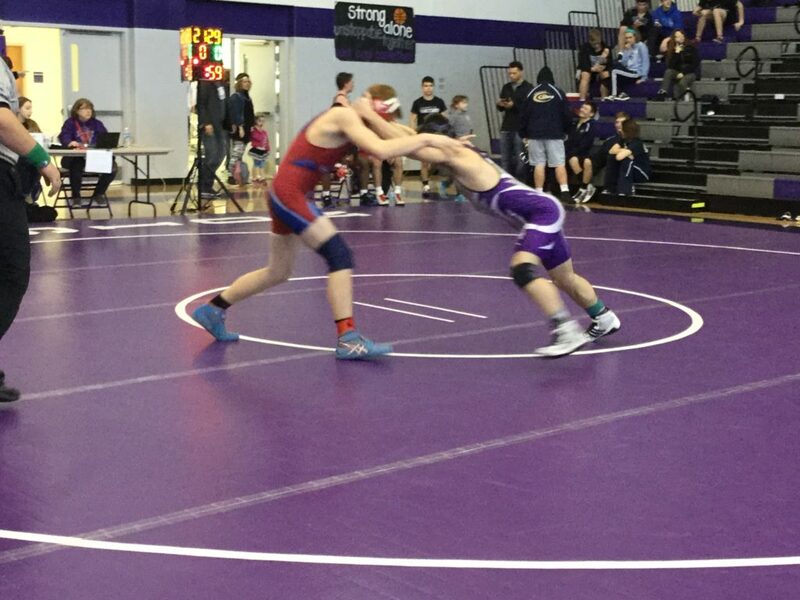 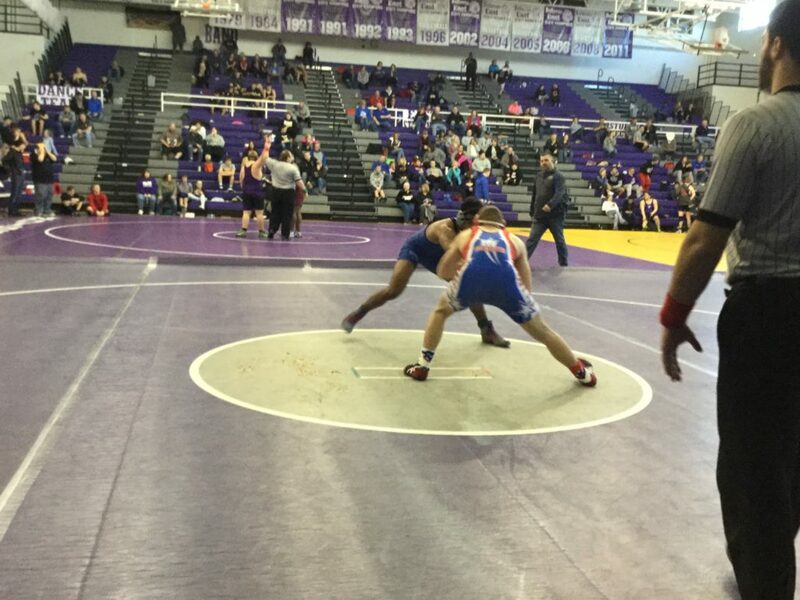 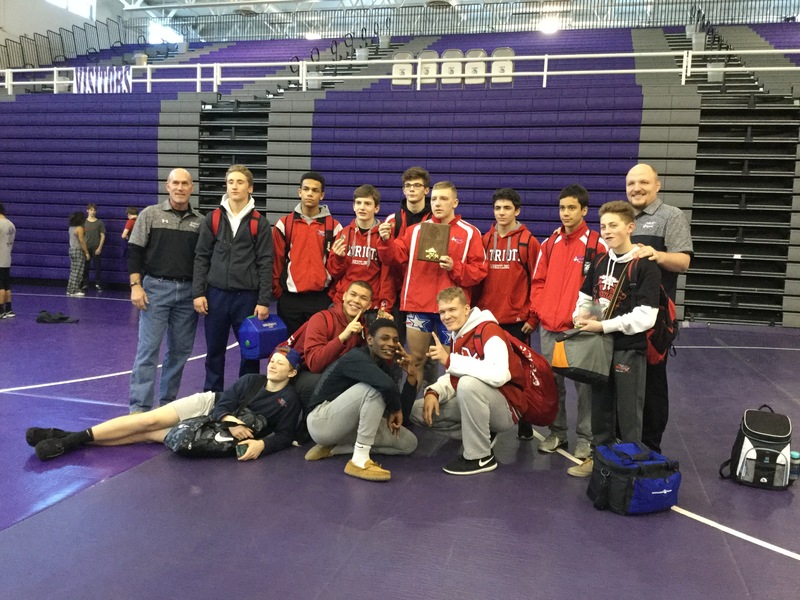 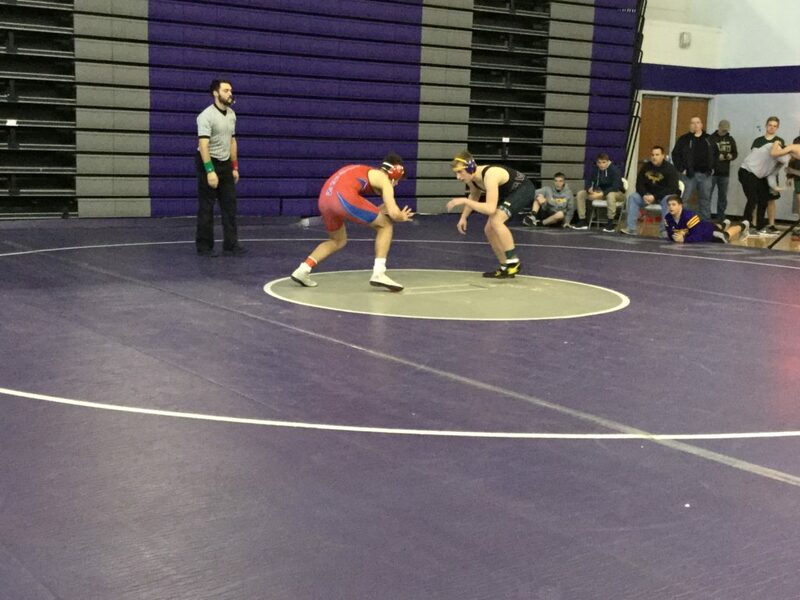 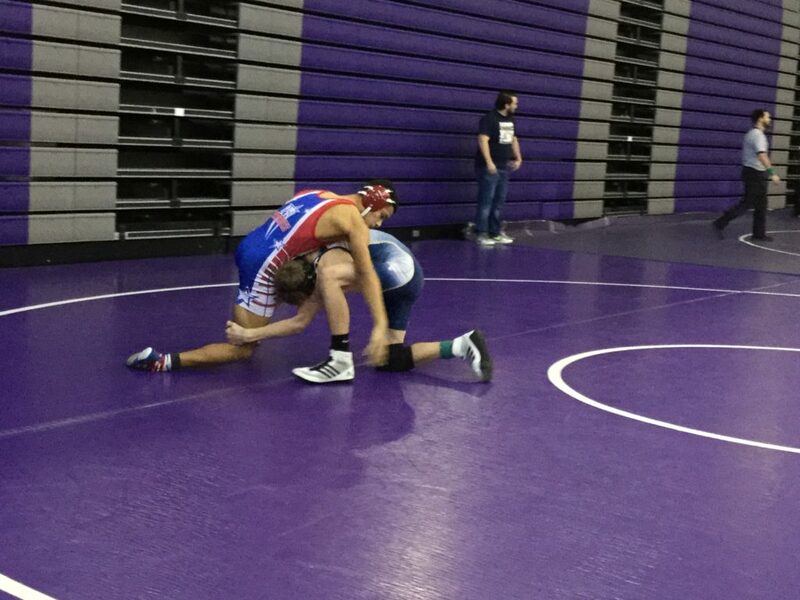 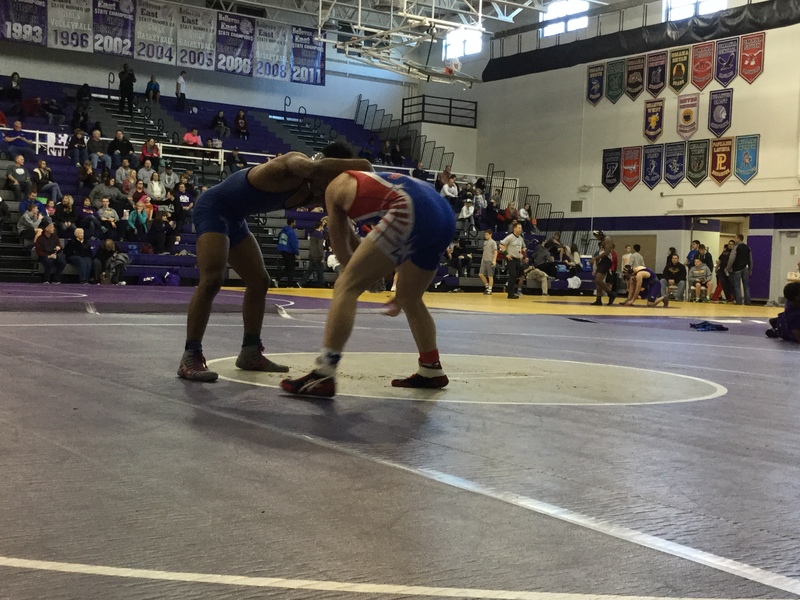 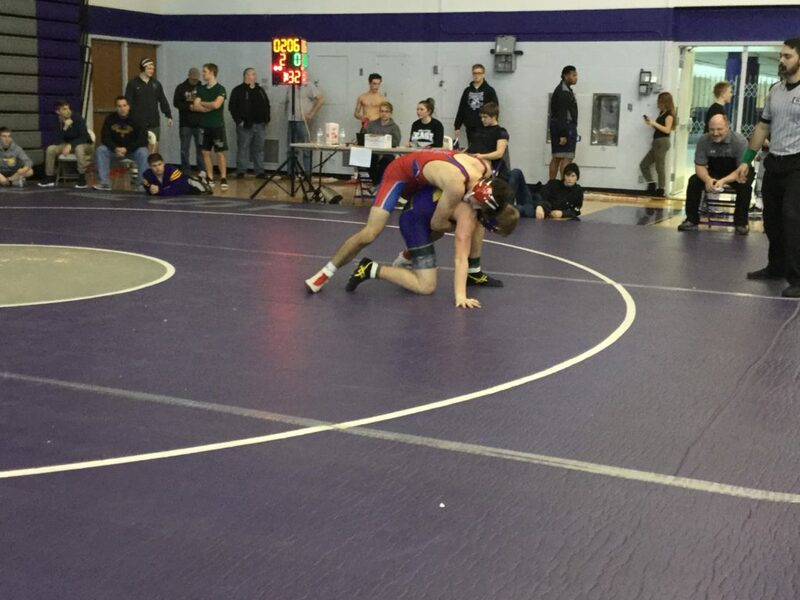 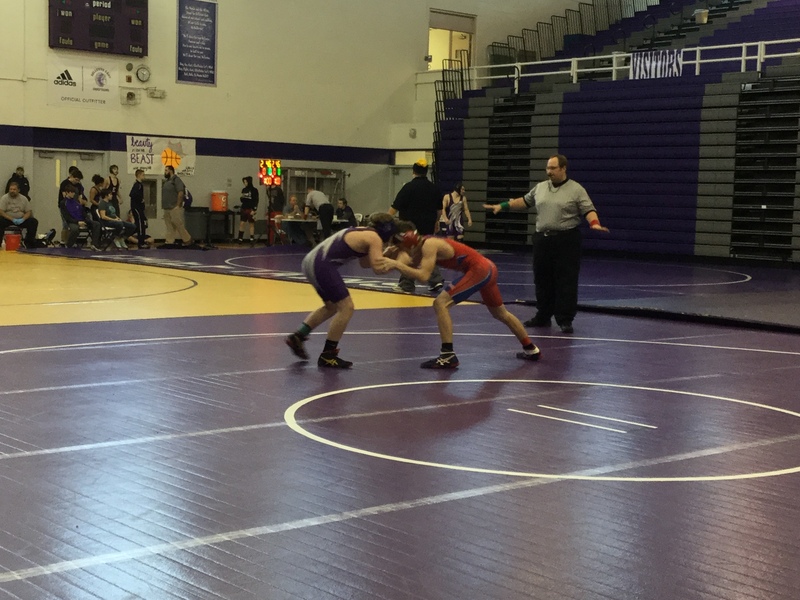 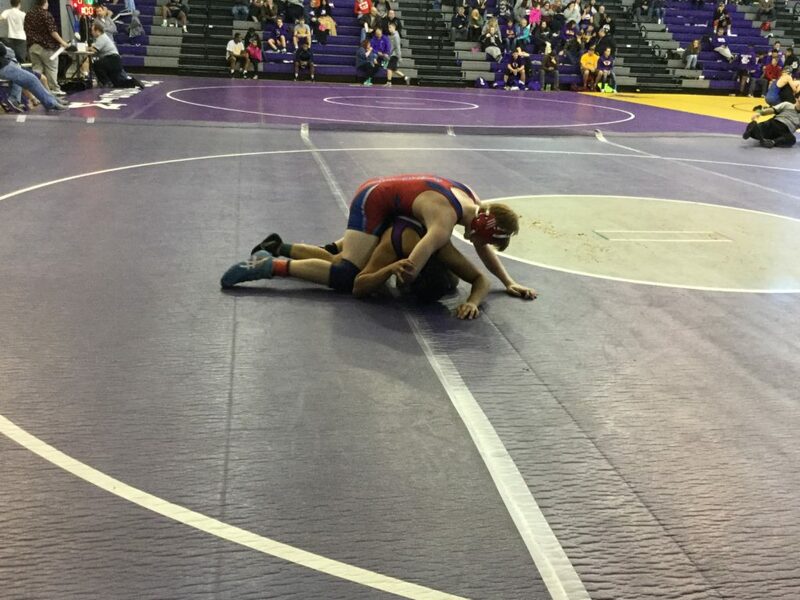 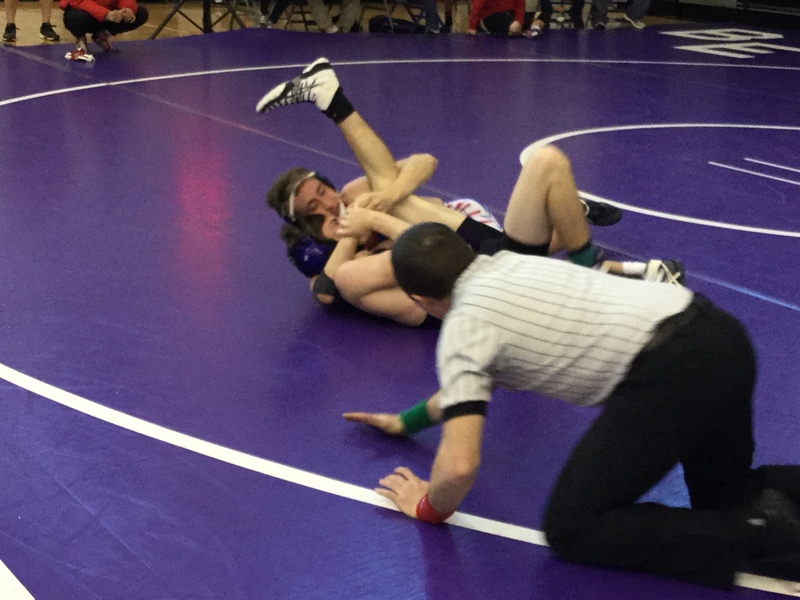 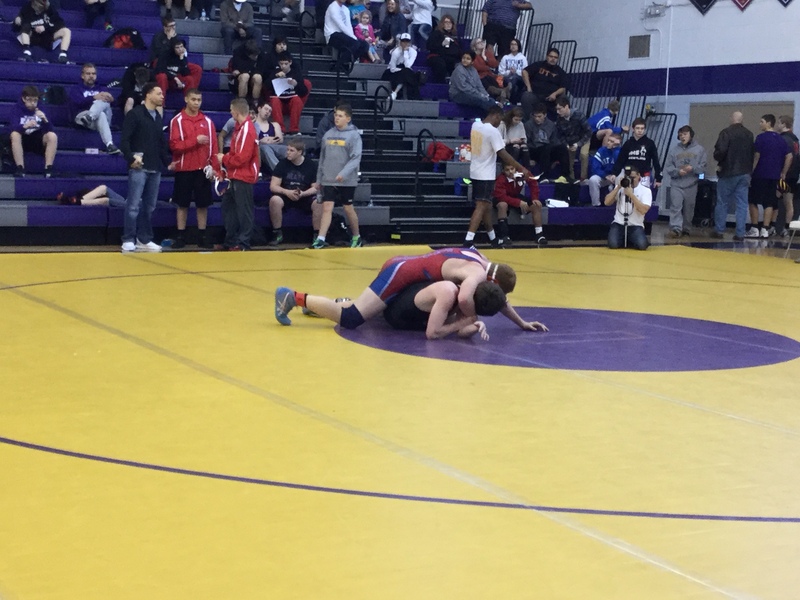 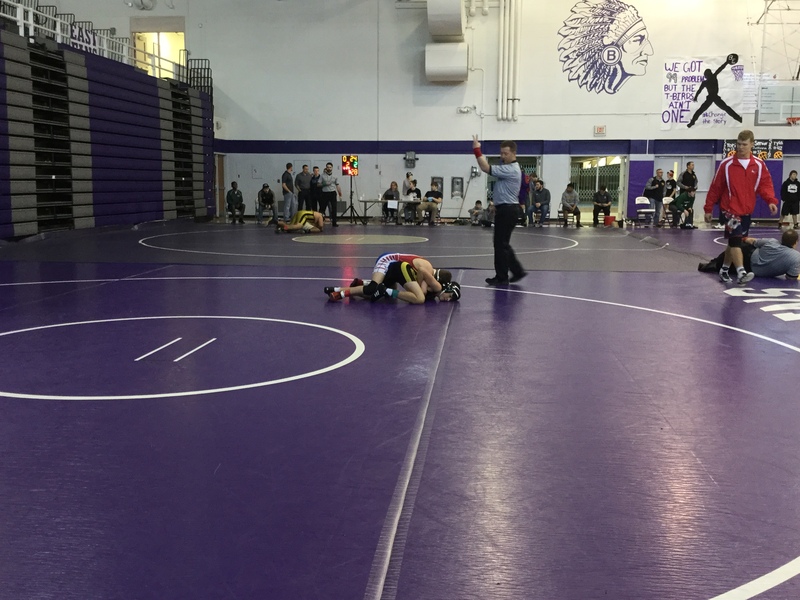 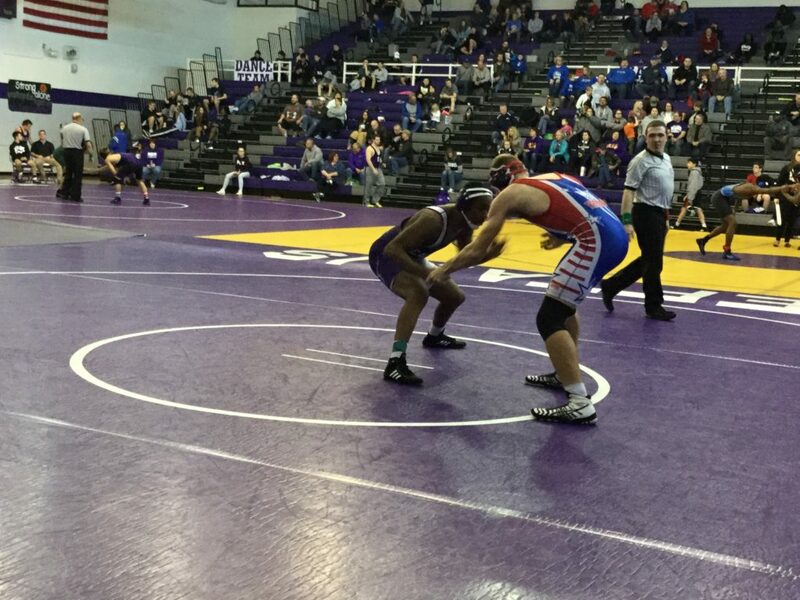 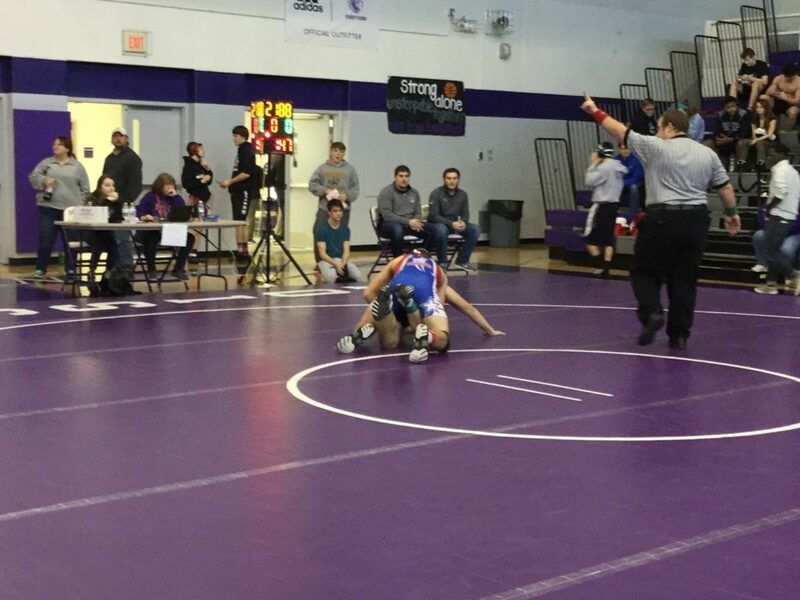 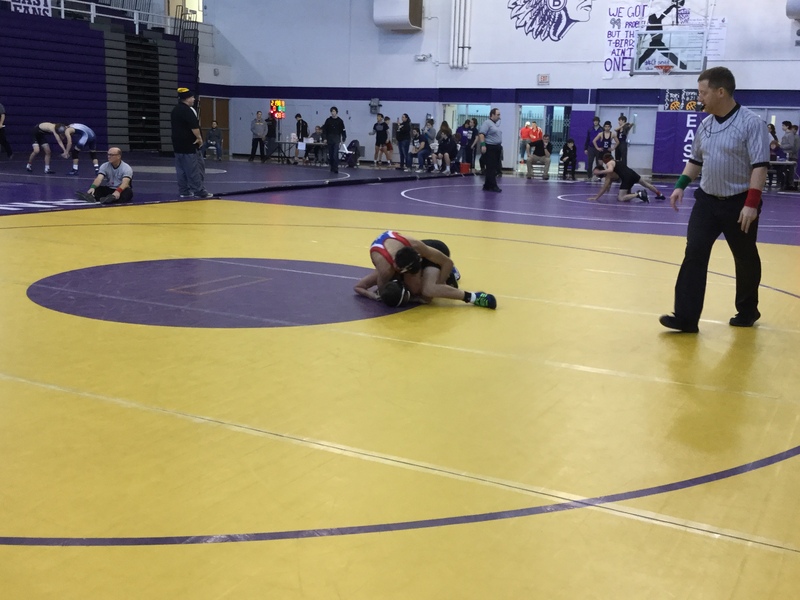 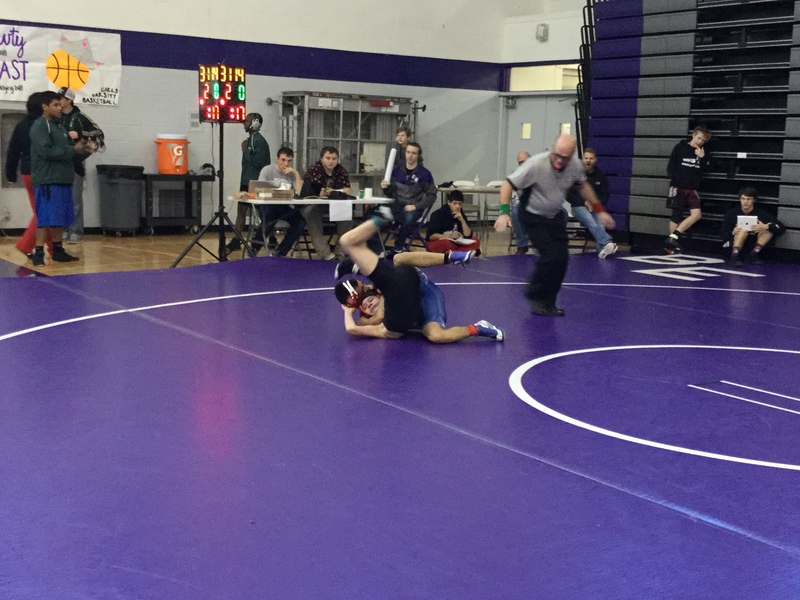 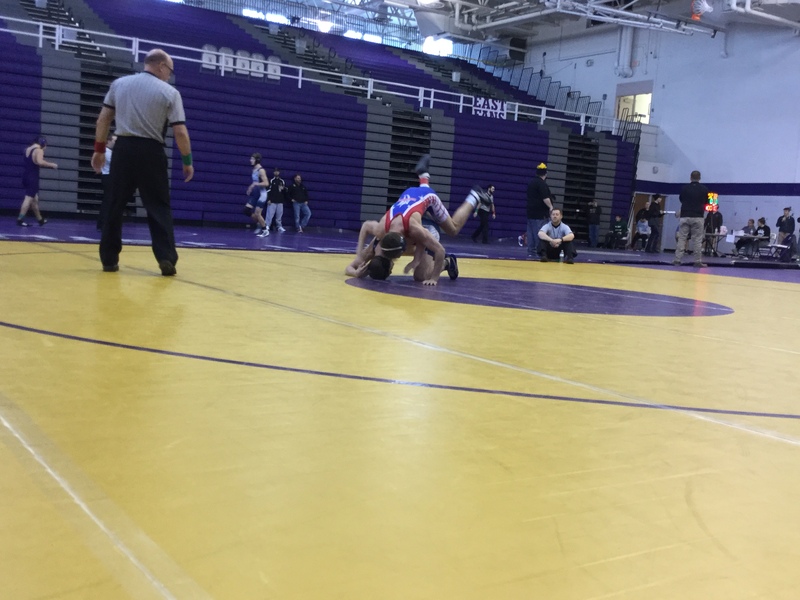 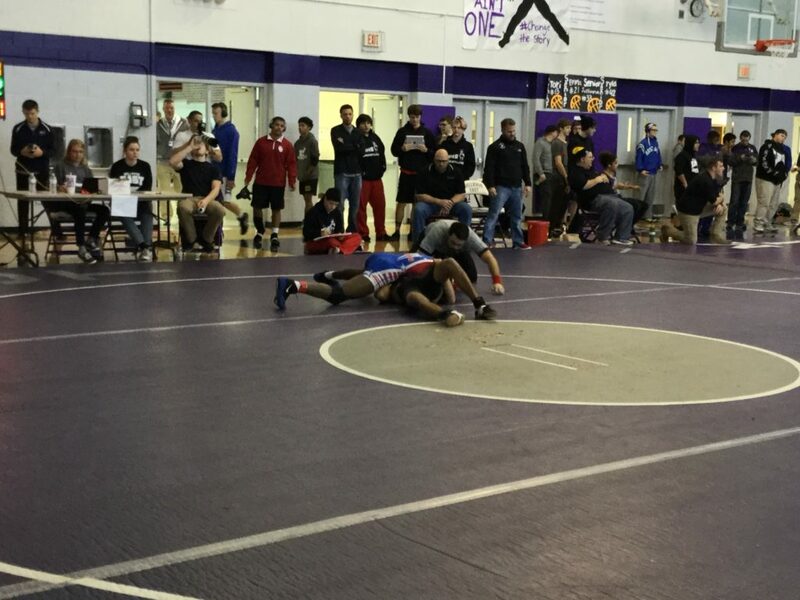 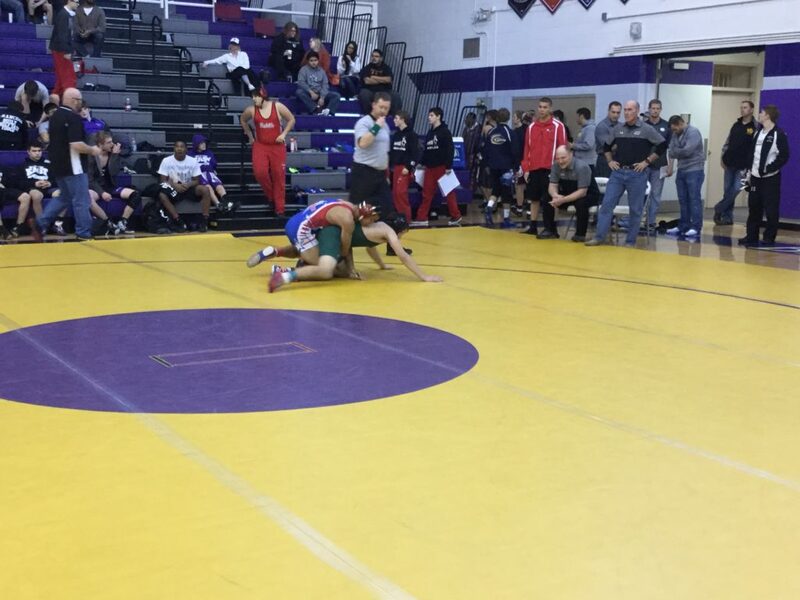 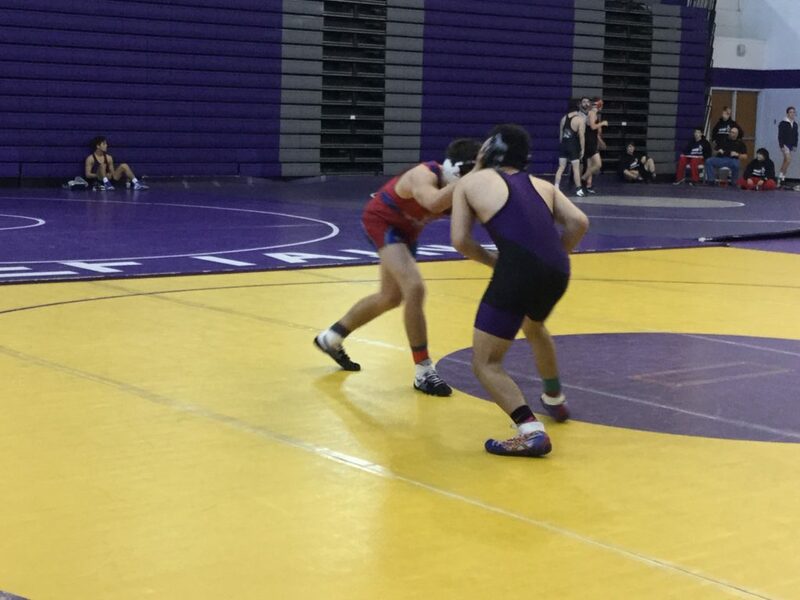 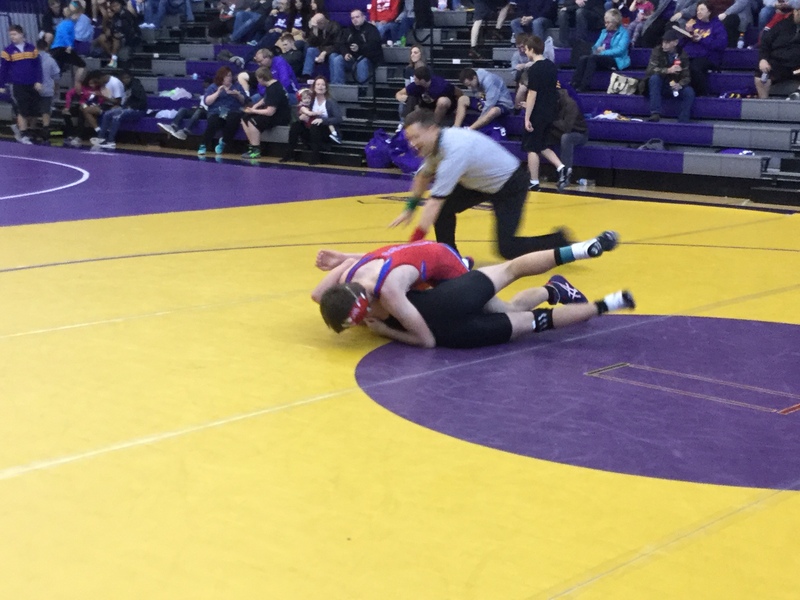 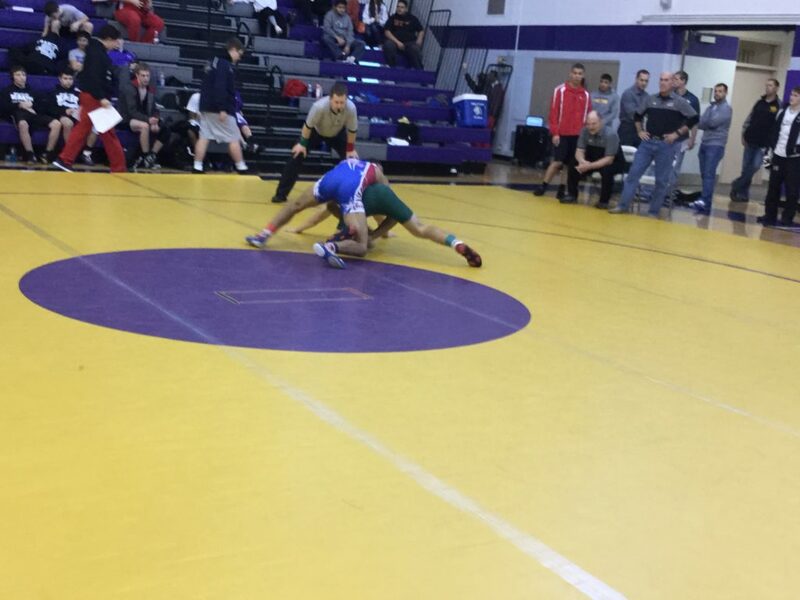 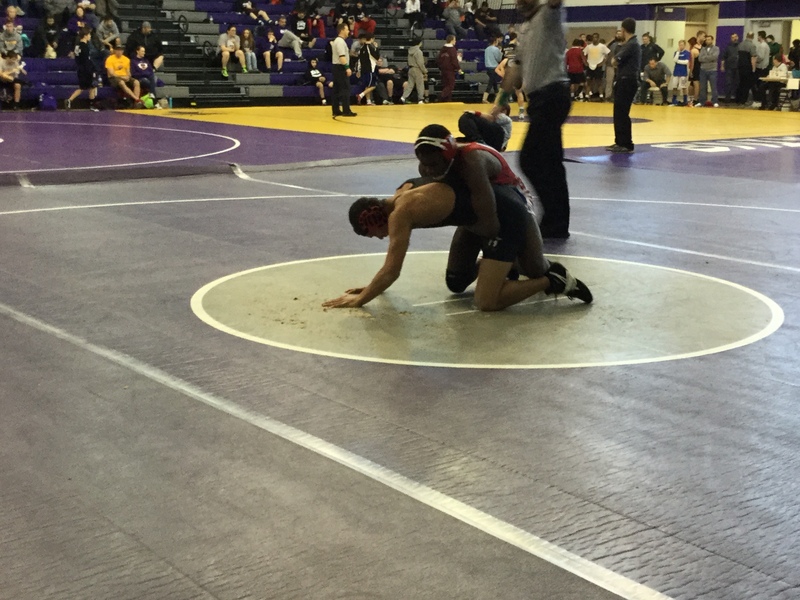 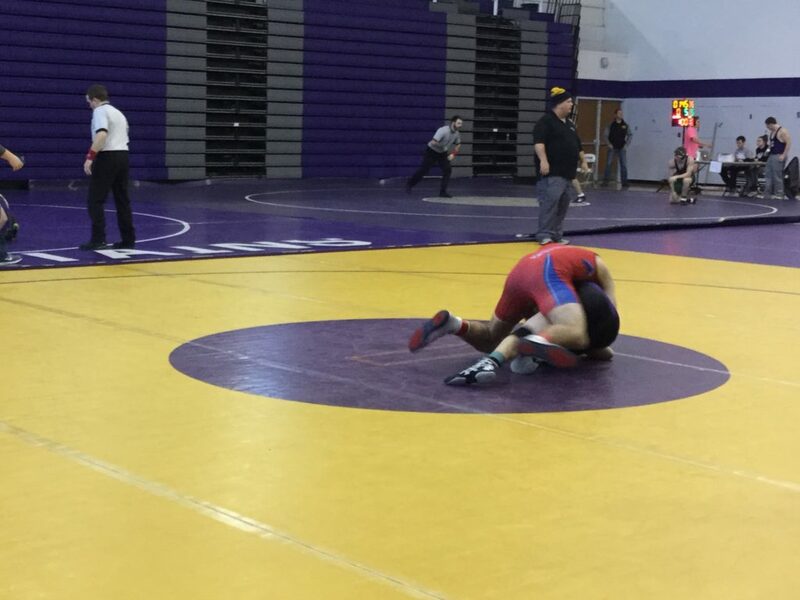 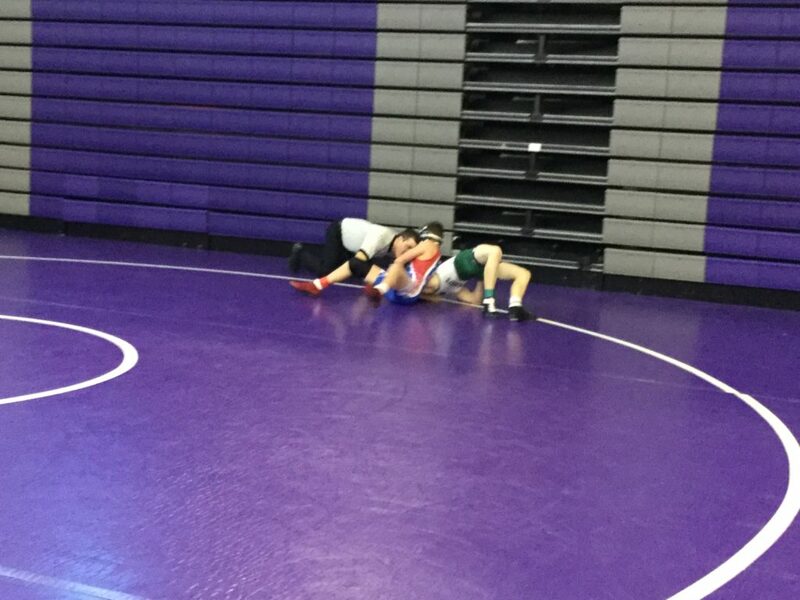 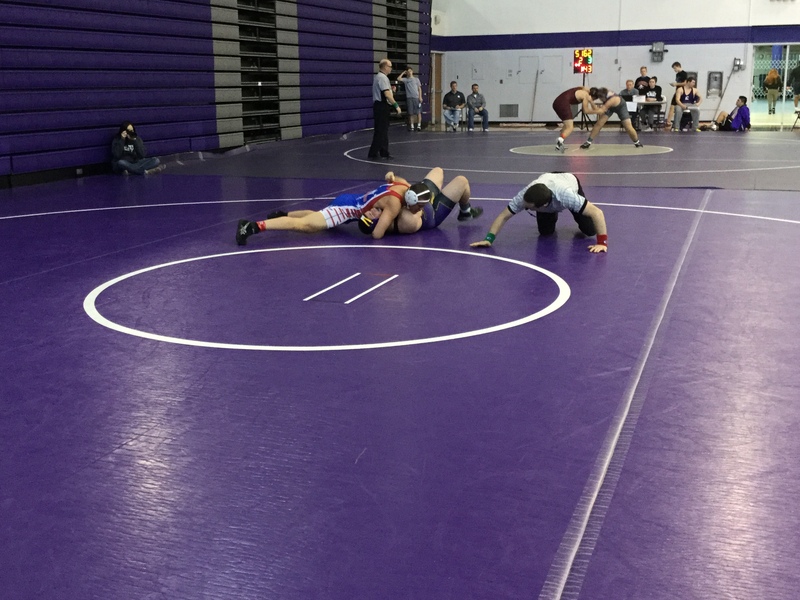 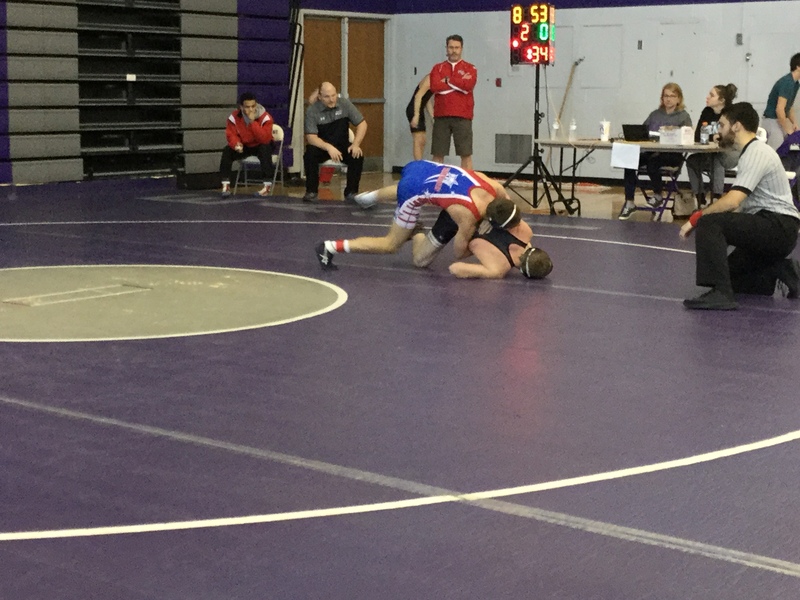 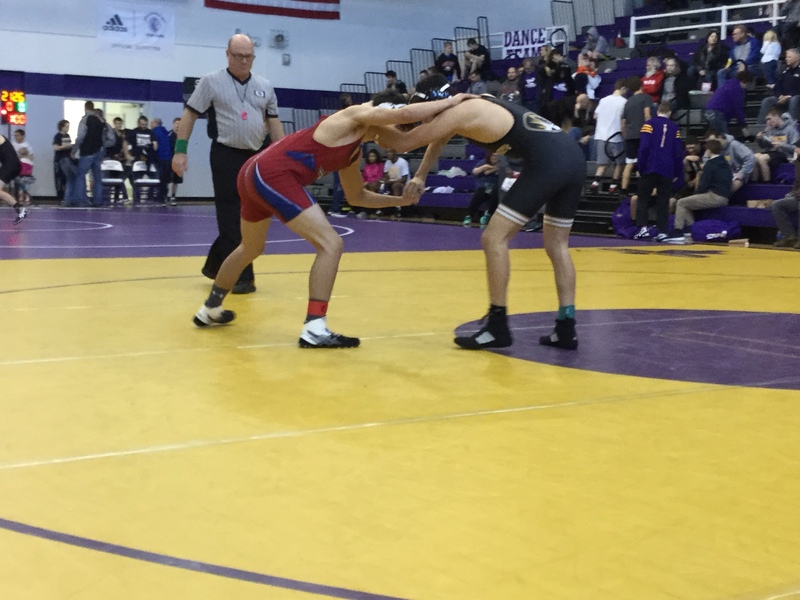 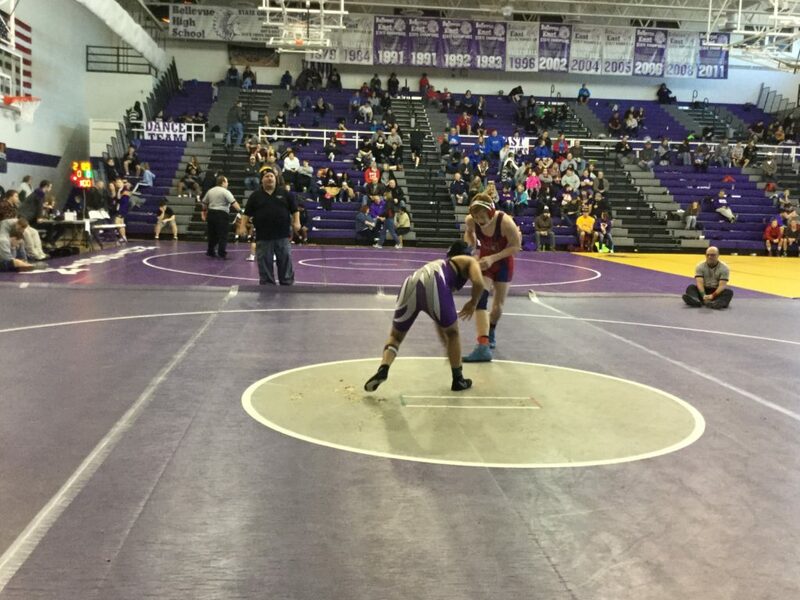 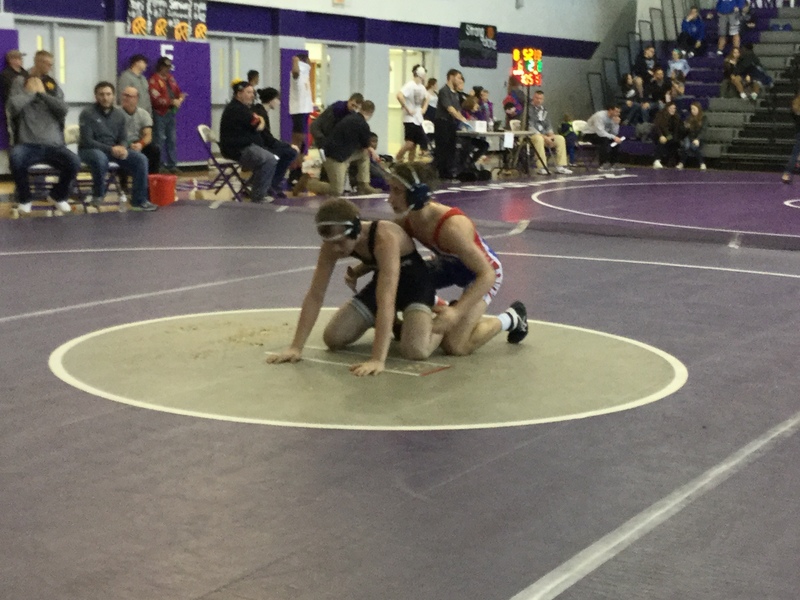 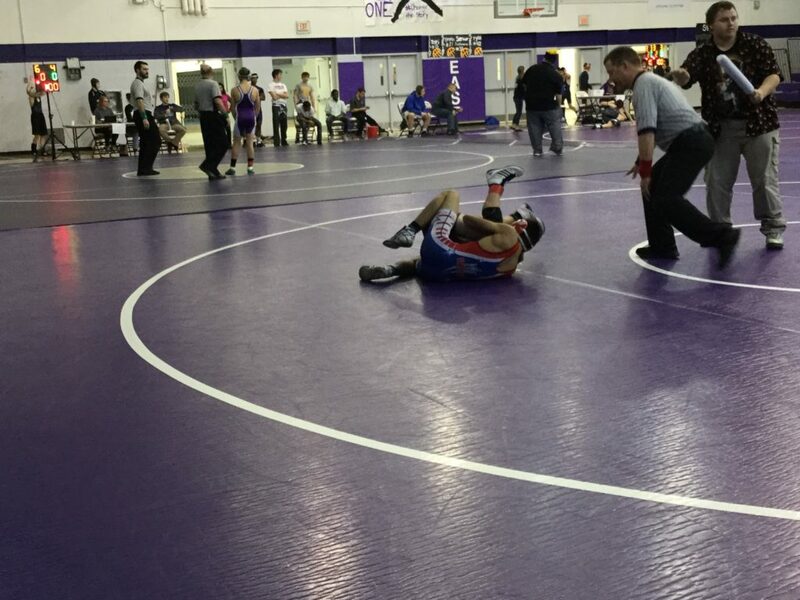 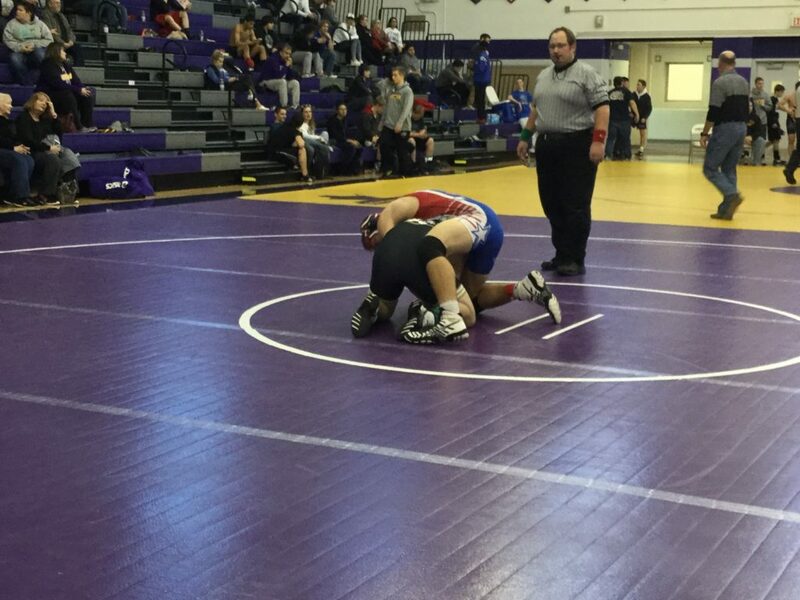 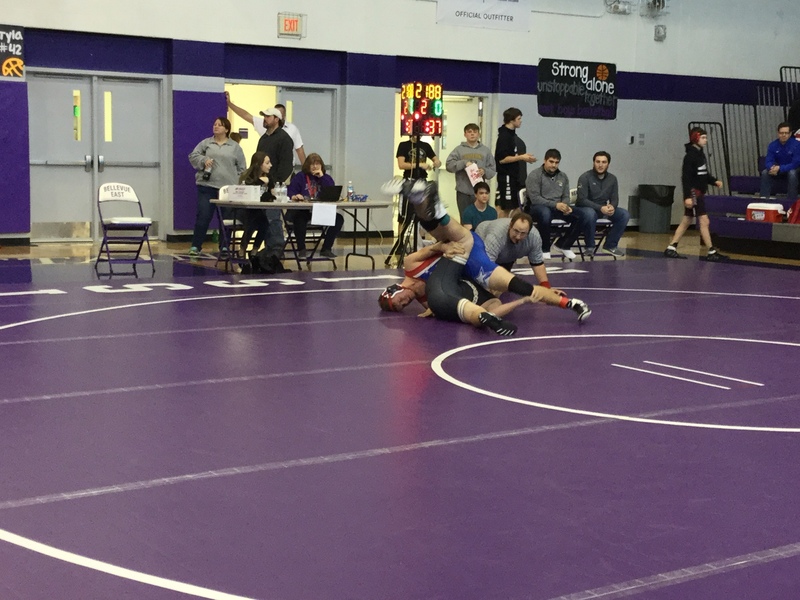 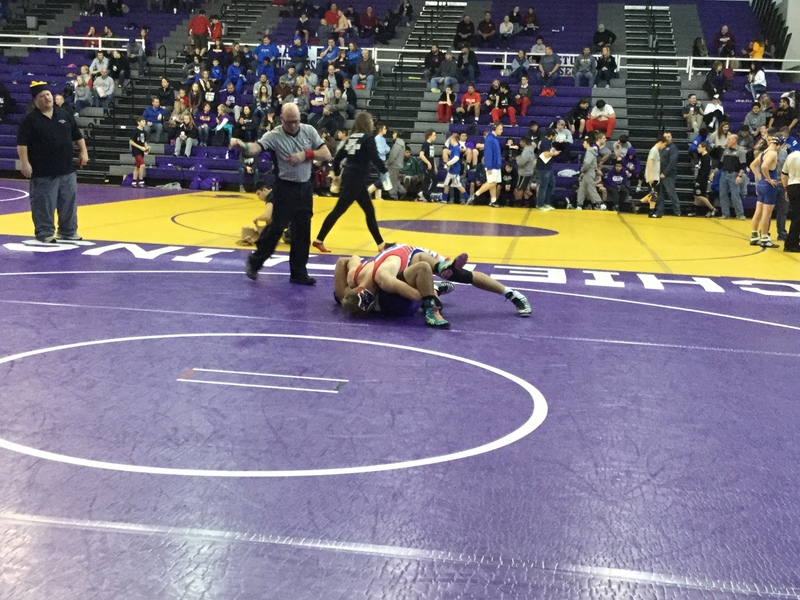 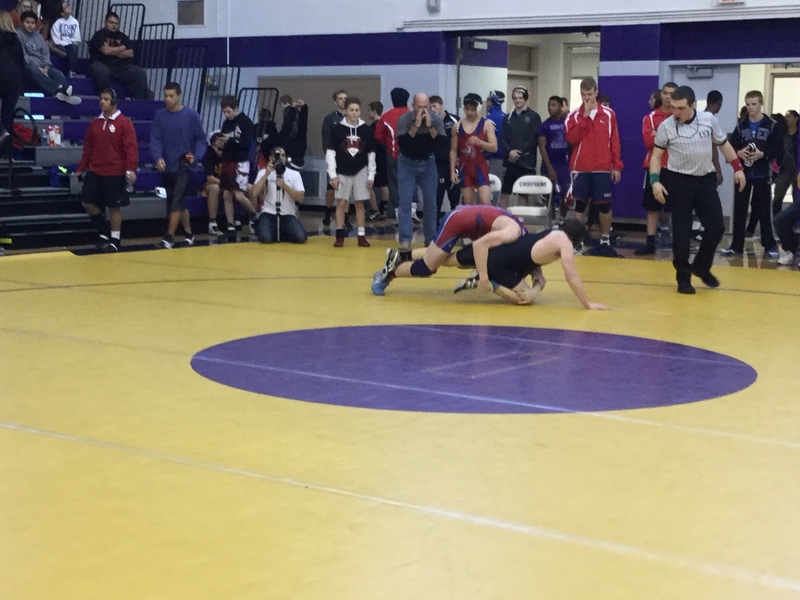 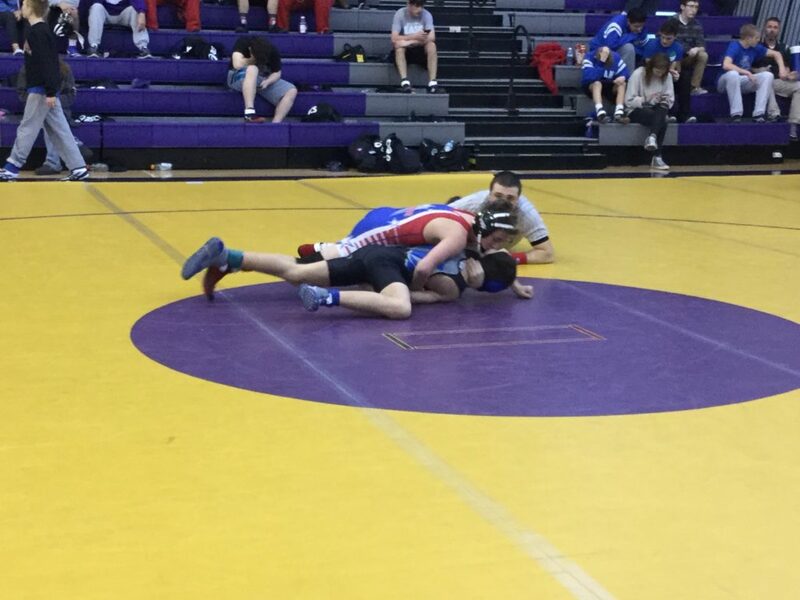 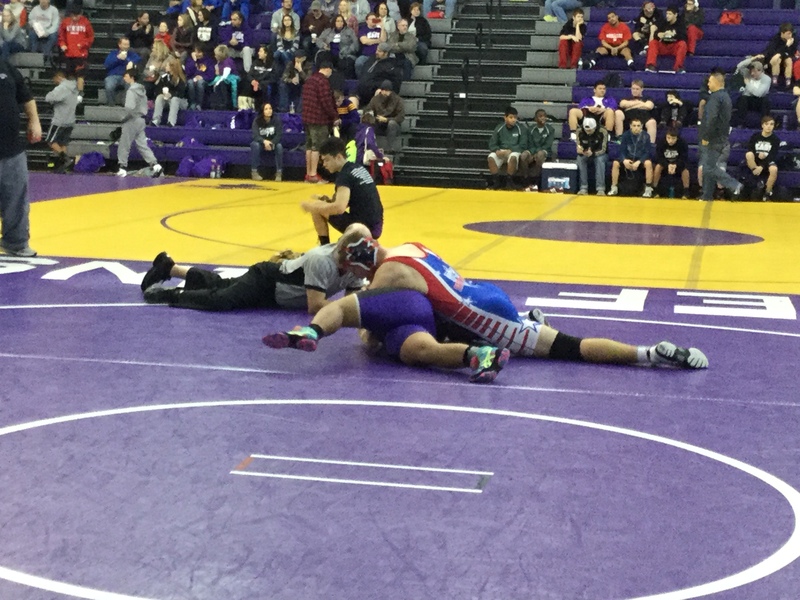 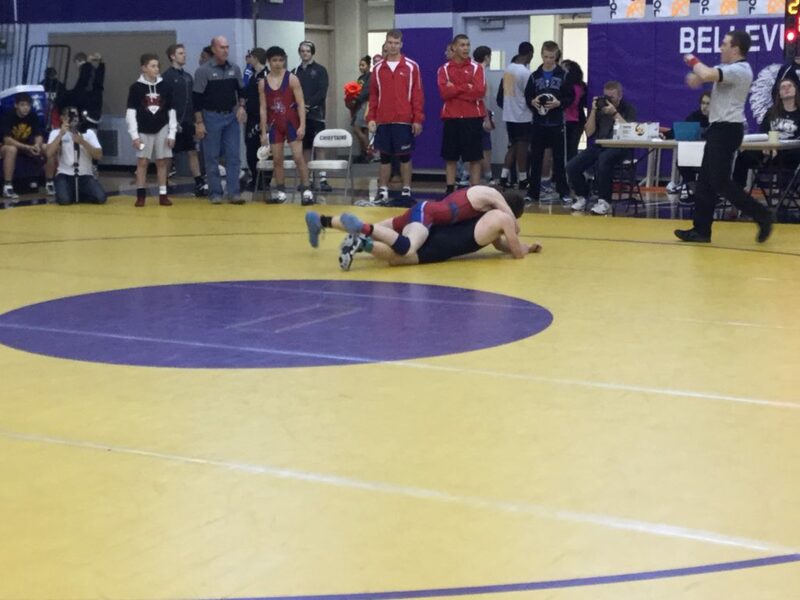 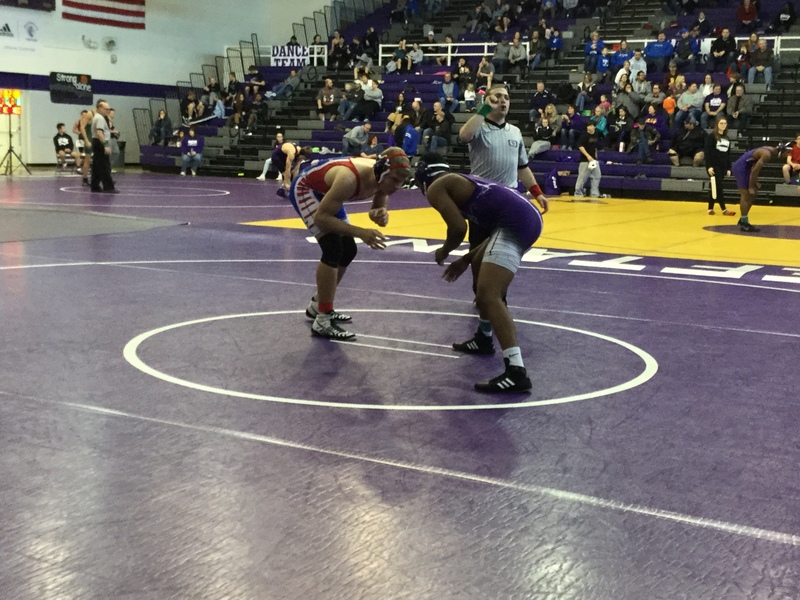 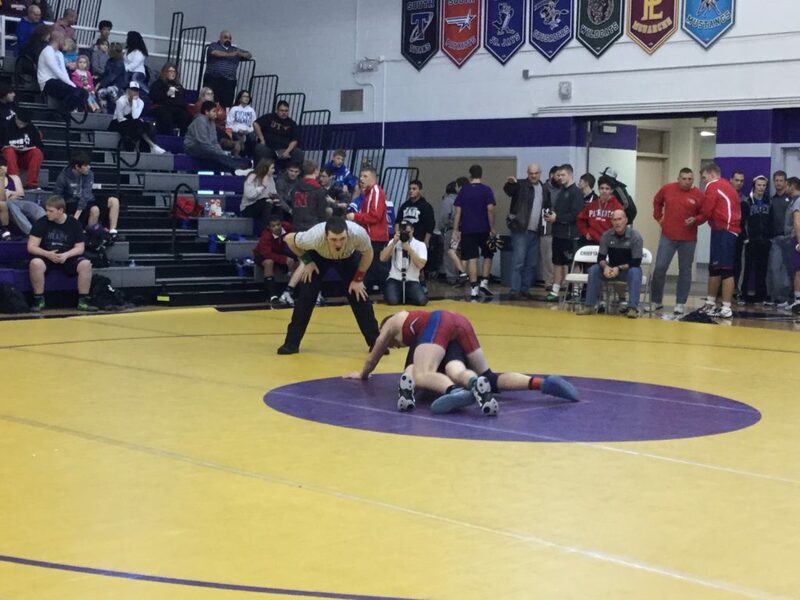 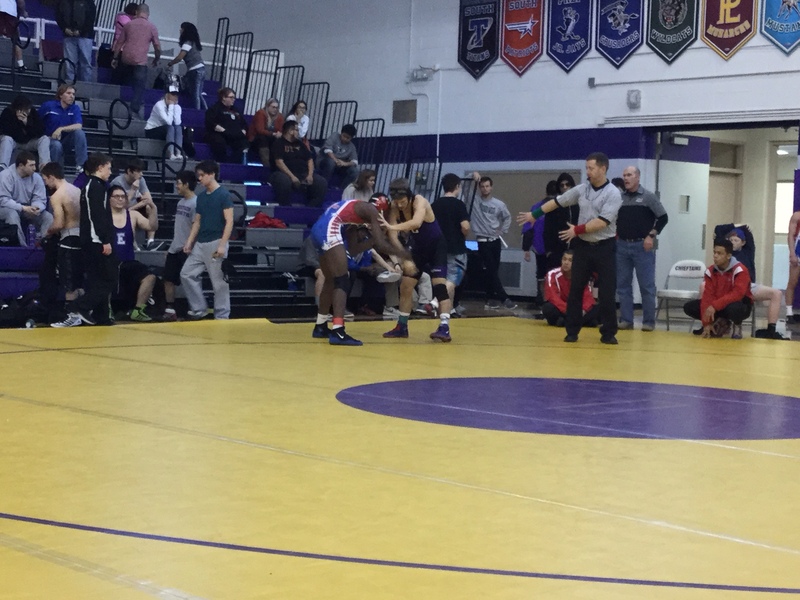 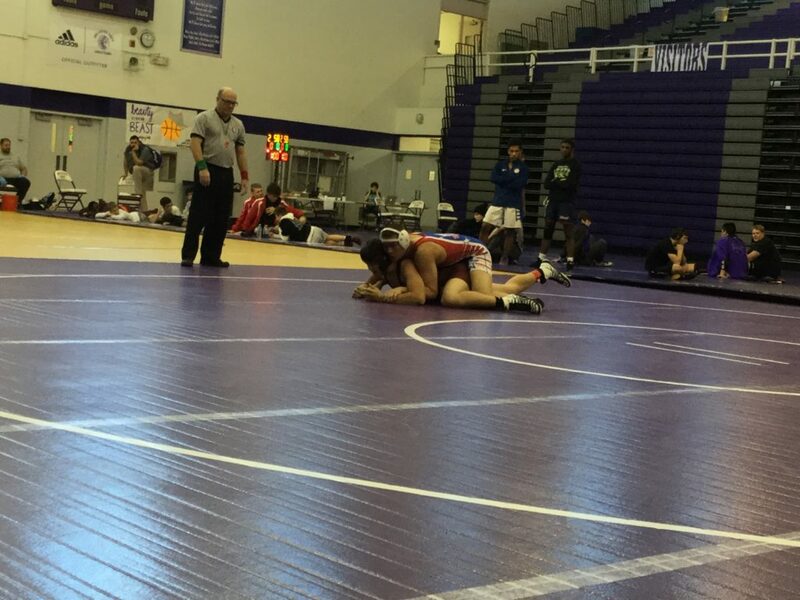 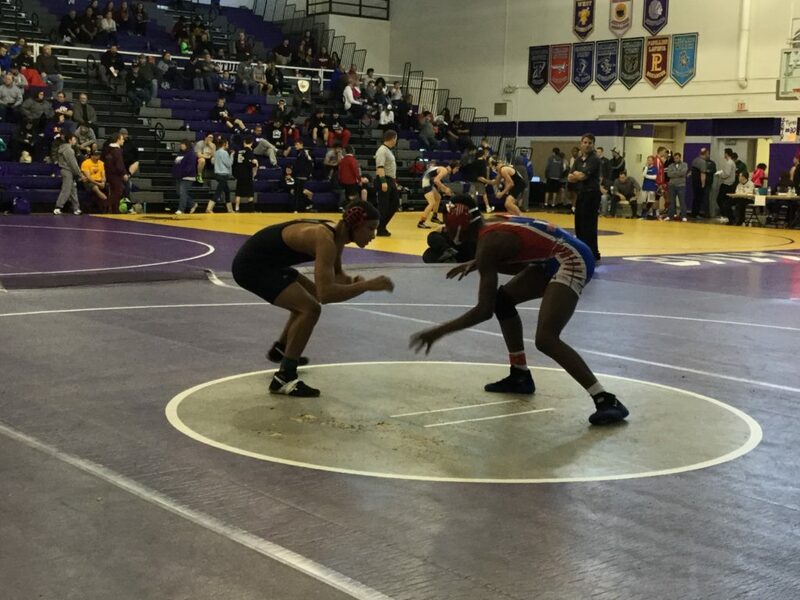 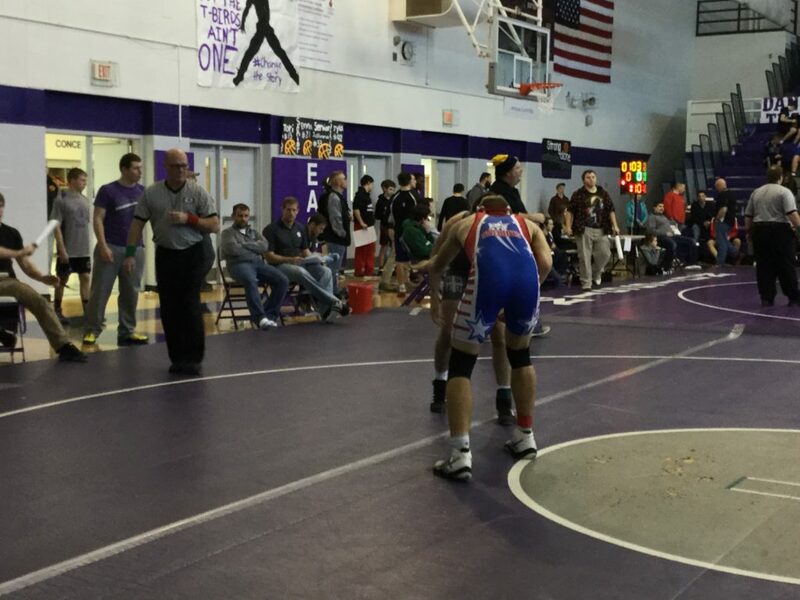 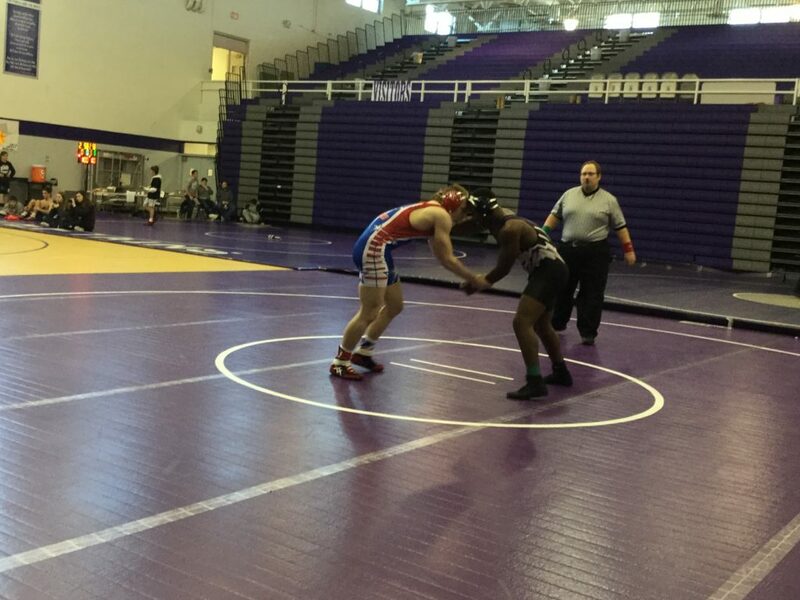 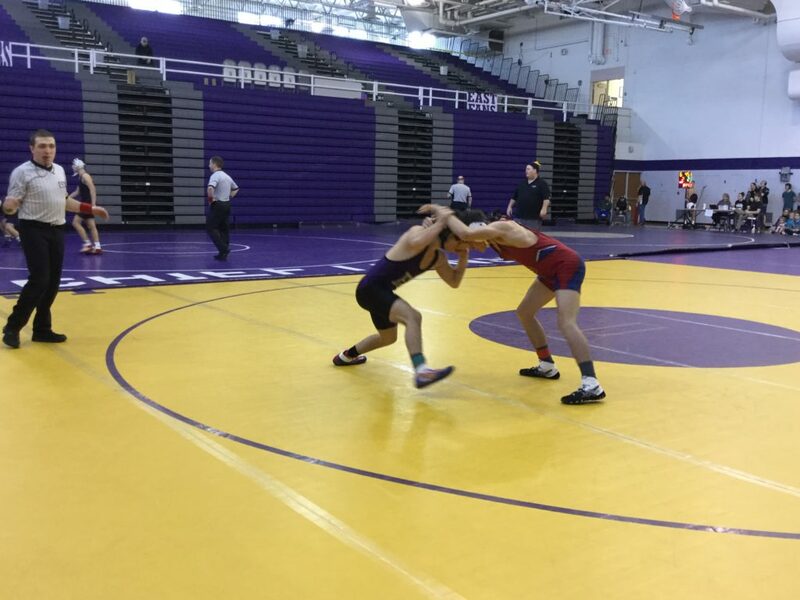 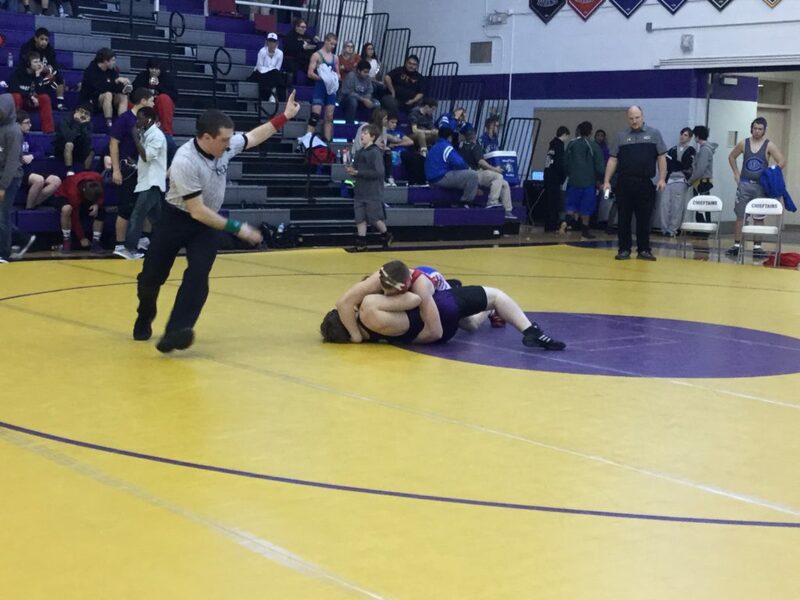 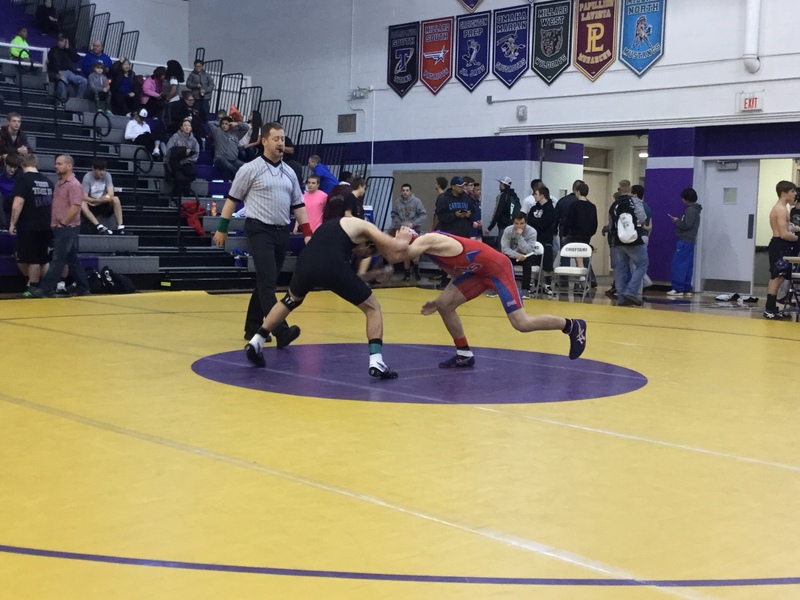 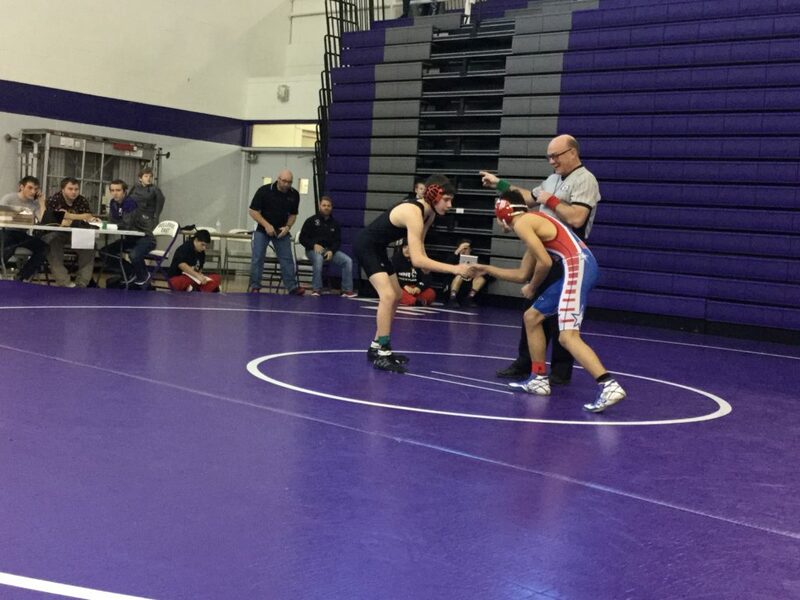 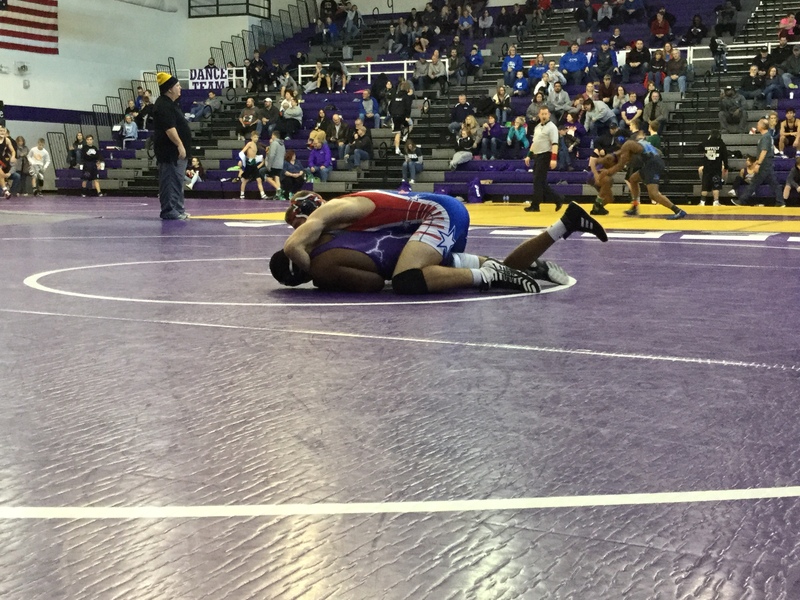 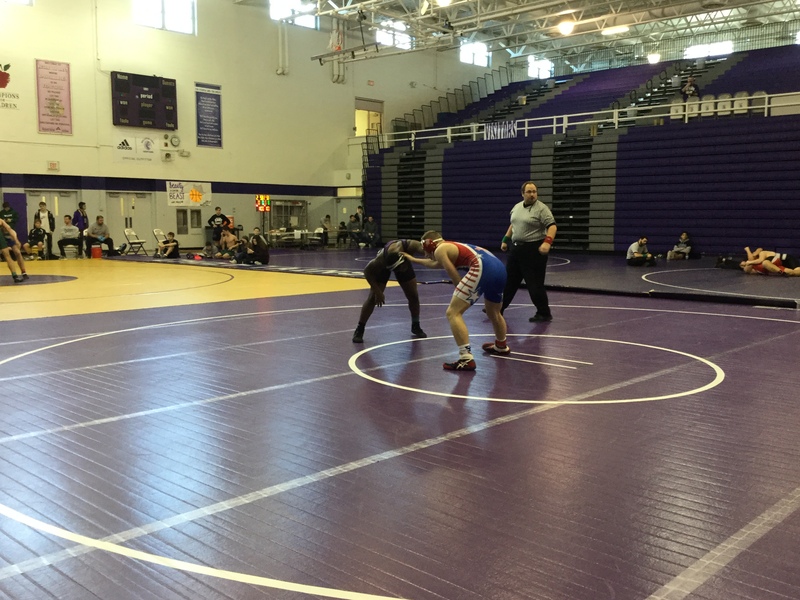 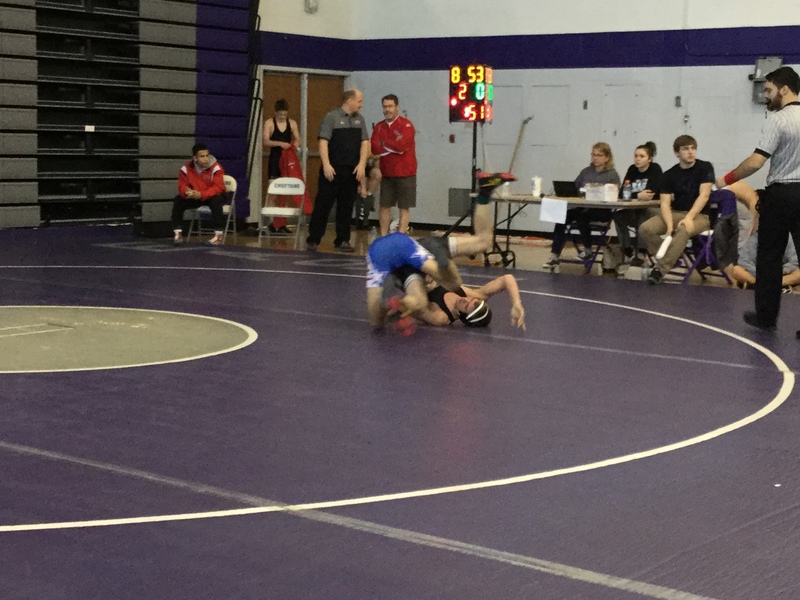 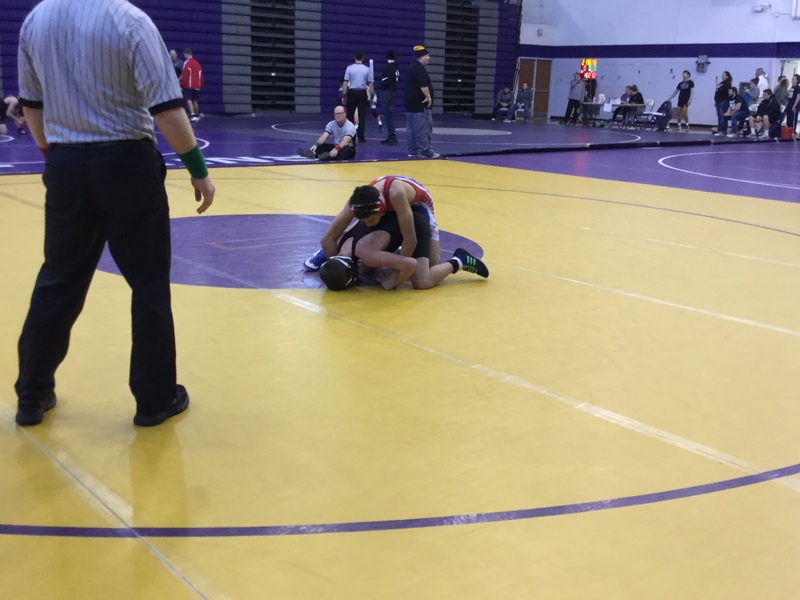 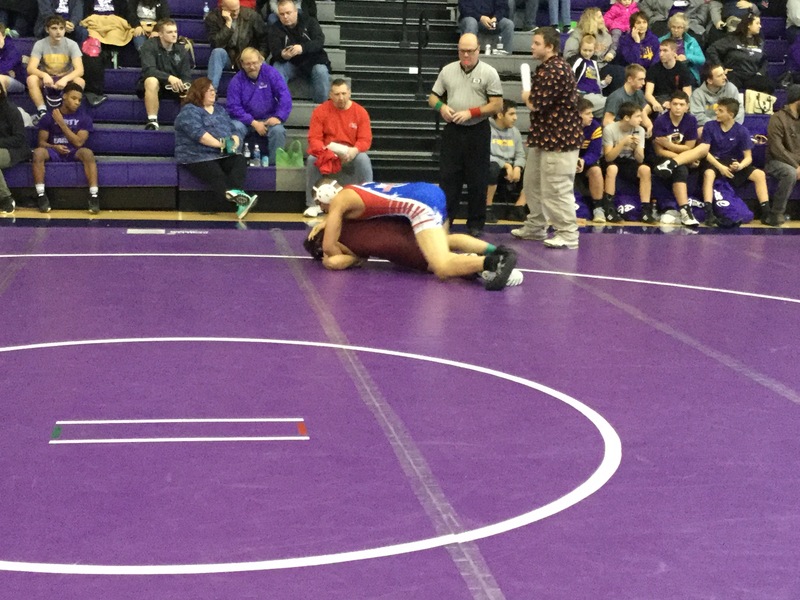 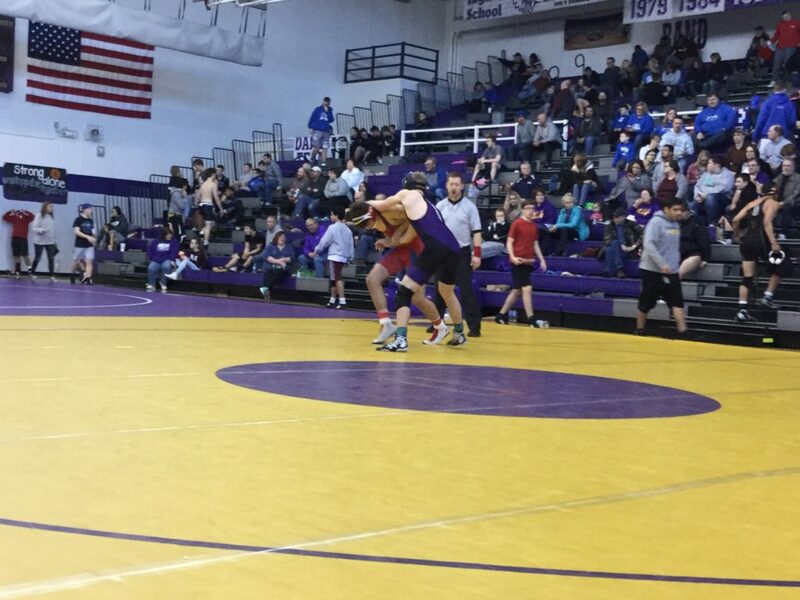 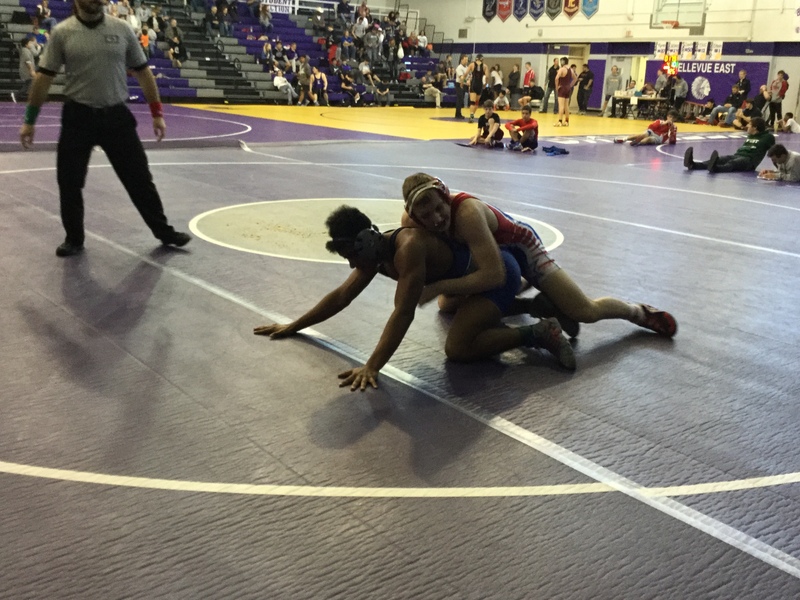 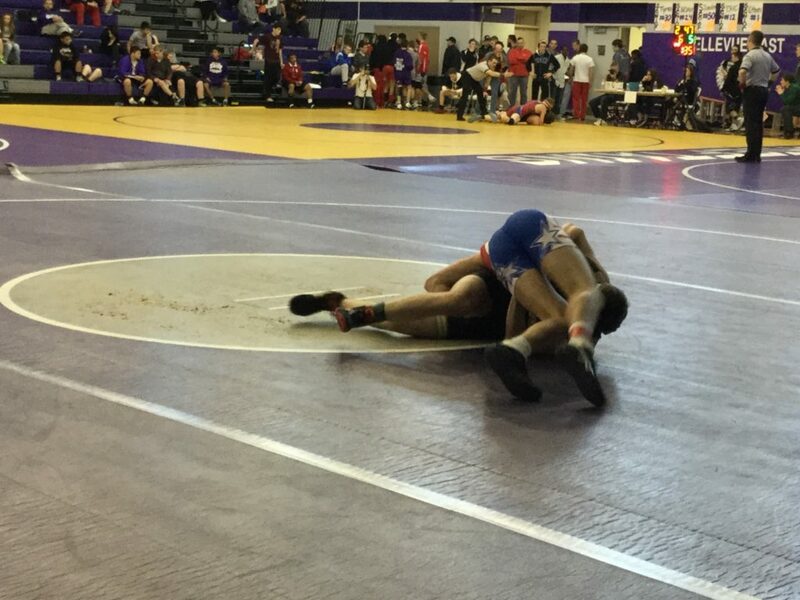 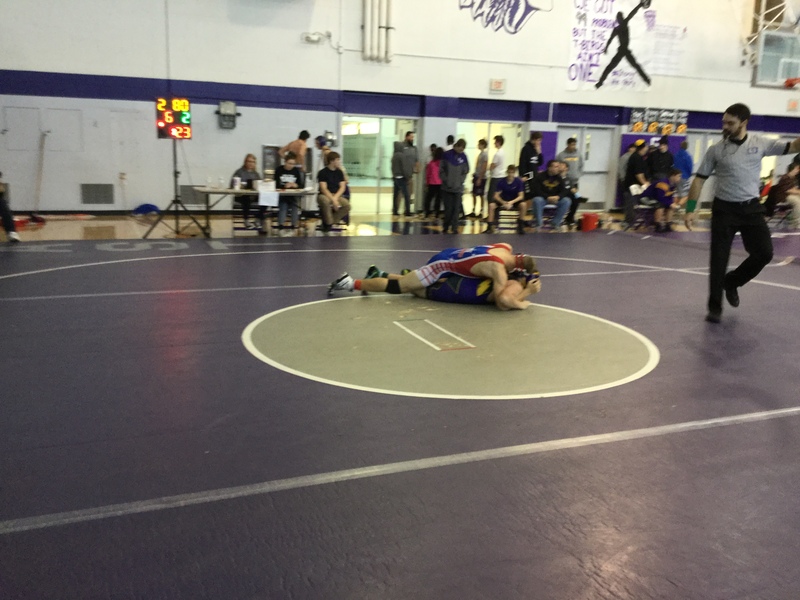 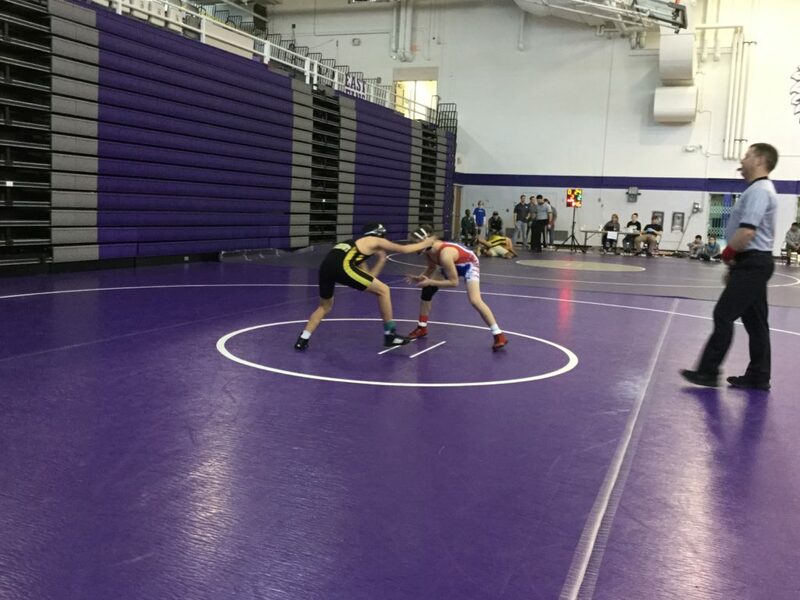 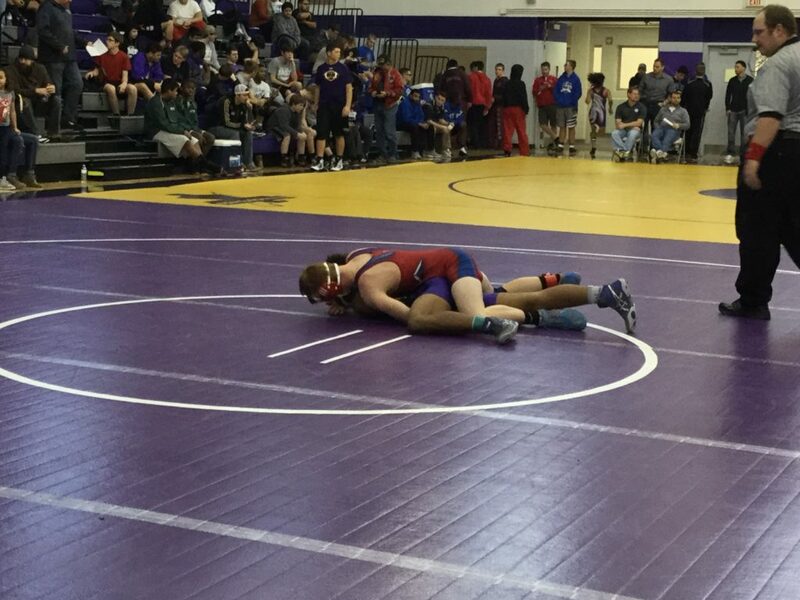 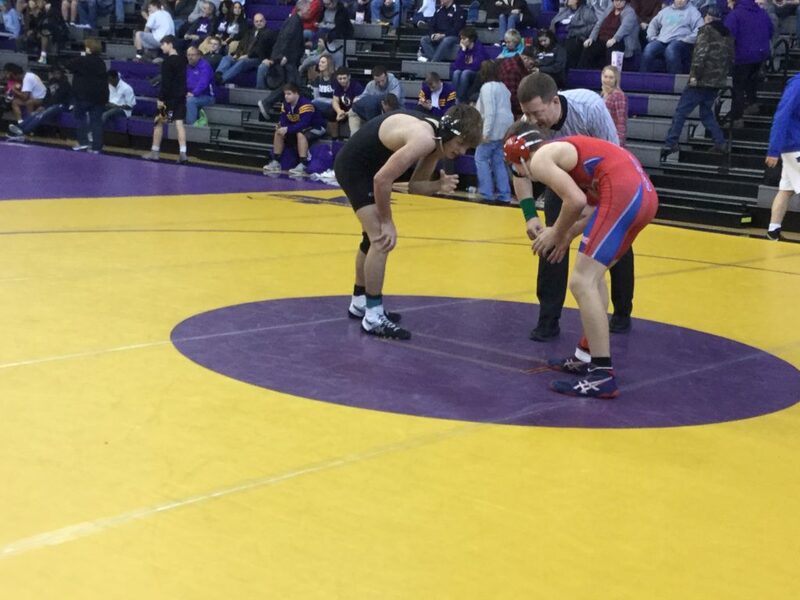 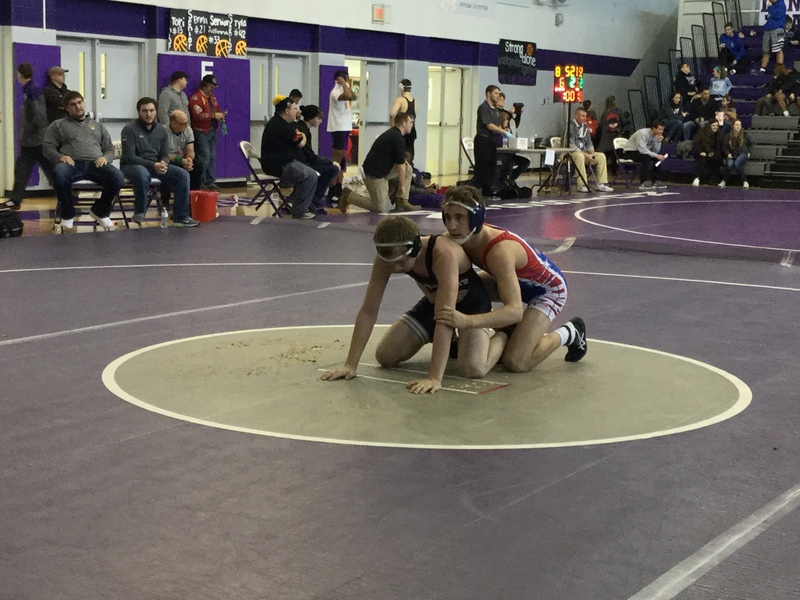 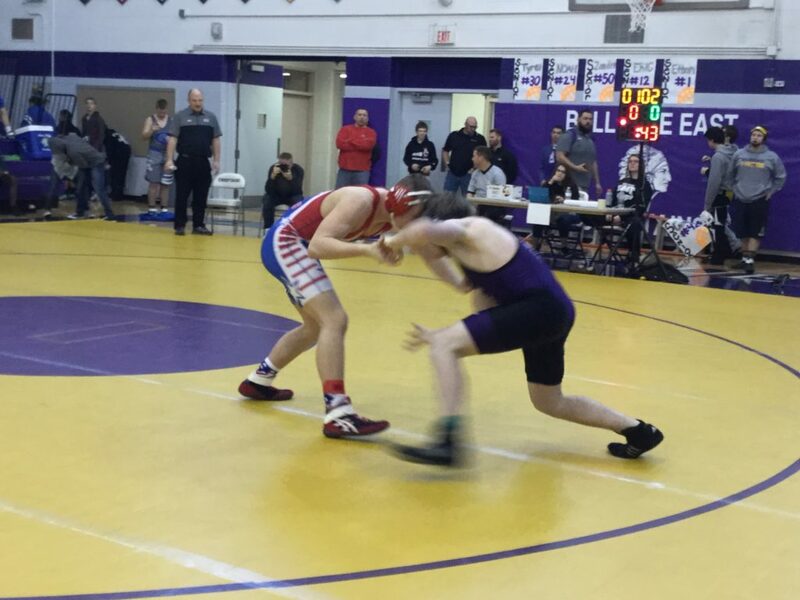 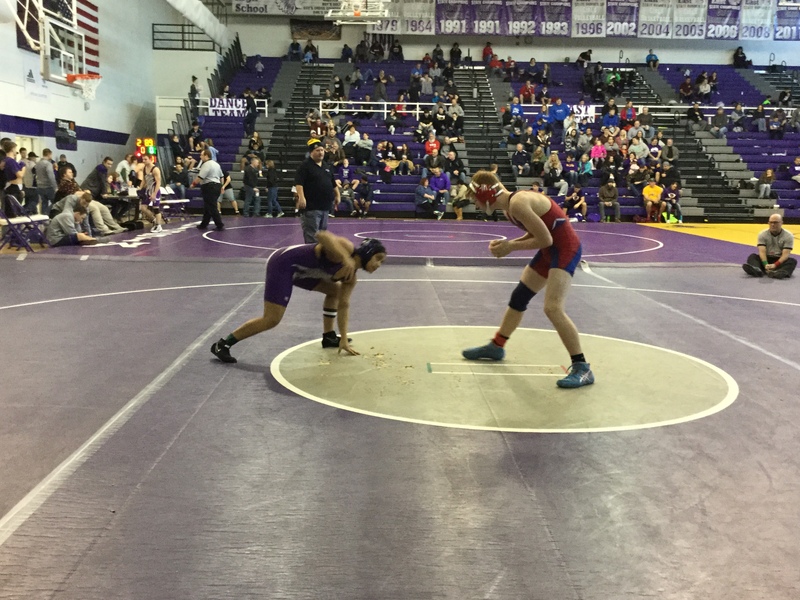 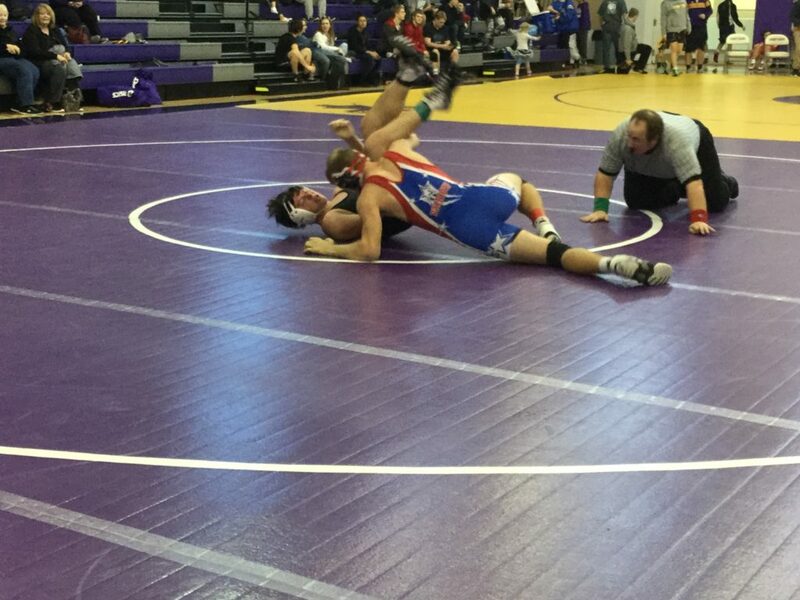 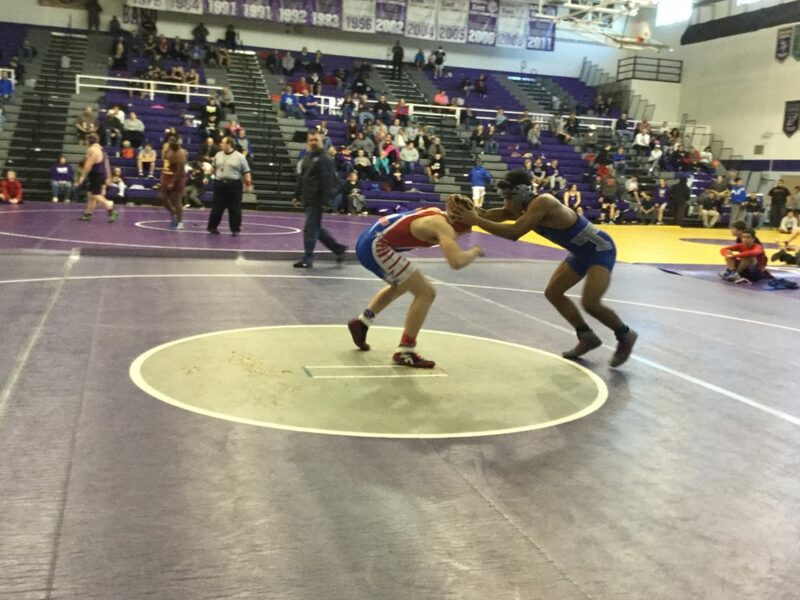 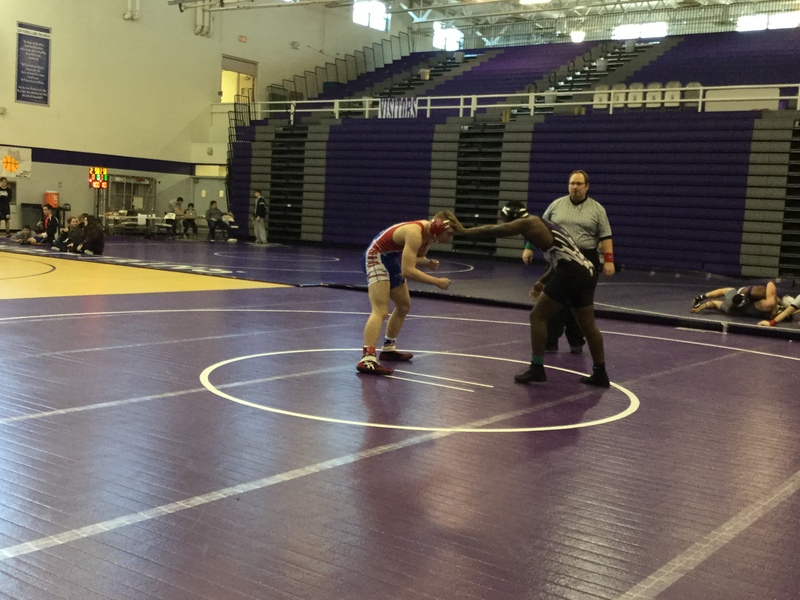 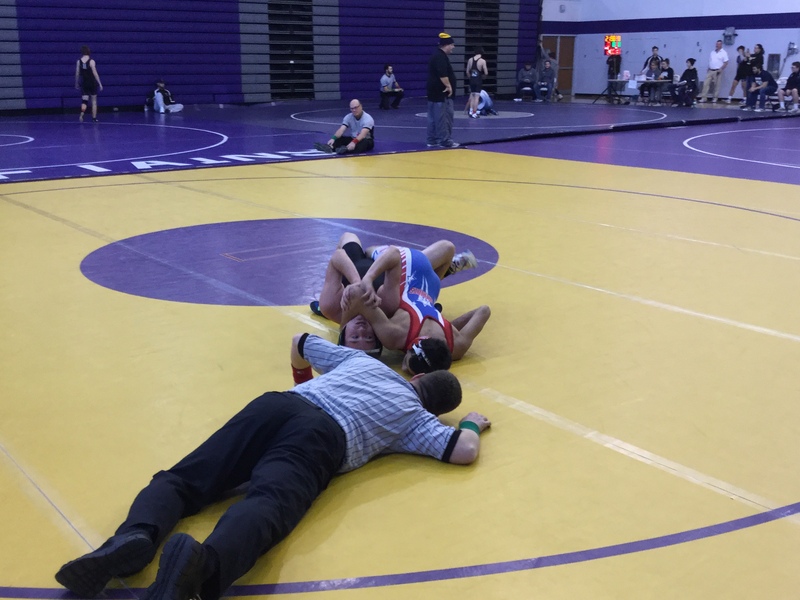 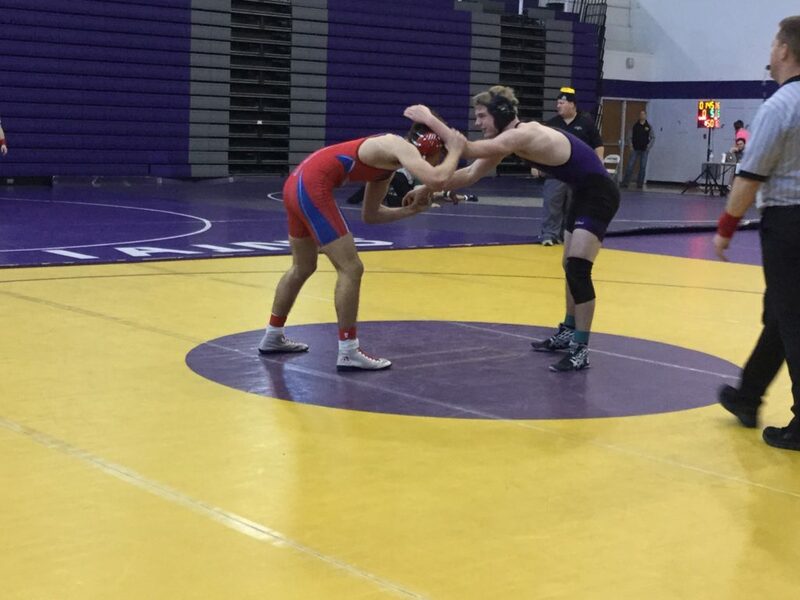 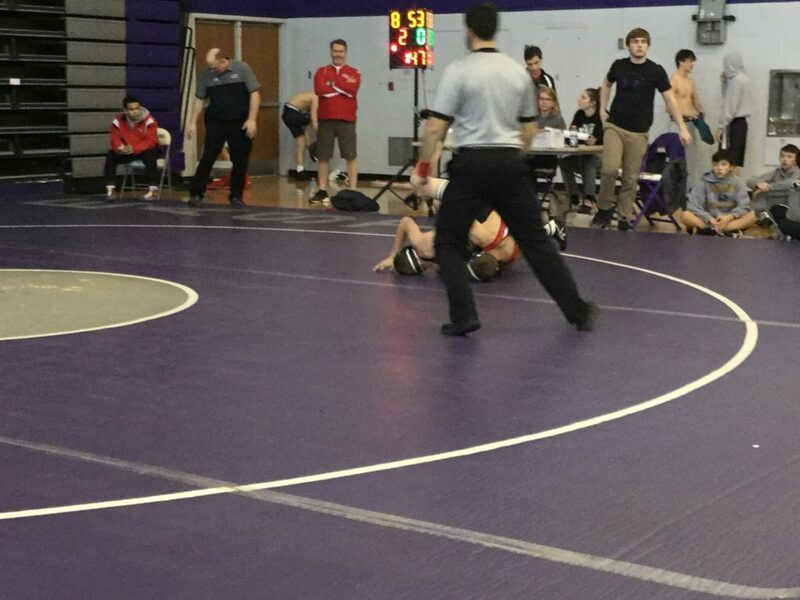 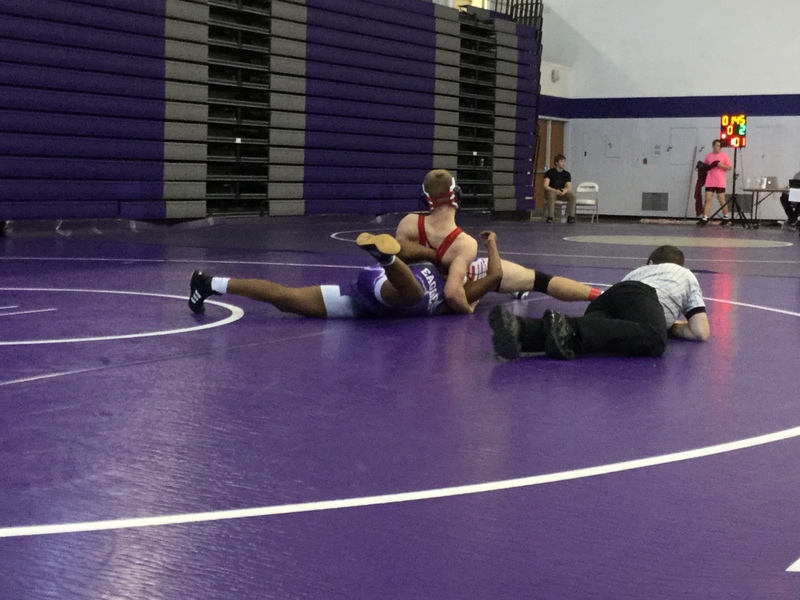 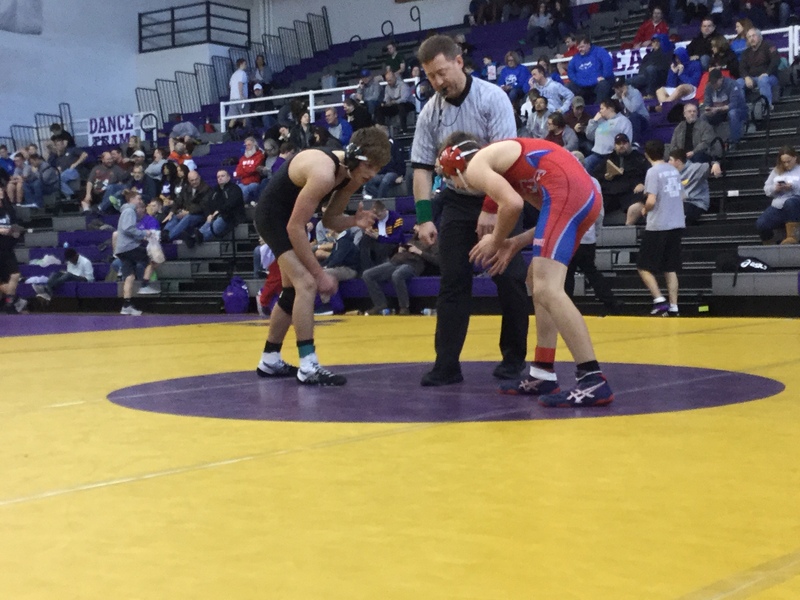 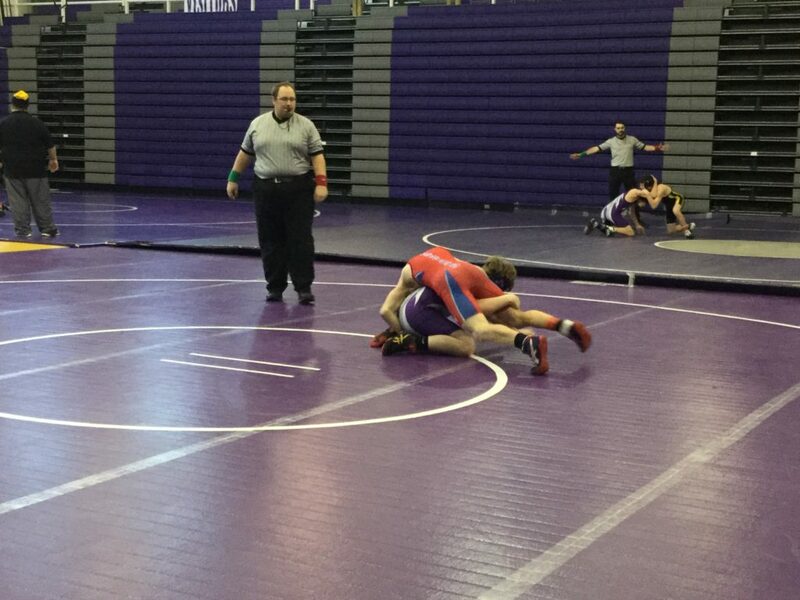 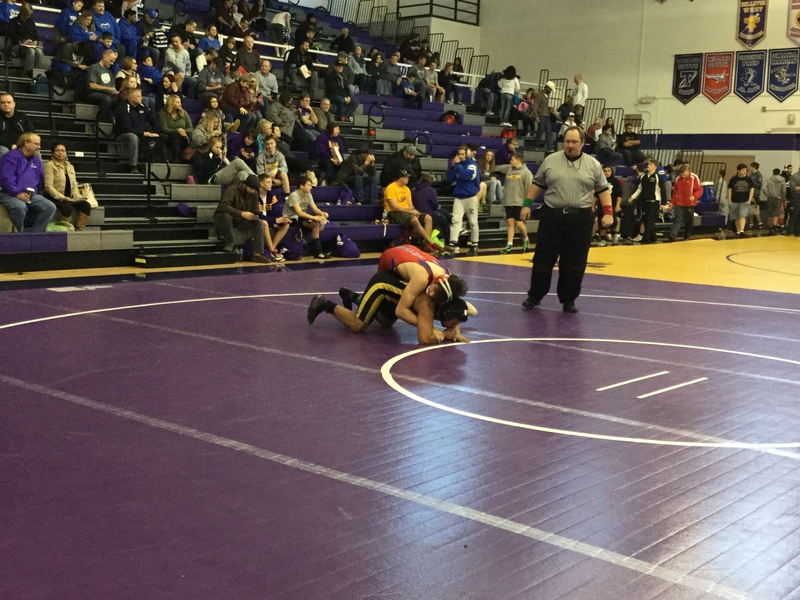 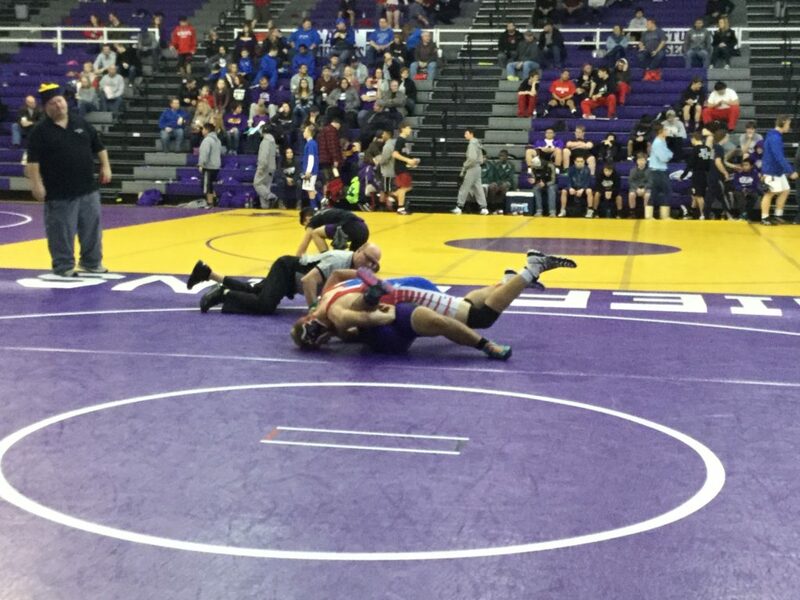 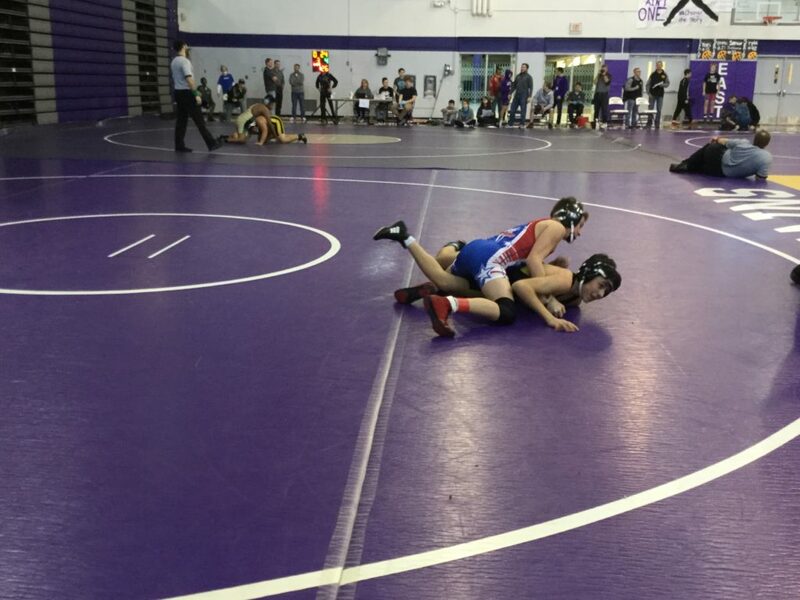 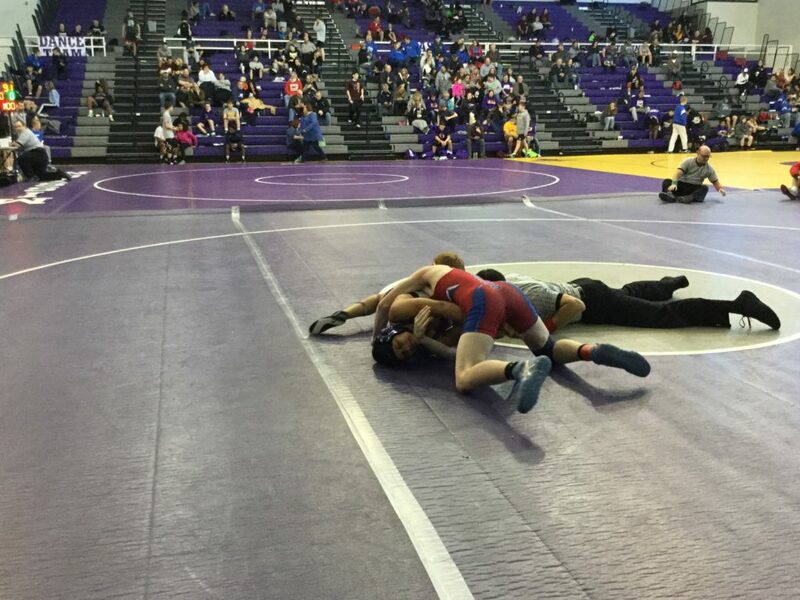 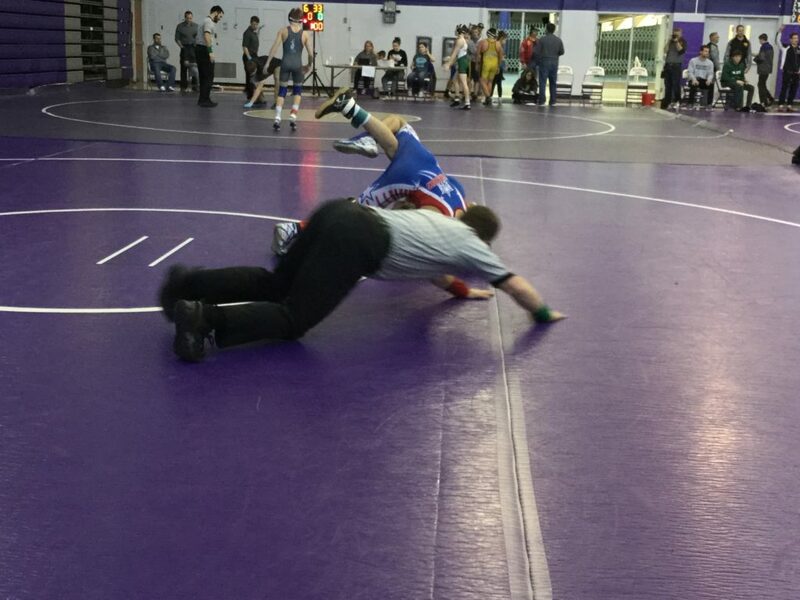 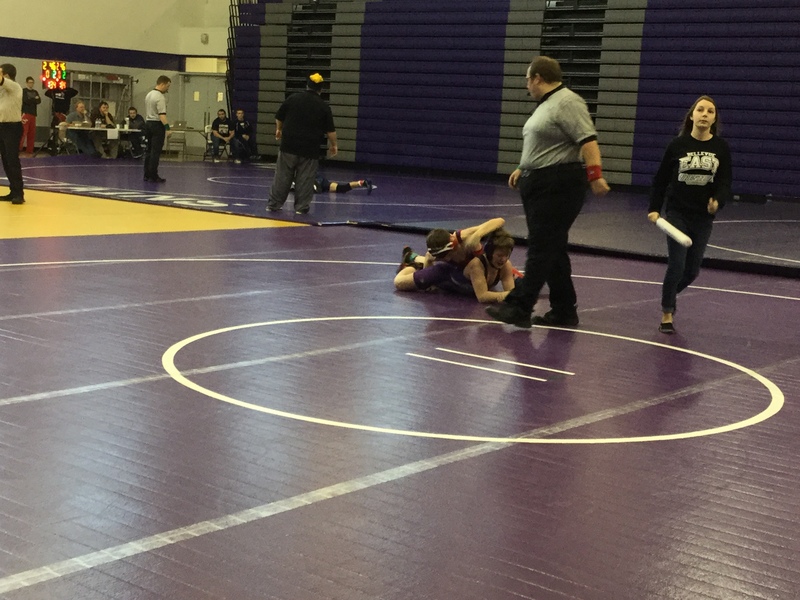 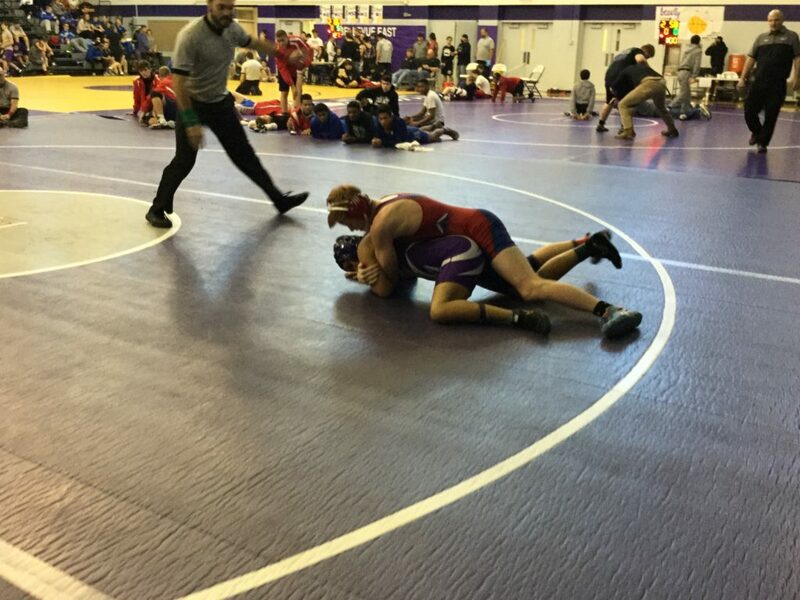 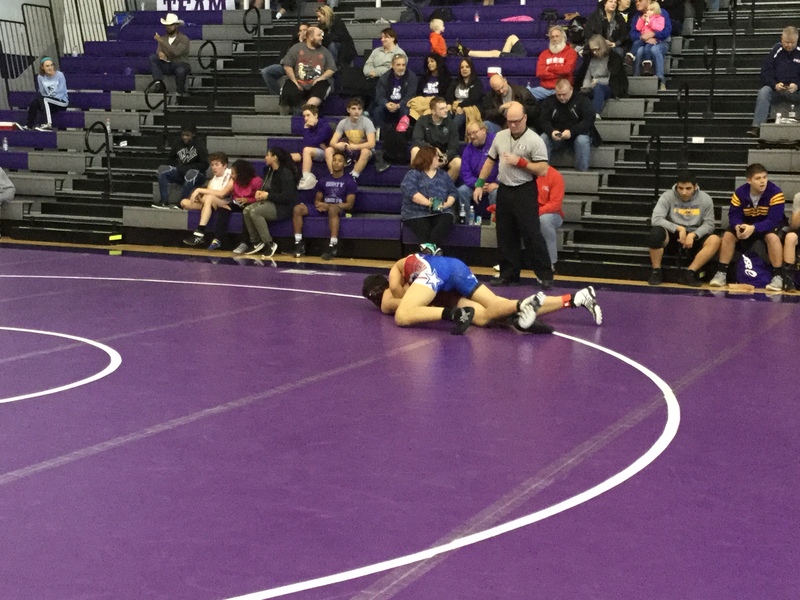 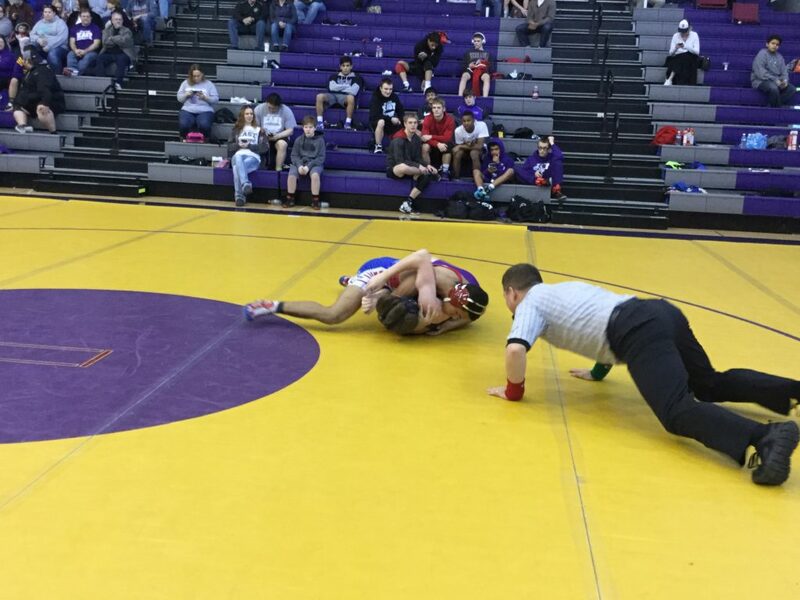 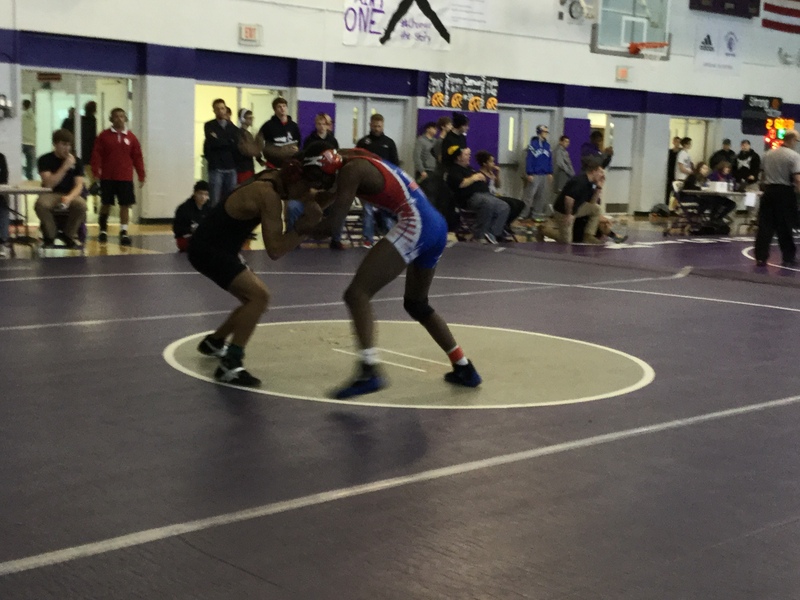 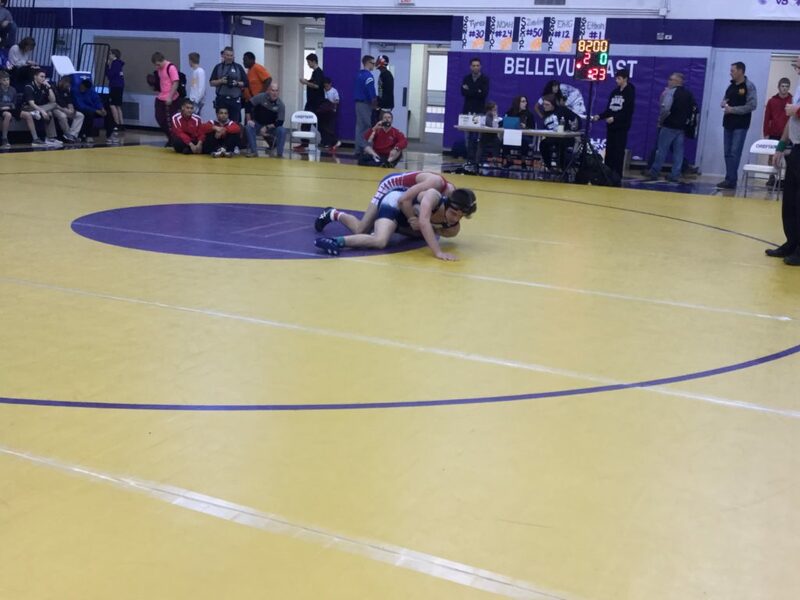 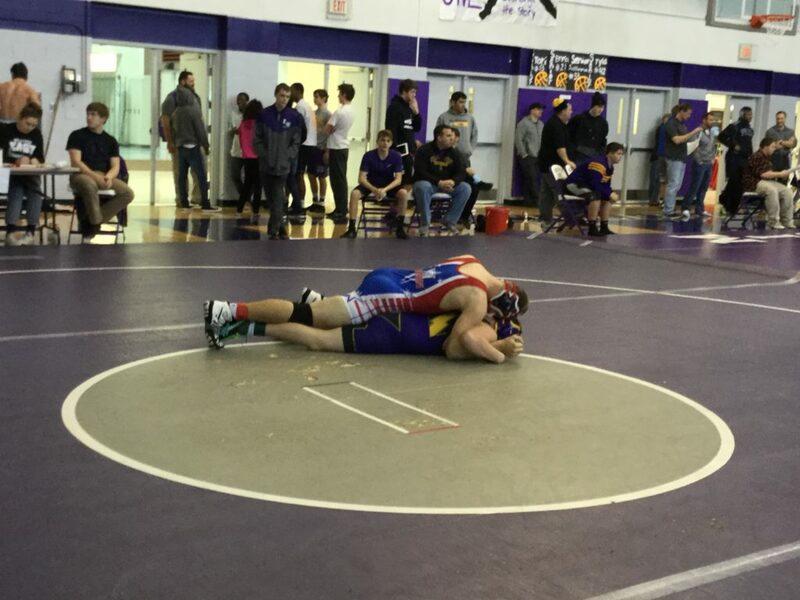 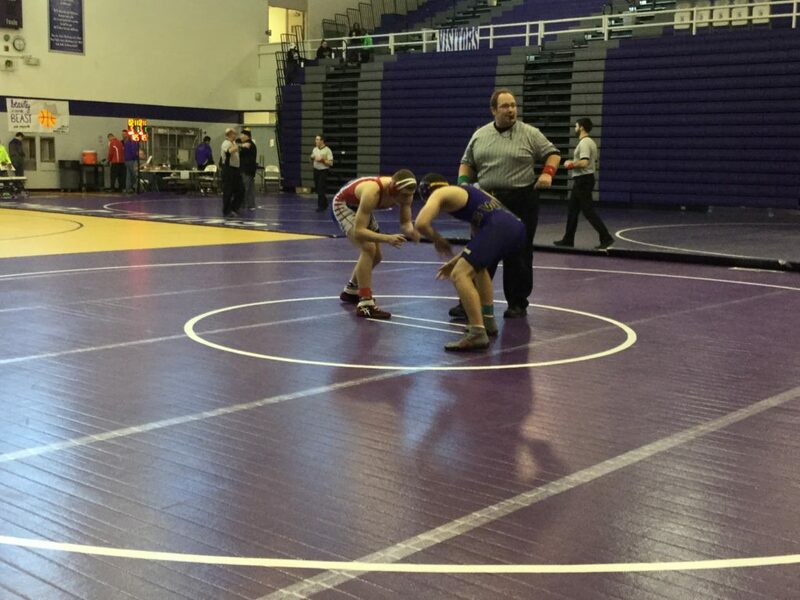 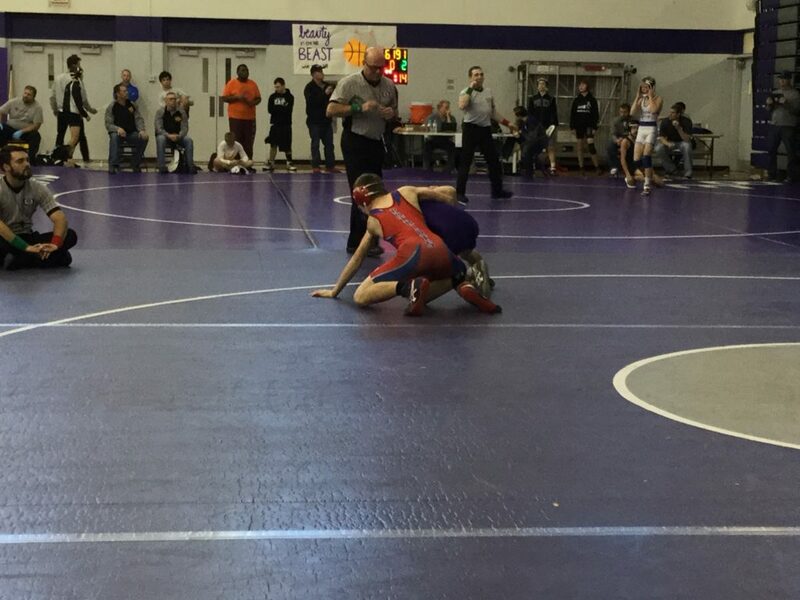 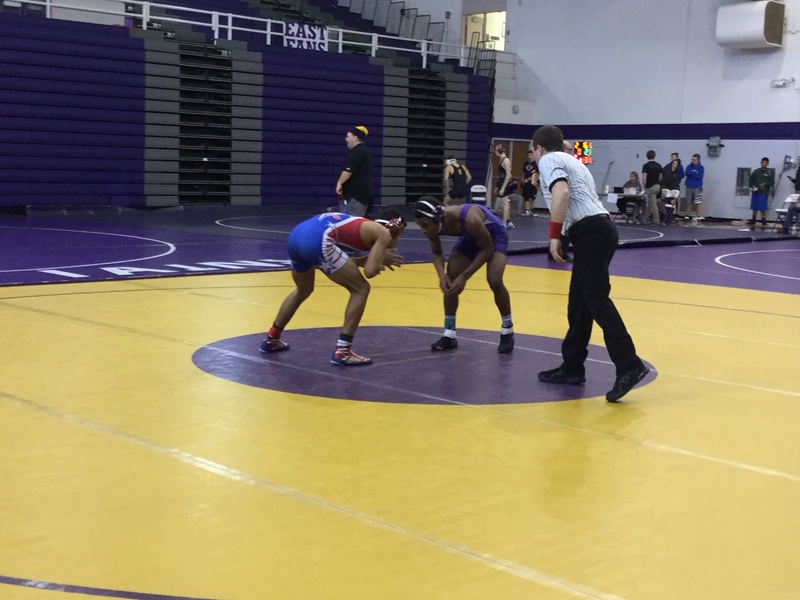 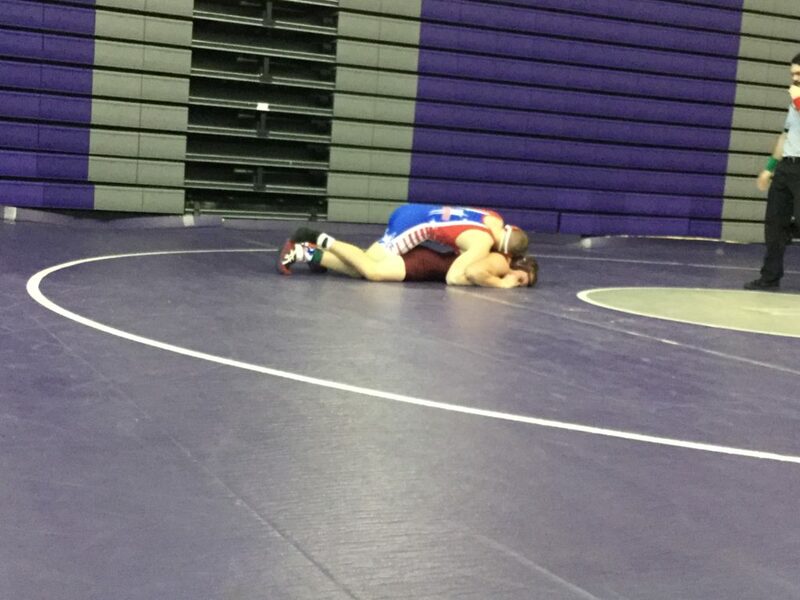 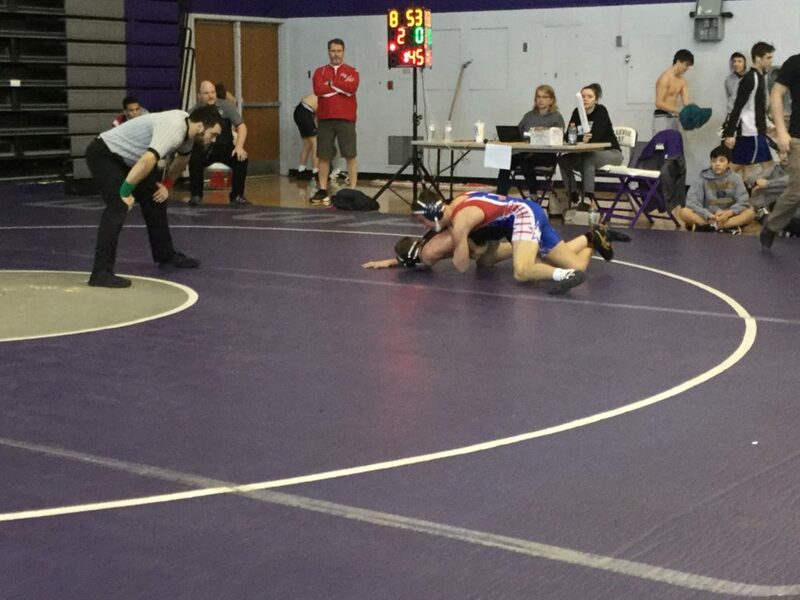 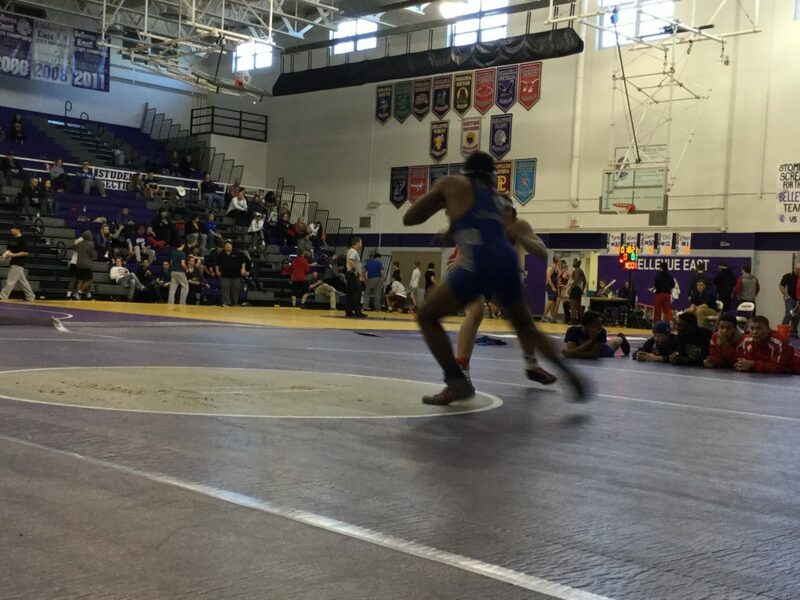 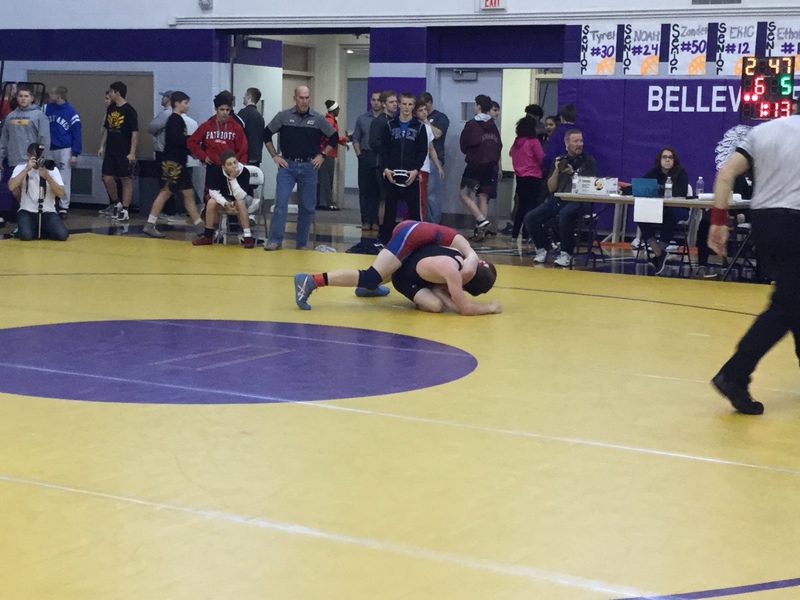 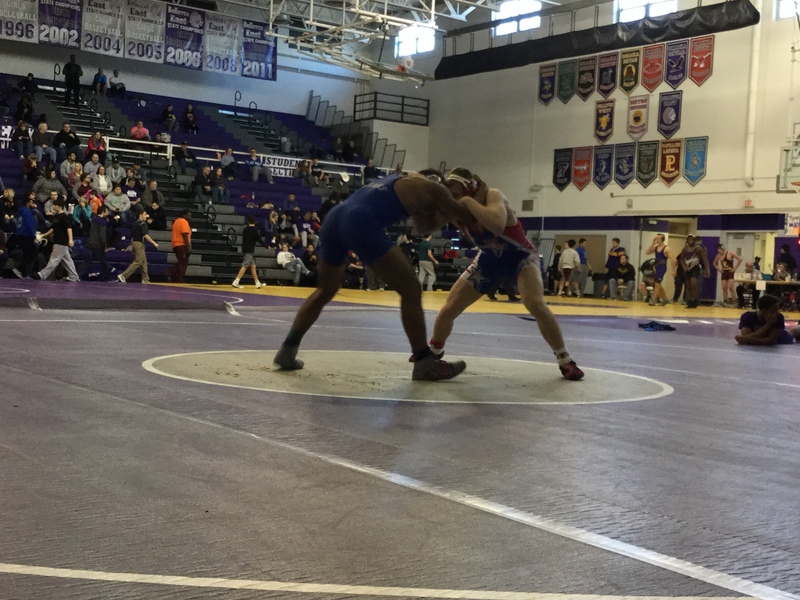 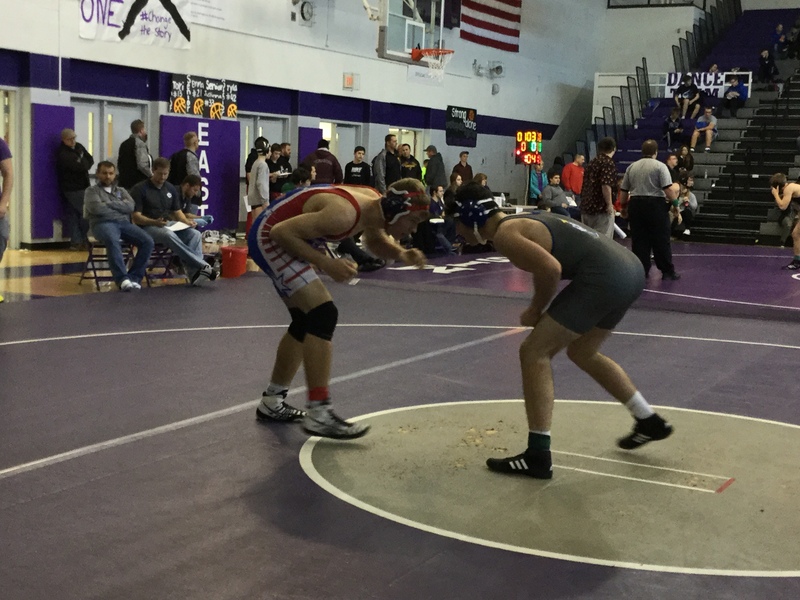 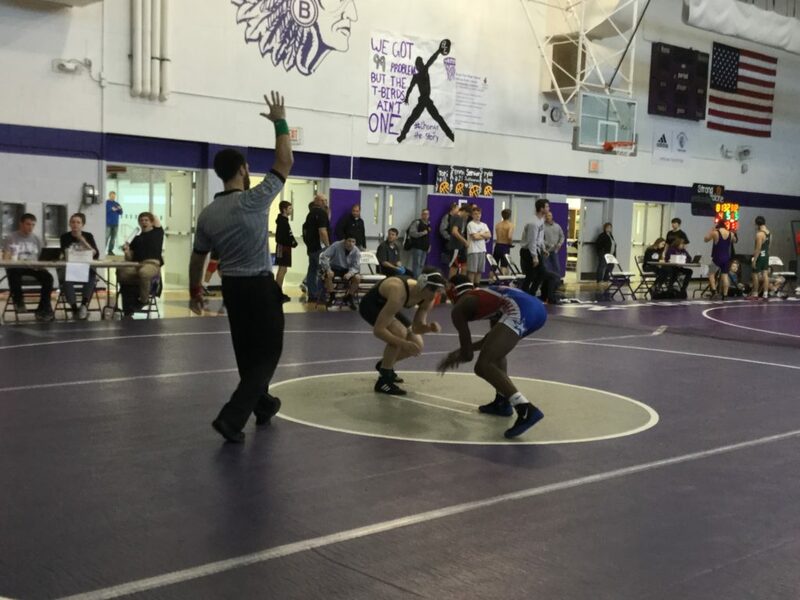 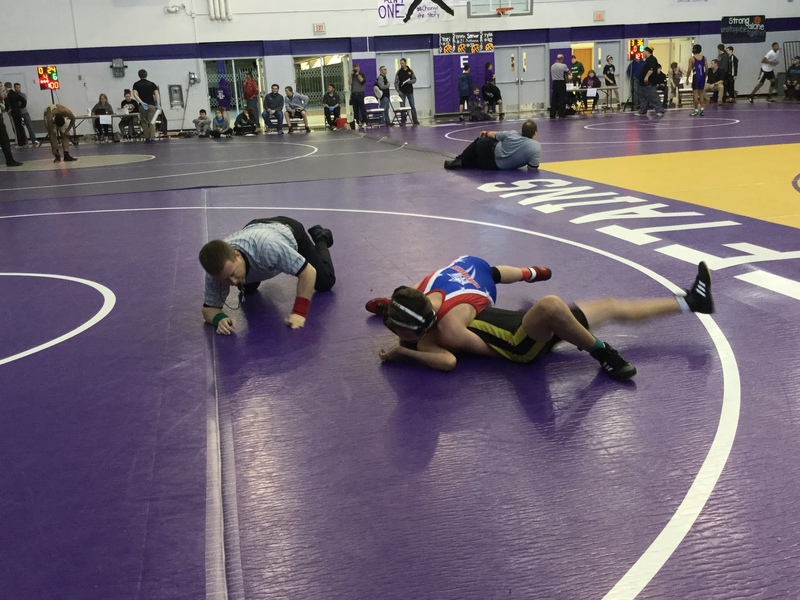 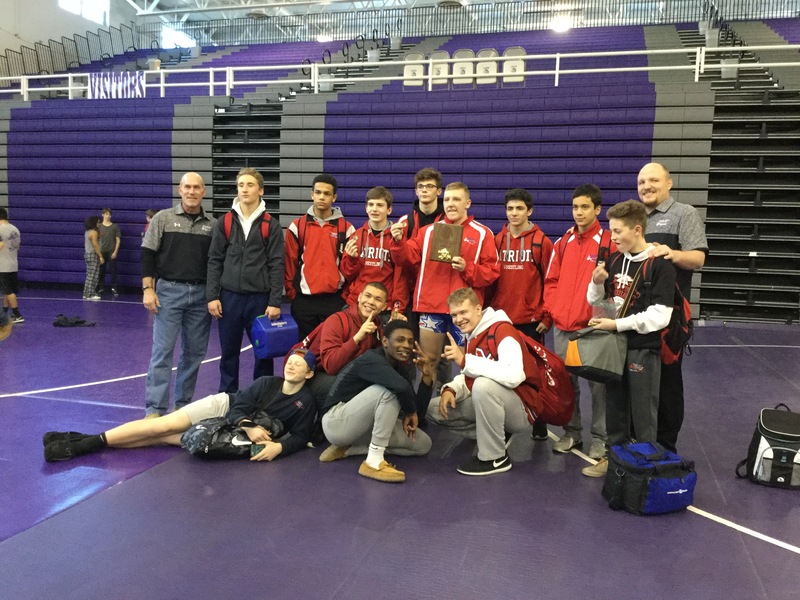 The JV Patriot wrestling team traveled to Bellevue East High School to compete in their invitational. 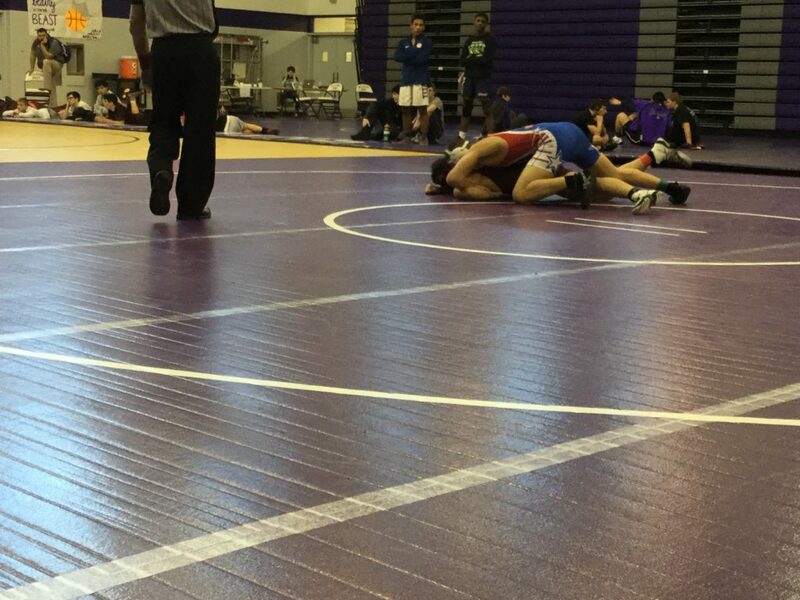 This tournament is one of the most competitive JV tournaments in the metro area with 13 teams competing. 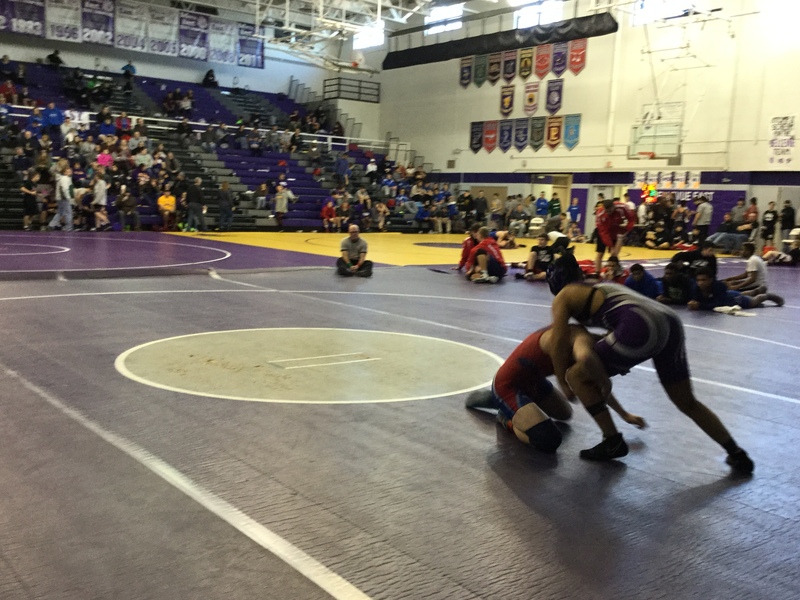 However, except for the home team, each team is only allowed one wrestler per weight class and no seniors are allowed to compete. 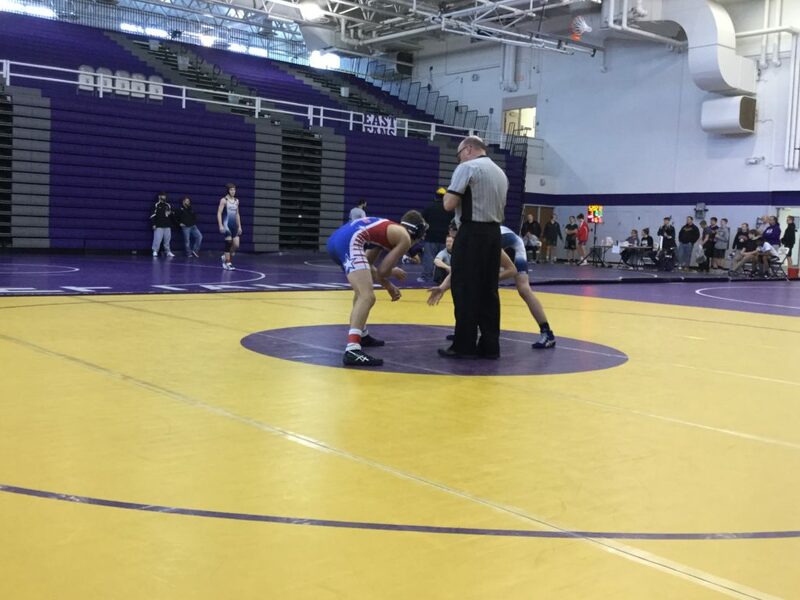 The host team, however, entered in multiple wrestlers per weight class while allowing seniors to be point scorers at 145 pounds and heavyweight. 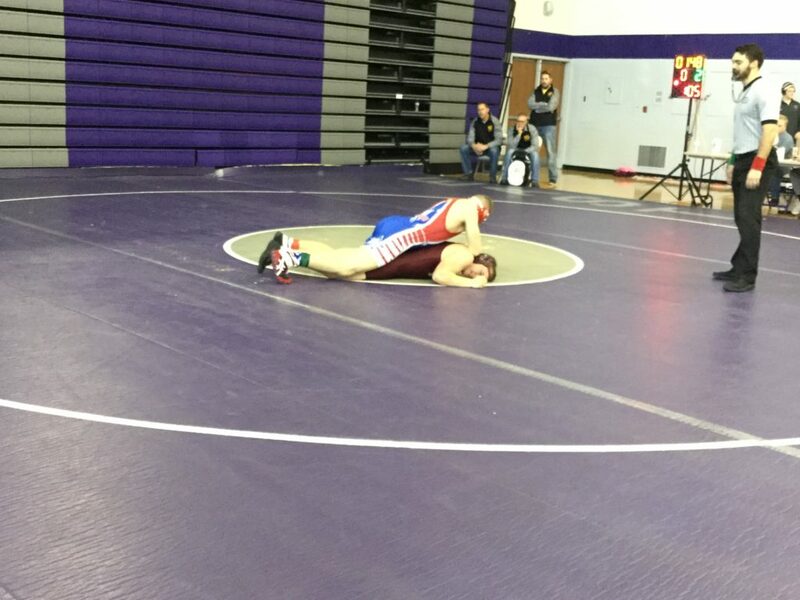 Ultimately, that was the difference between first and second place. 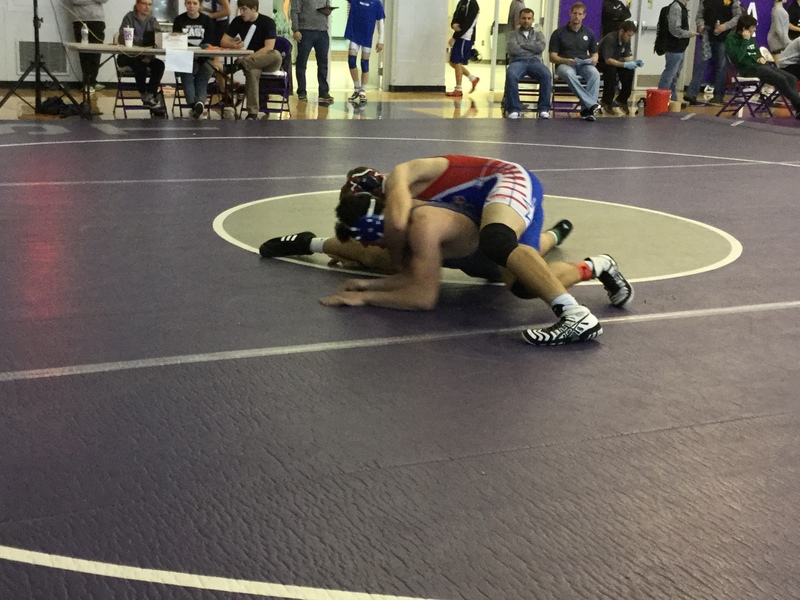 The Patriots were also missing a few JV1 stalwarts that have been sitting out with injury in Blake Smith and Justin Jeannette as well as Isaiah Jackson who fell ill earlier in the week. 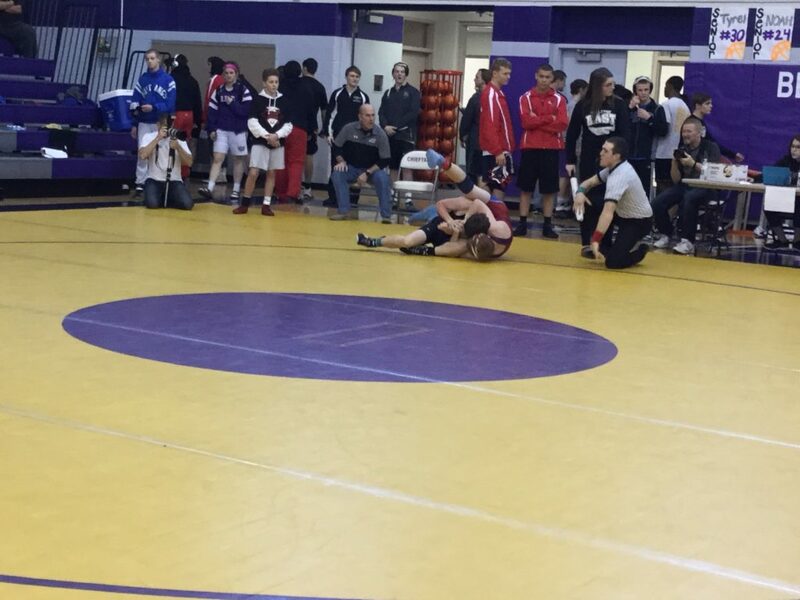 Jeannette is expected to return to the line-up in the next week. 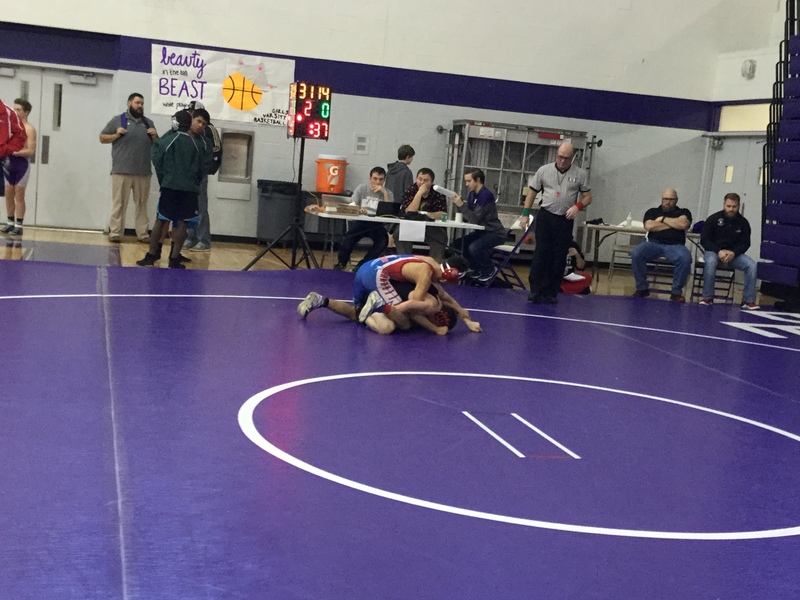 After taking a look at the numbers, the Patriots performance was actually very good. 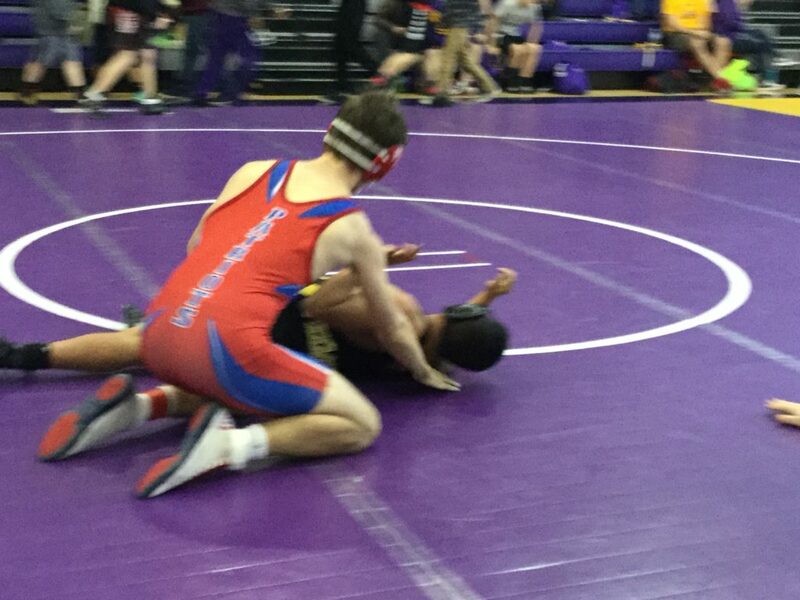 The Patriots sent 8 to the final rounds with six champions on the day. 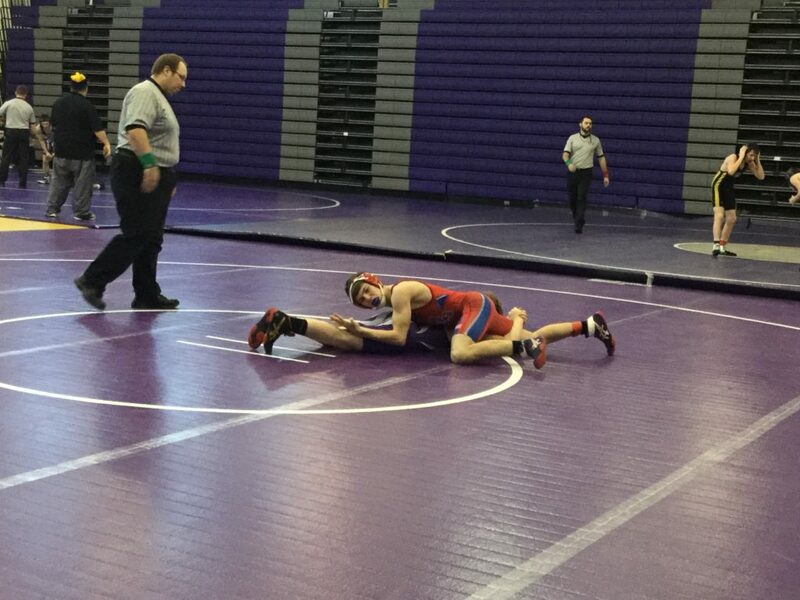 That is impressive however you look at it. 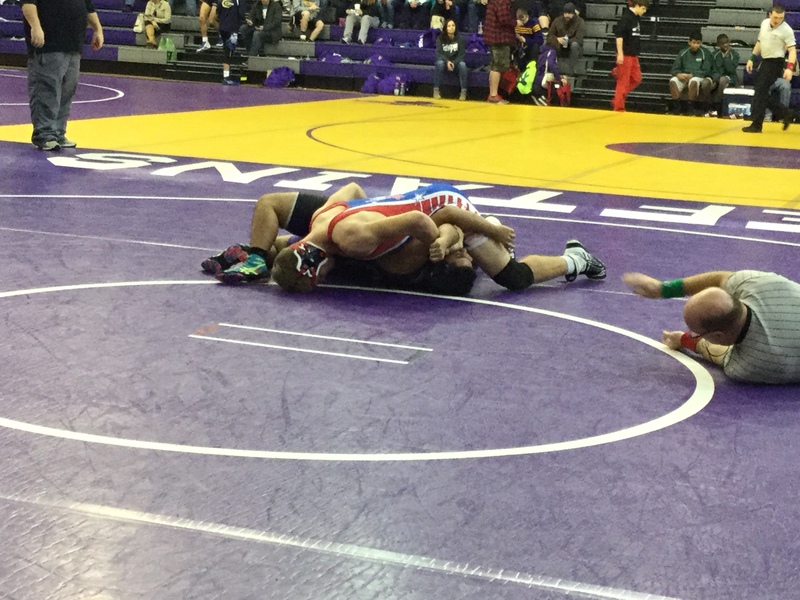 Garrett Carbuillido brings an intensity to his matches that is difficult for many to match. 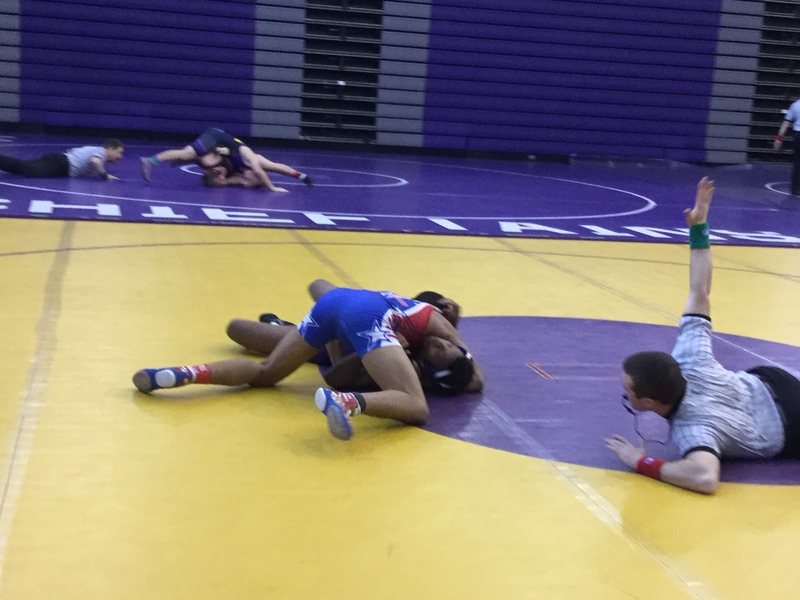 He is also calm under fire showing the poise of a veteran wrestler most likely due to his many years developing in the Ironhawk club. 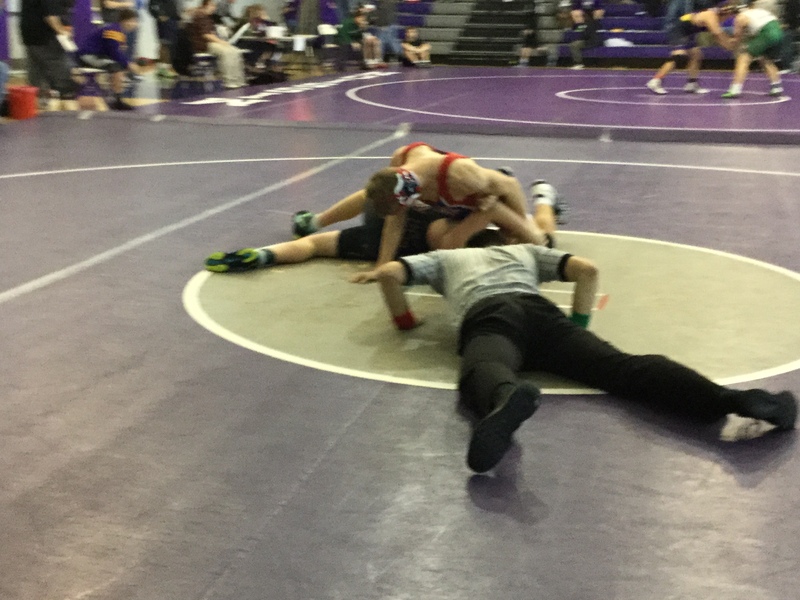 He showed poise and heart in the finals when he ended up on his back during a scramble as he was trying to help the team score bonus points, but Garrett would never give up eventually fought off his back then ending up pinning the kid later in the 3rd period. Garrett ended the day with 4 falls and walked out with a gold medal adding some wins to his impressive 27-3 record. 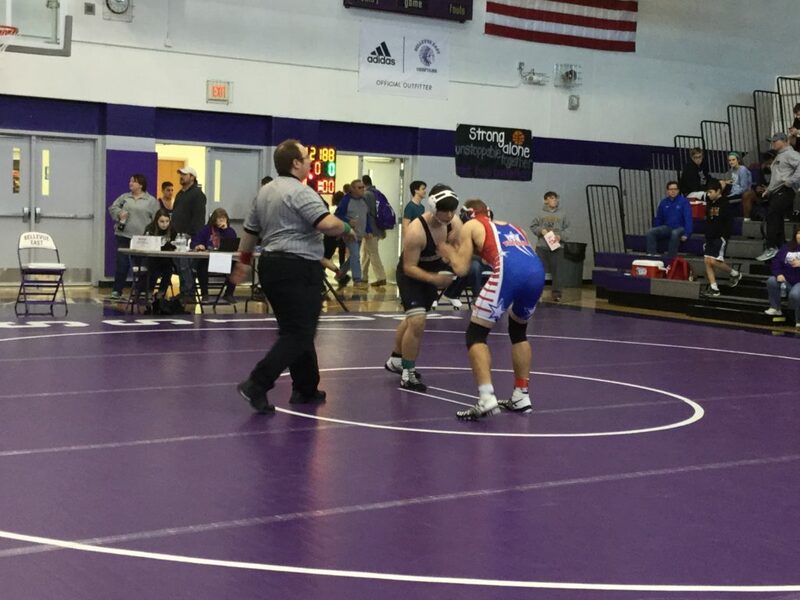 Garett Svoboda was also crowned a champion on the day. 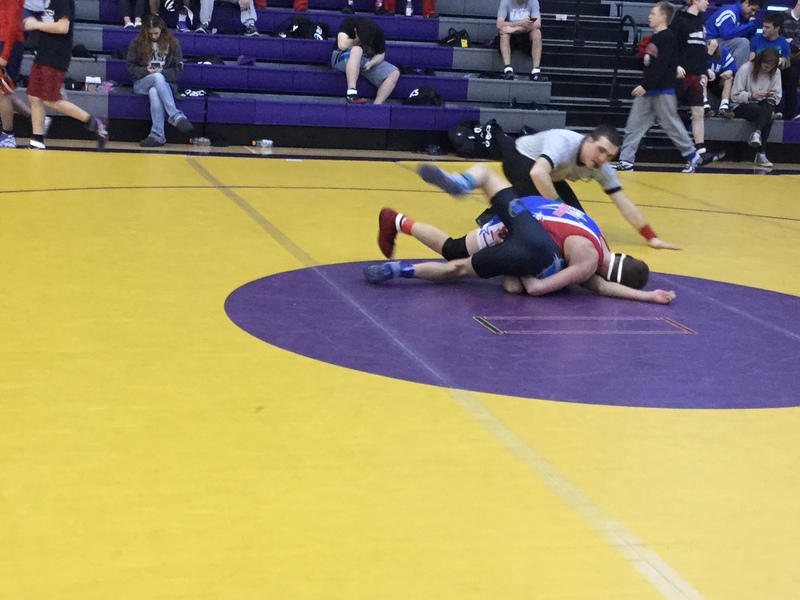 Garett continues to show off his trademark quickness and really wasn’t contested on the day recording 2 falls and a tech fall. 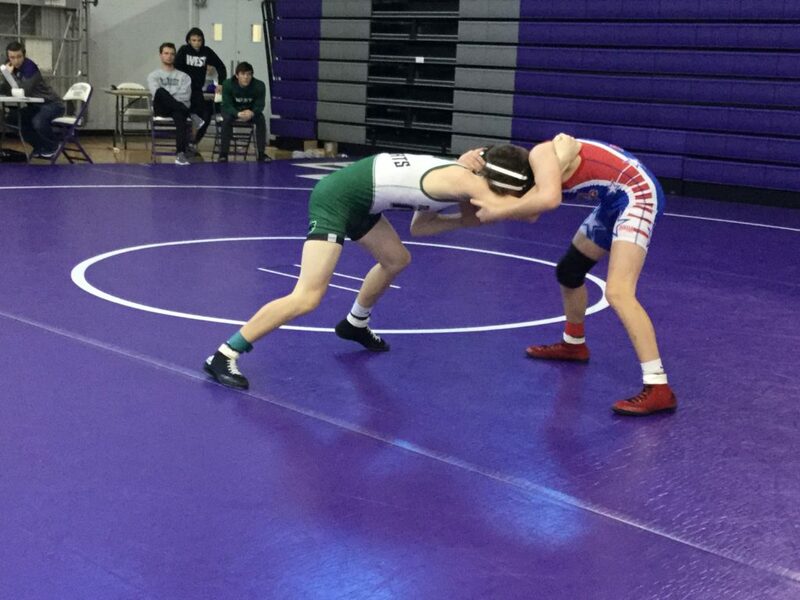 Many varsity coaches in the area would love to have Garett in their line-up and he has the potential to be a state placer, but is stuck behind the #1 rated guy in the state so he continues to develop at this level. 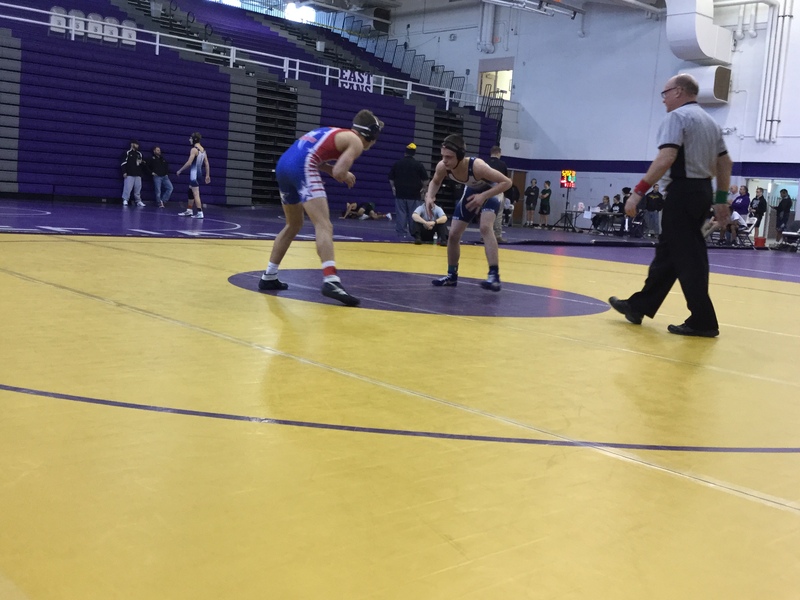 Ideally Garett would work on becoming a complete wrestler at this level as he continues to broaden his arsenal both on the mat and on his feet. 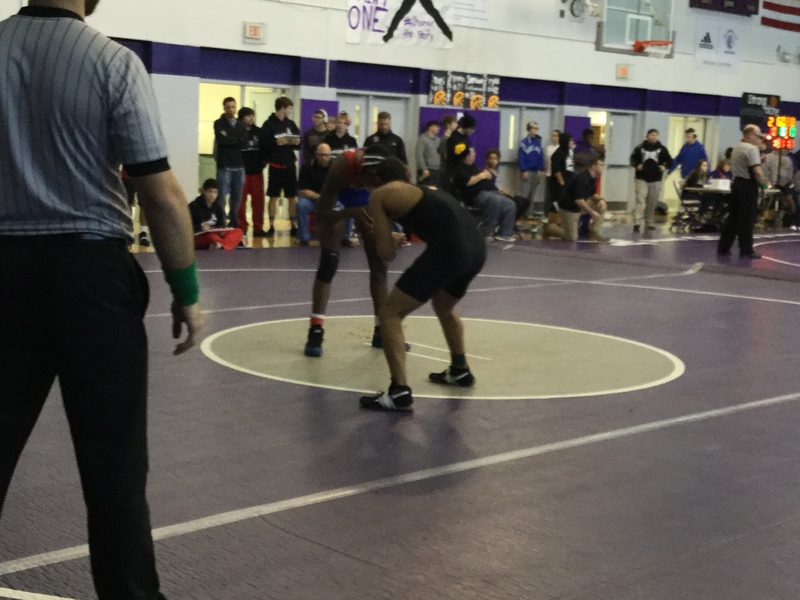 Al Cunningham won the 152 pound weight class beating his opponent by a score of 10-3. 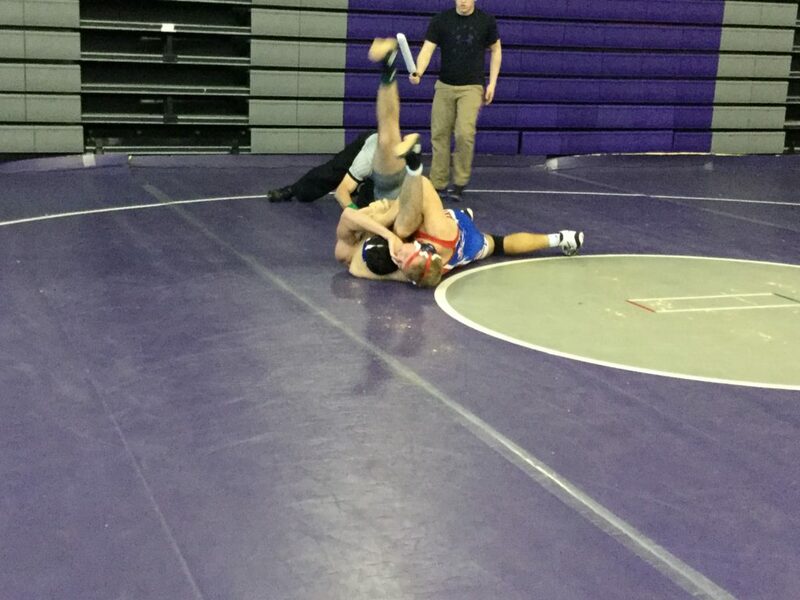 Al also had 2 falls on the day. 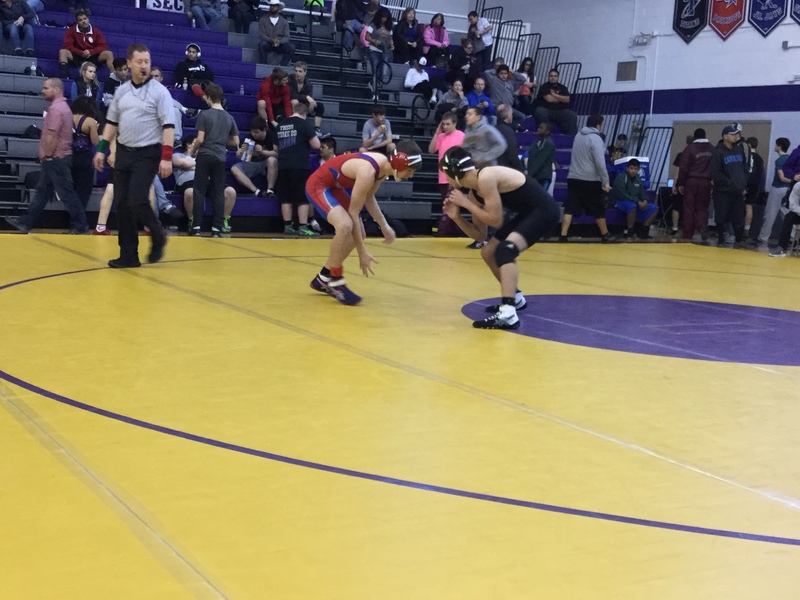 He continues to improve his fundamentals and develop a higher wrestling IQ while flashing high level athleticism. 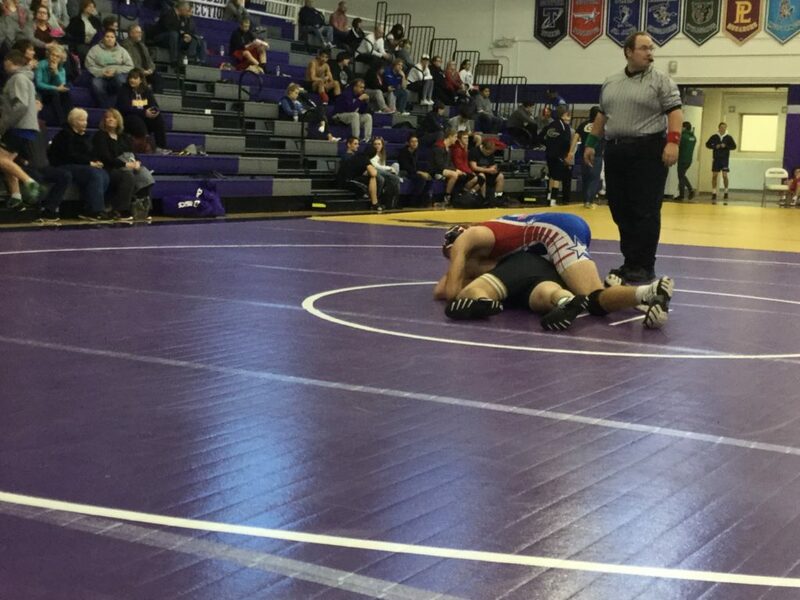 Al has a 24-6 record on the season. 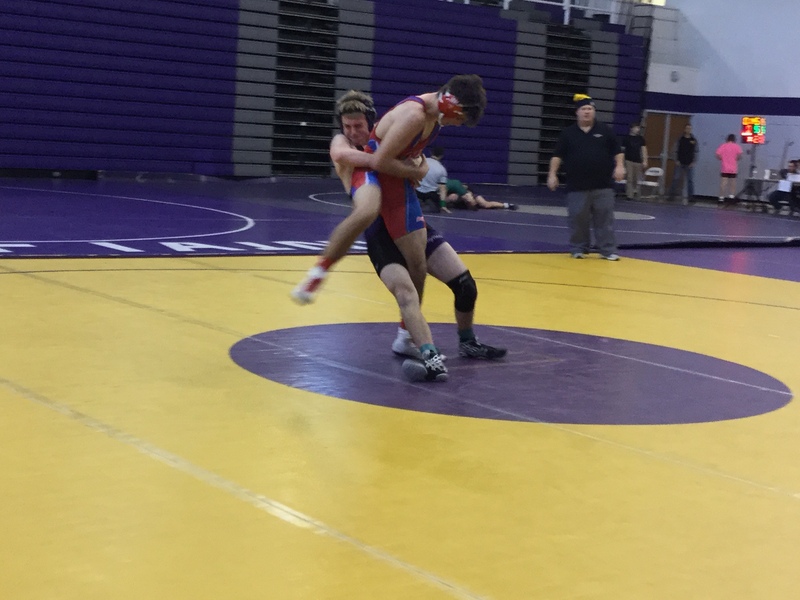 Chris Wortmann recorded 2 falls on the day including one in the finals. 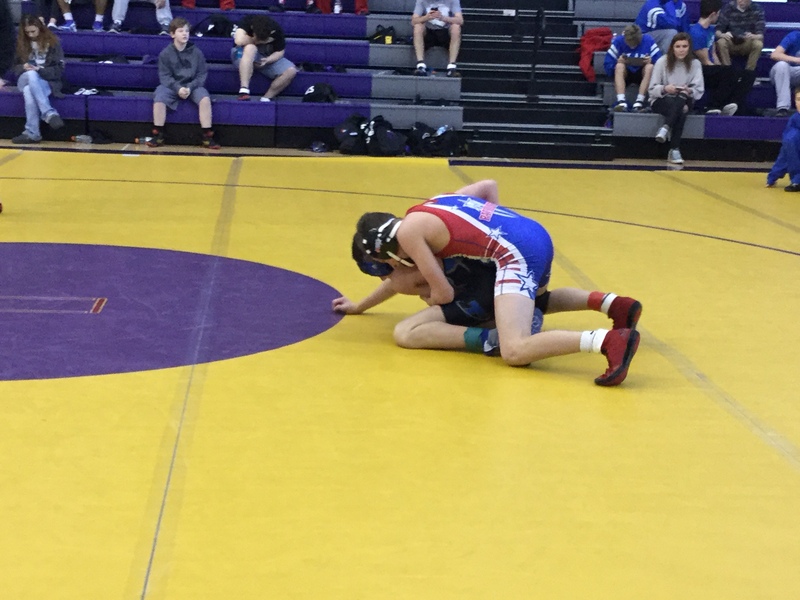 Wortmann, who won the previous weeks True Patriot award, shows improvement each week. 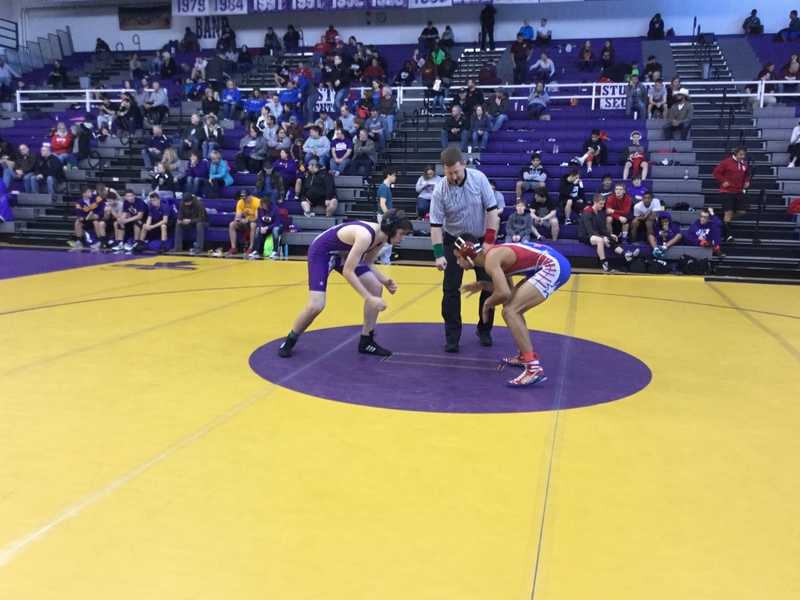 He has collected a 17-9 record on the year including racking up victories in 8 or his last 9 matches. 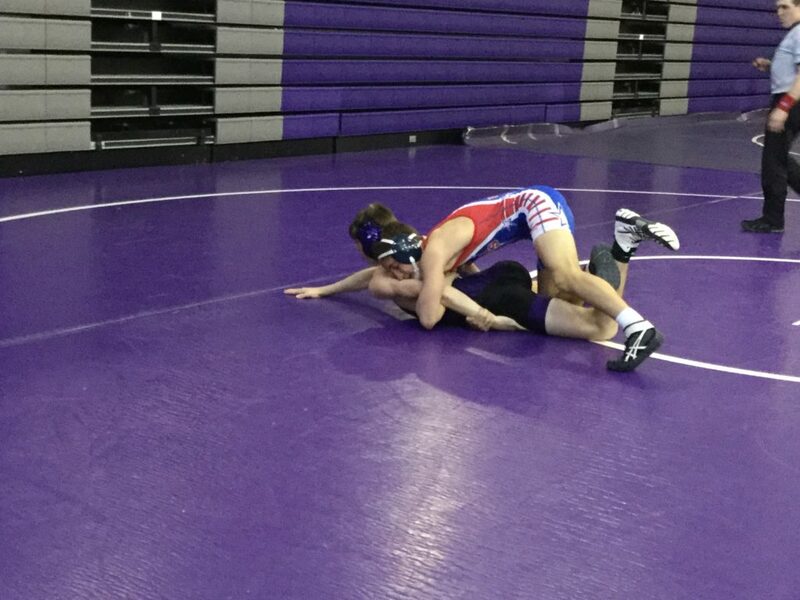 Gavin Peitzmeier has been on a tear since dropping down to the JV level. 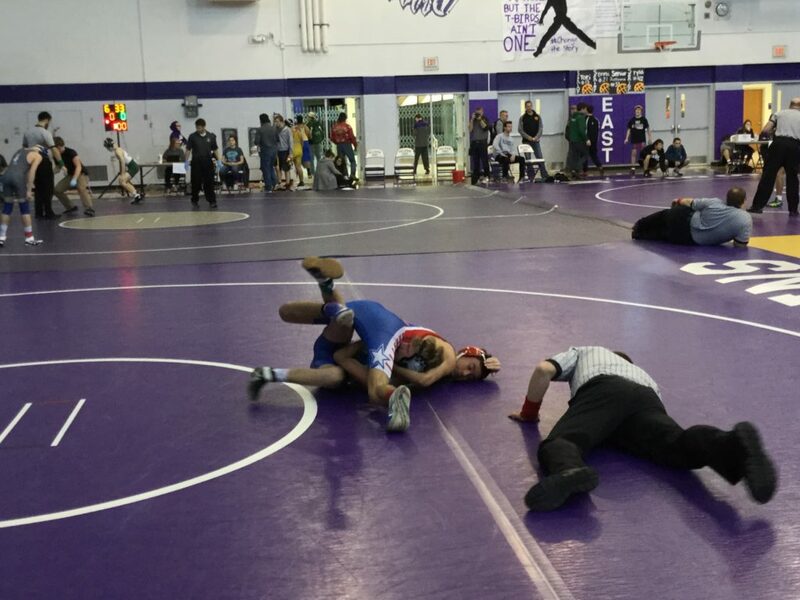 He collected 4 falls and a major decision on his way to a gold medal. 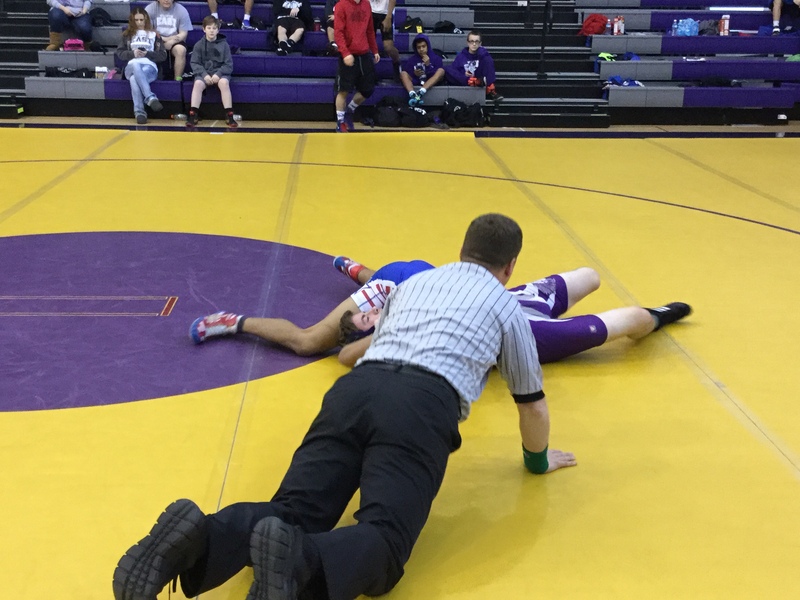 He has an 8 match win streak with 6 pins and 2 majors in the past two tournaments after finishing 2nd at Malcolm in his first JV tournament of the season. 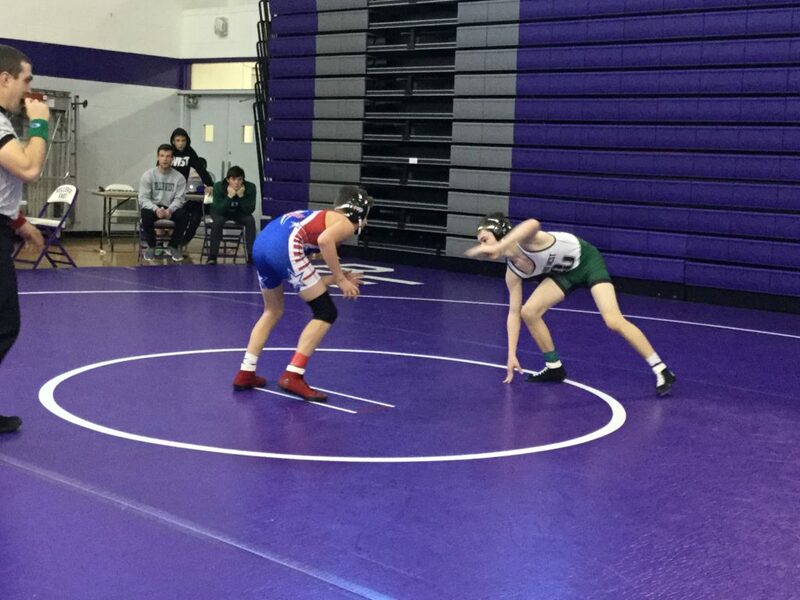 Gavin continues to work on being coming a complete wrestlers by setting up and finishing his takedowns in preparation for a full-time varsity role next season. 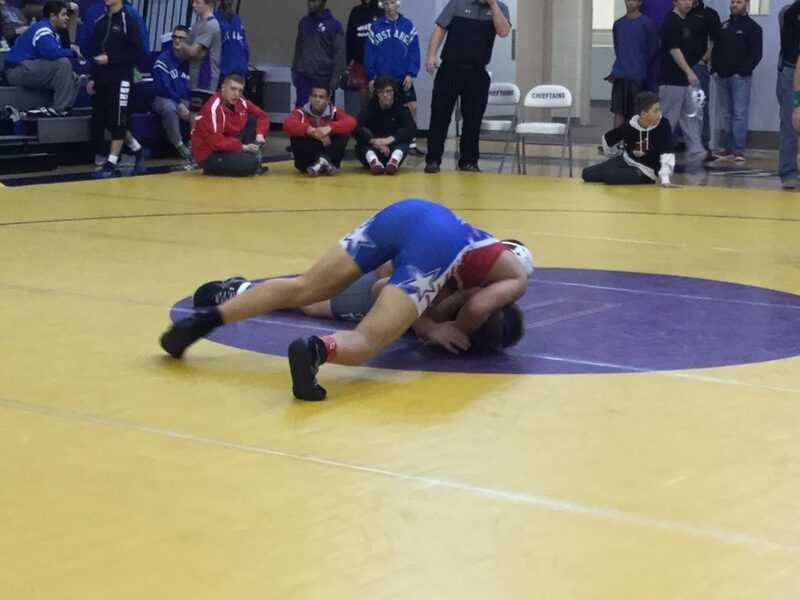 Krew Tran also dominated his bracket on Saturday recording 3 falls winning a gold medal. 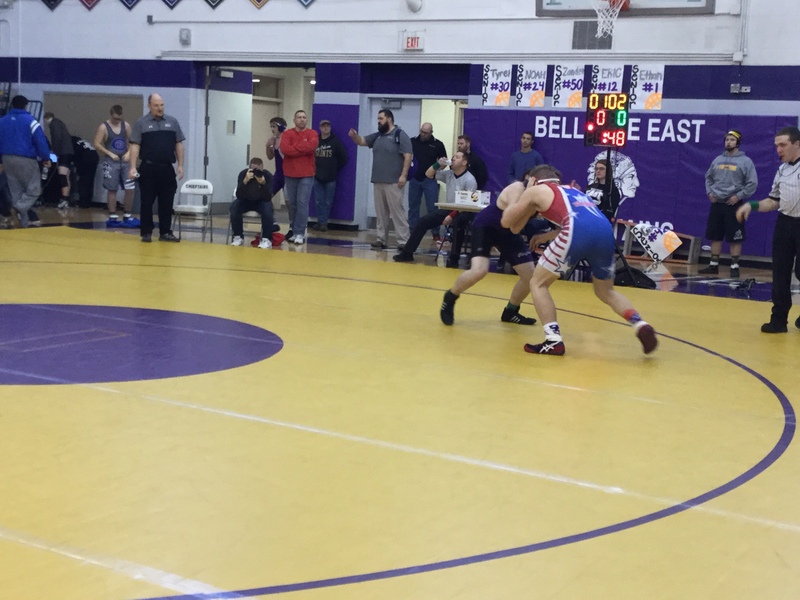 Jeremiah Sistek and Dom Deloa were the other two Patriots to make the finals, but both were pinned in the finals after earning a lead early in the match to finish 2nd. 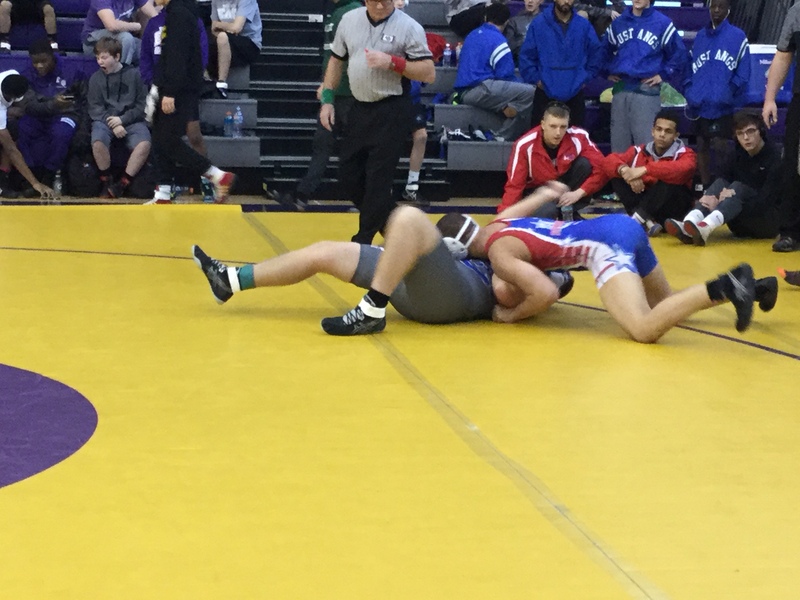 Cade Sortino once again battled nosebleeds, but pulled out a very good win against an athletic Papio South opponent. Sortino almost lost his cool, but regained his composure and came away victorious to get him into the 3rd and 4th place round where he lost to end up in 4th place. 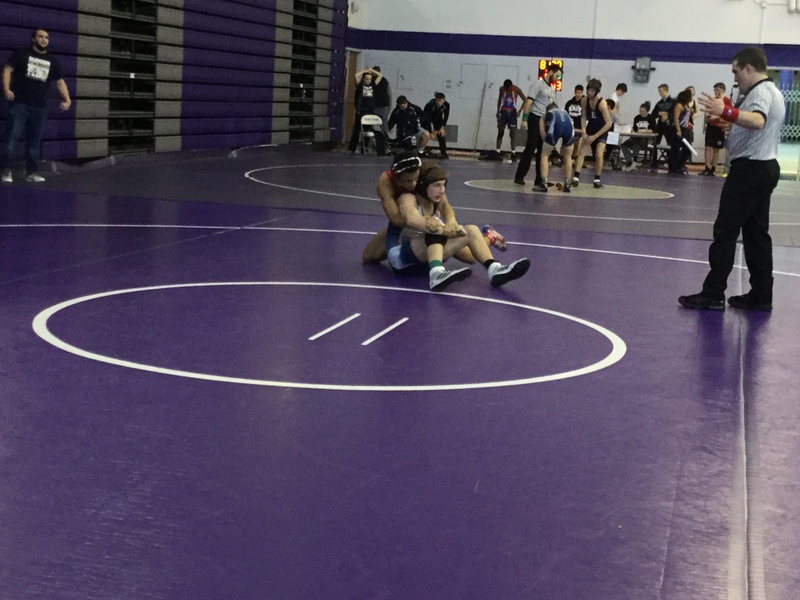 Barrett Hermanson and Seth Rakes who were filling in for the missing seniors both went 2-2 to contribute to the team score, but were not able to place. 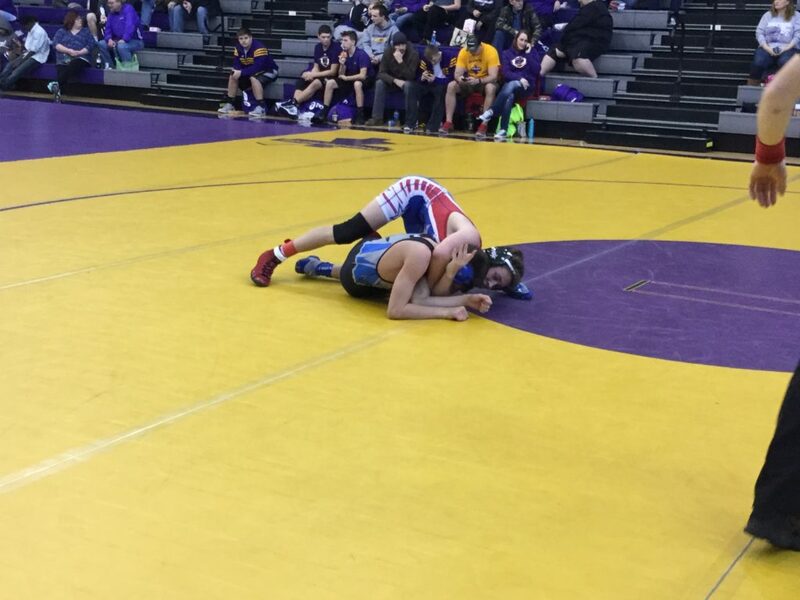 106 – Dominic DeLoa (25-8) placed 2nd and scored 20.00 team points. 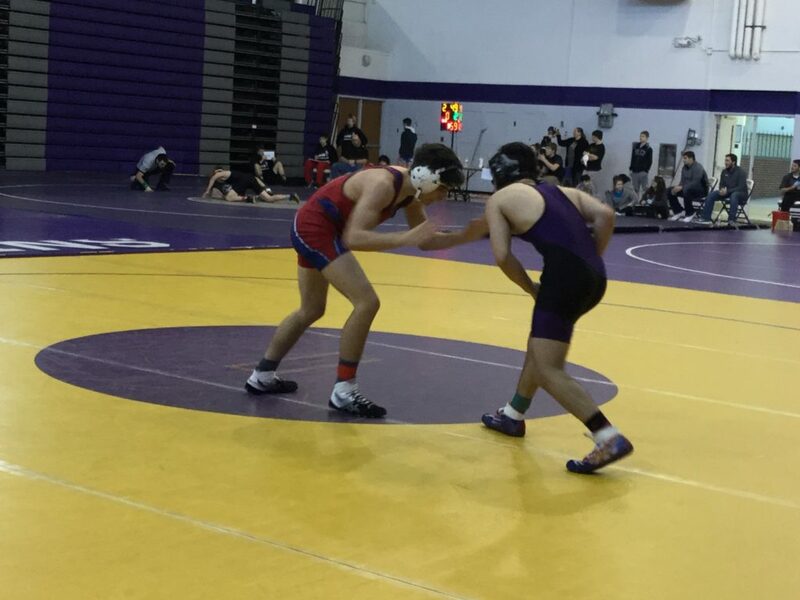 113 – Garrett Carbullido (27-3) placed 1st and scored 28.00 team points. 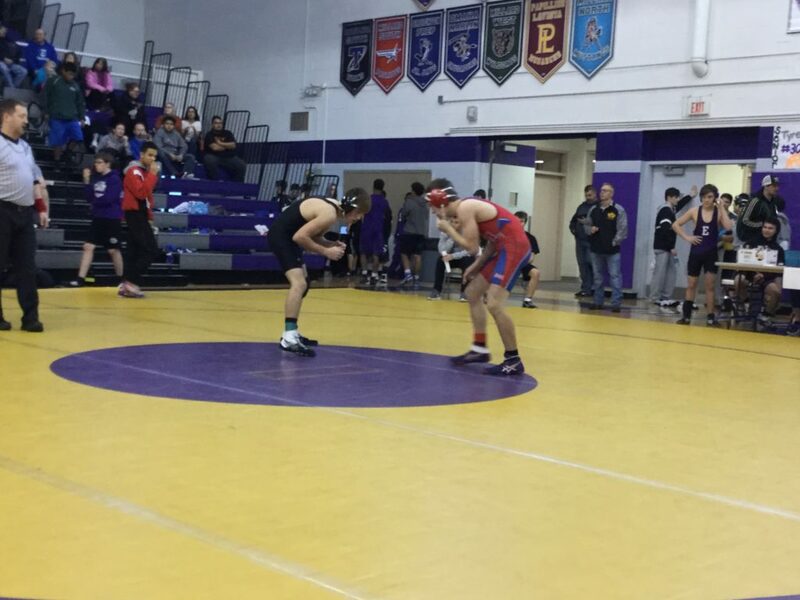 120 – Jeremiah Sistek (22-16) placed 2nd and scored 19.00 team points. 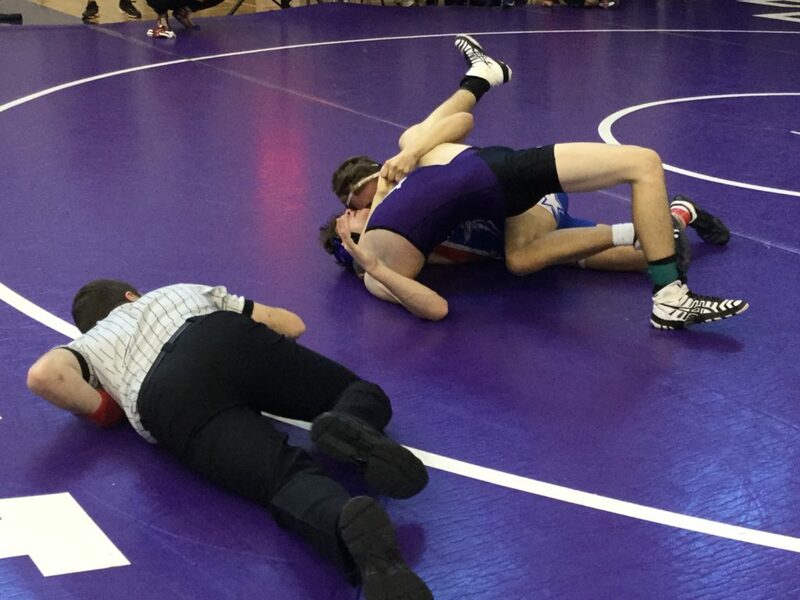 126 – Garrett Mandolfo (15-11) place is unknown and scored 0.00 team points. 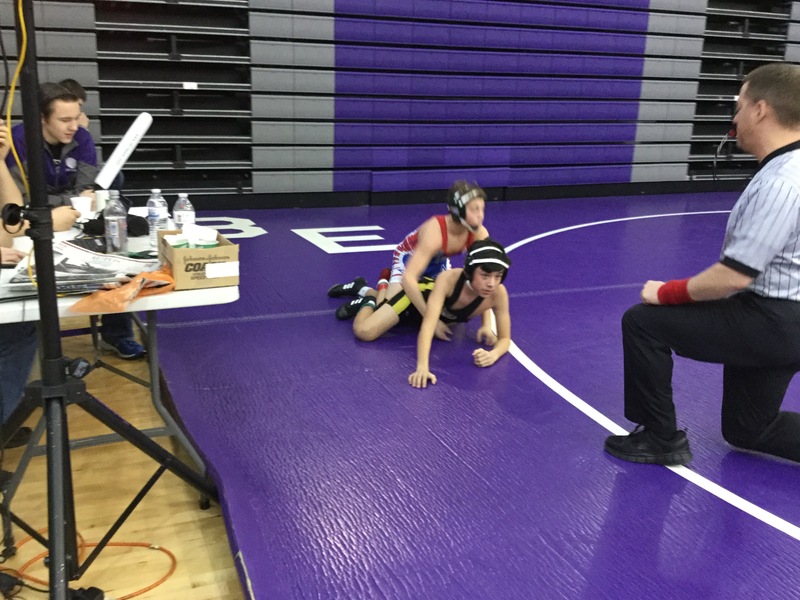 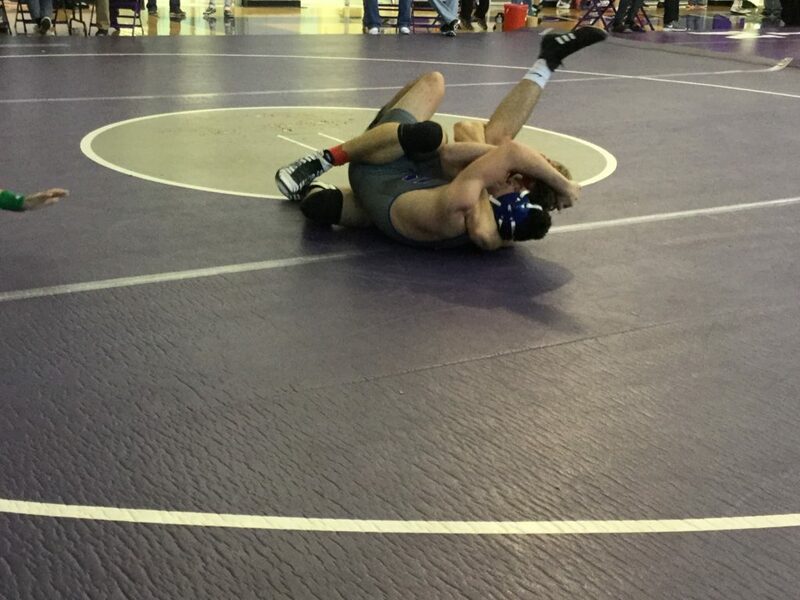 132 – Barrett Hermanson (13-8) place is unknown and scored 5.00 team points. 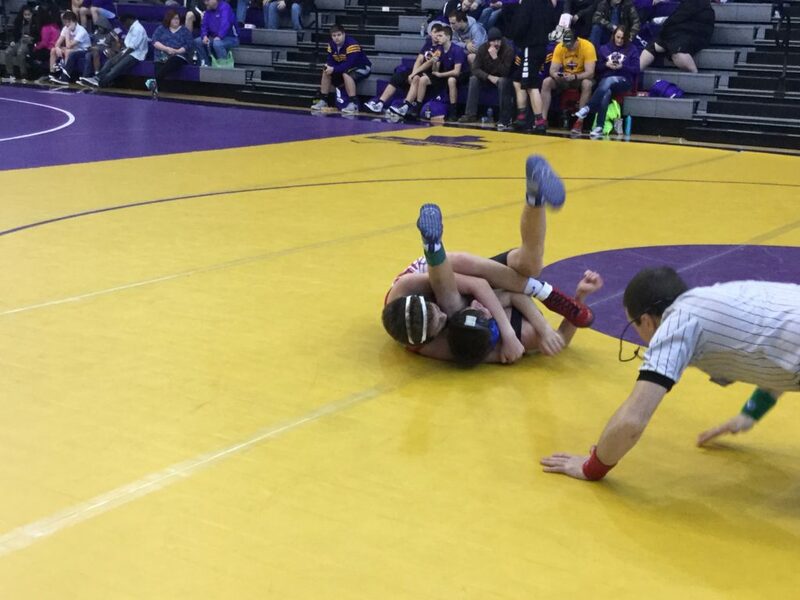 138 – Garett Svoboda (20-2) placed 1st and scored 25.50 team points. 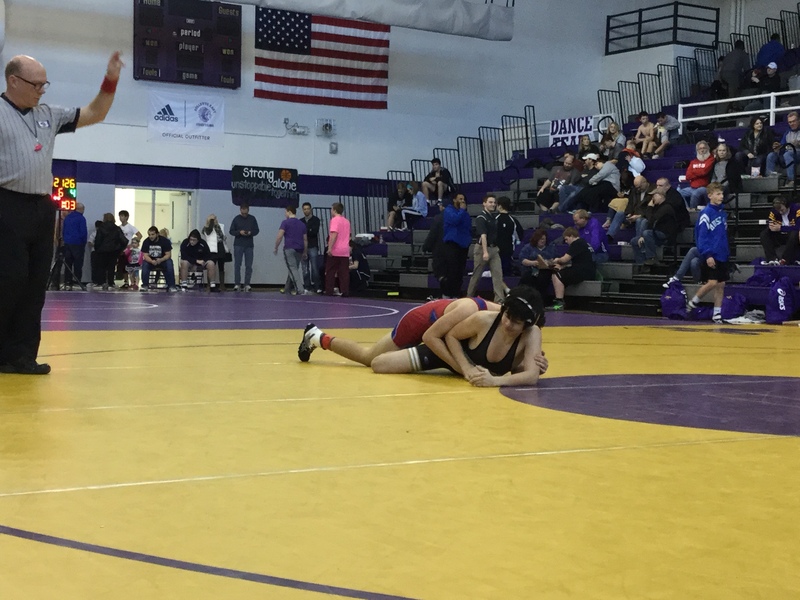 145 – Seth Rakes (11-11) place is unknown and scored 7.00 team points. 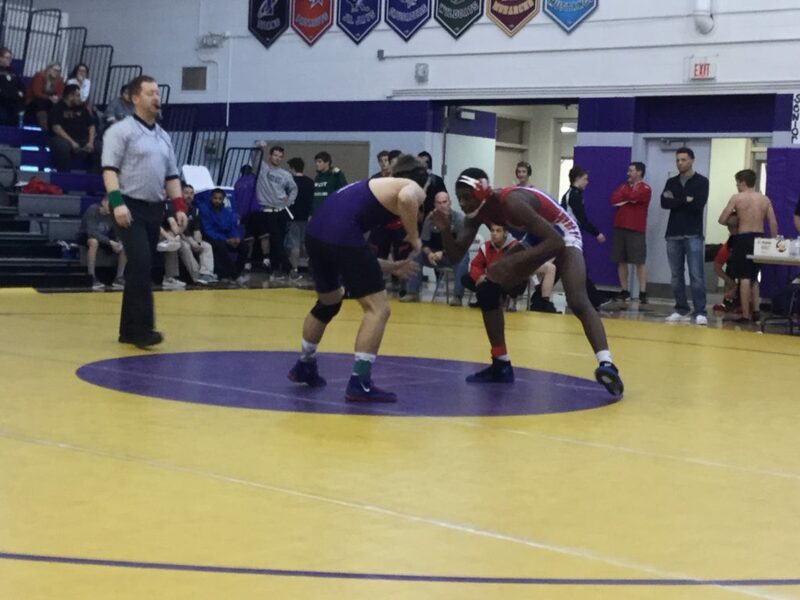 152 – Alfonso Cunningham (24-6) placed 1st and scored 24.00 team points. 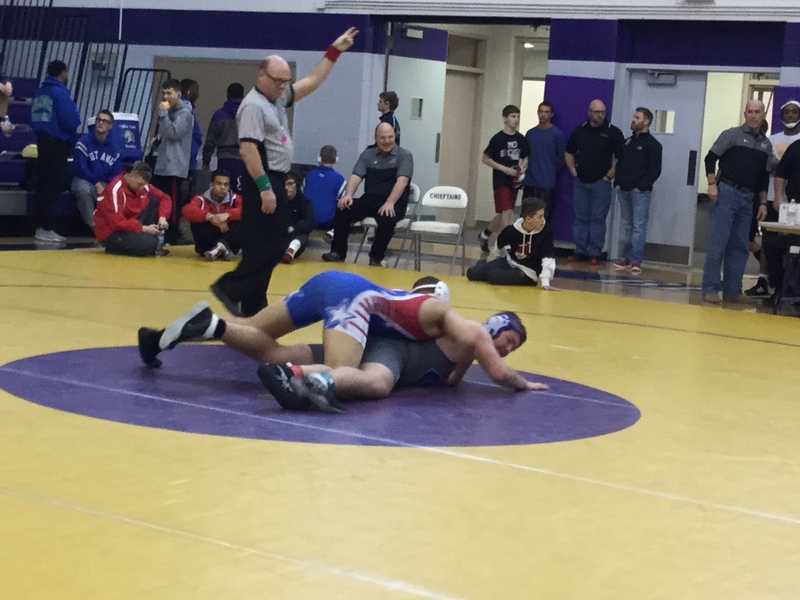 160 – Chris Wortman (17-9) placed 1st and scored 24.00 team points. 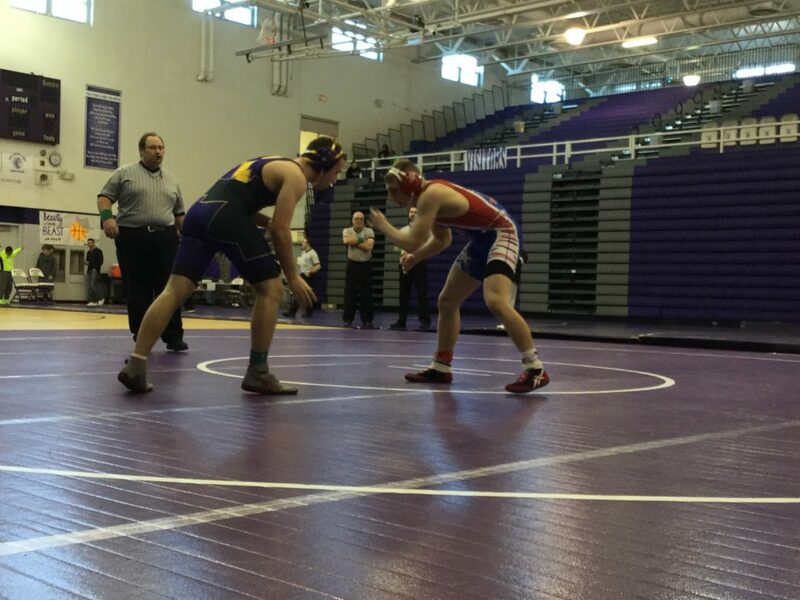 170 – Cade Sortino (11-12) placed 4th and scored 9.00 team points. 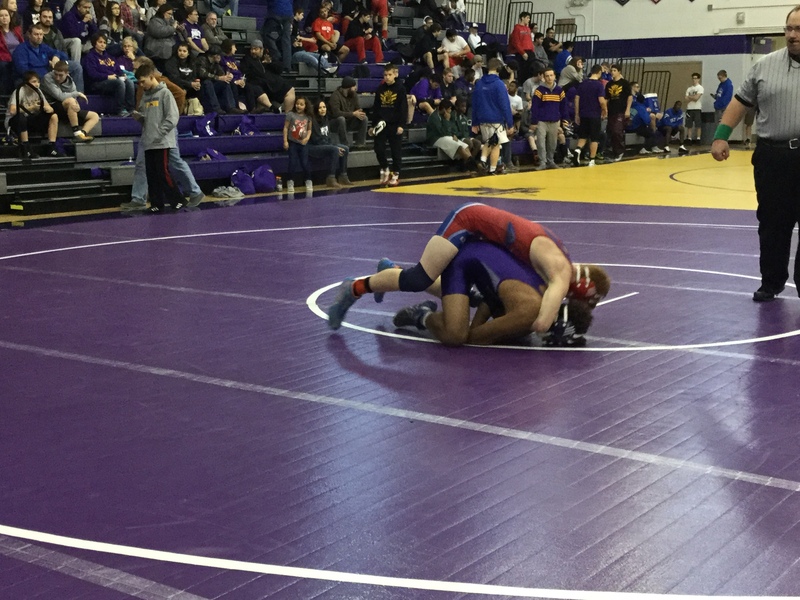 182 – Gavin Peitzmeier (19-11) placed 1st and scored 25.00 team points. 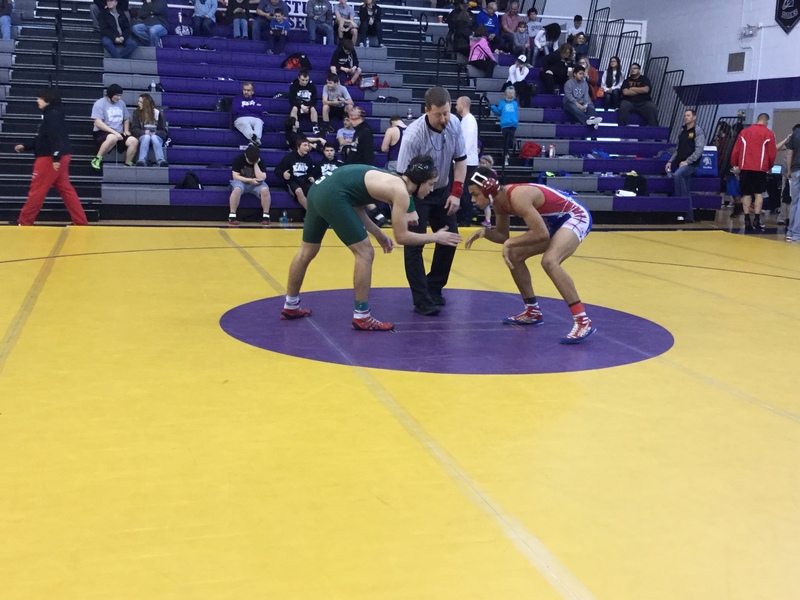 195 – Krew Tran (21-8) placed 1st and scored 20.00 team points.